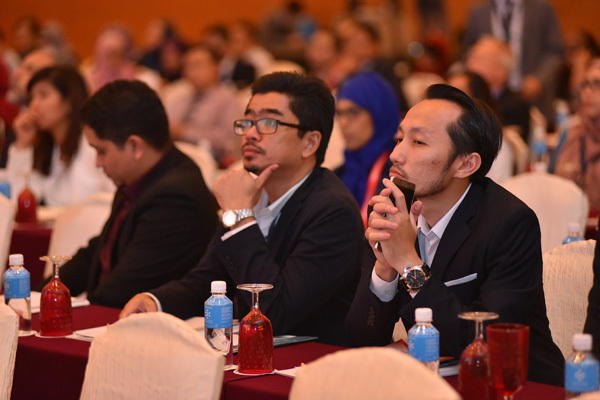 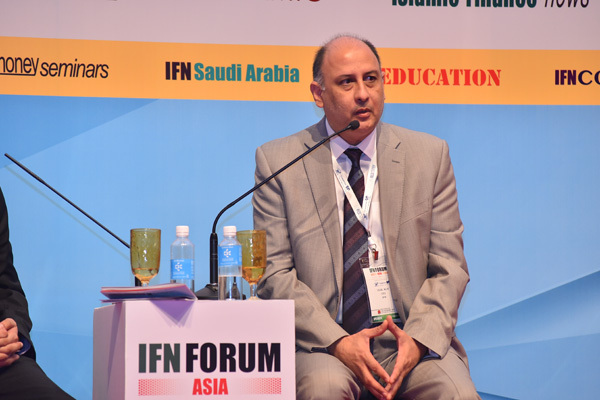 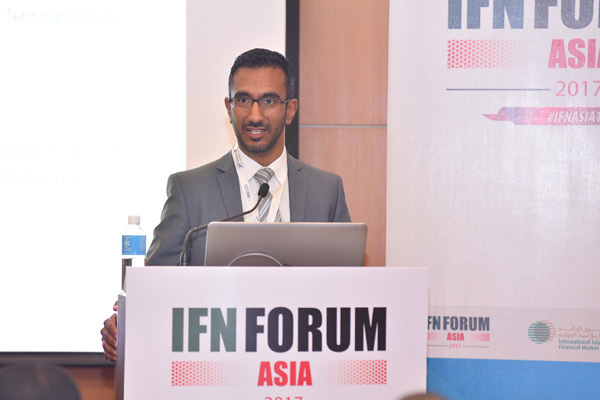 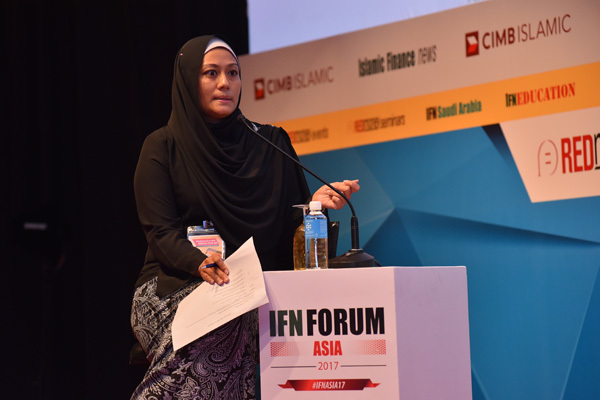 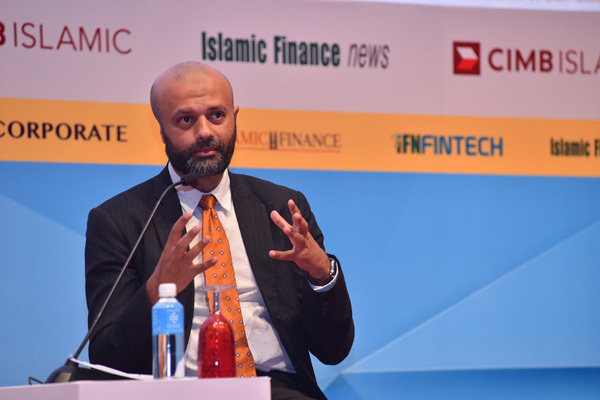 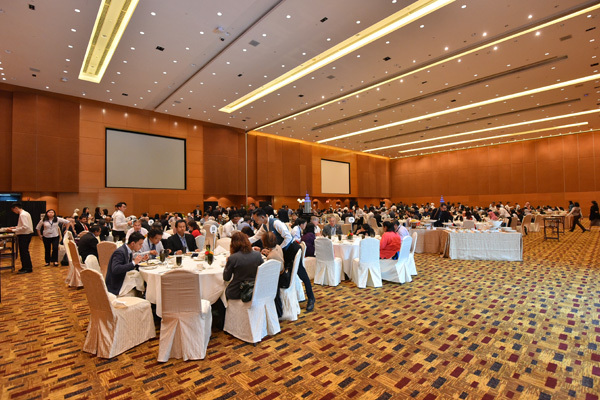 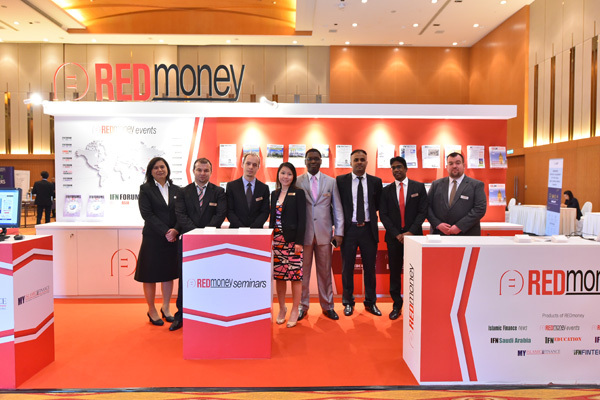 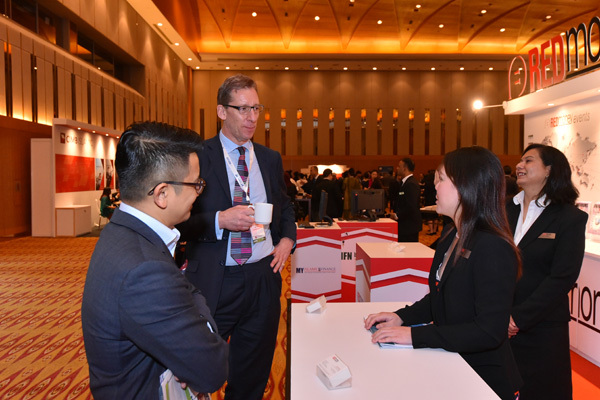 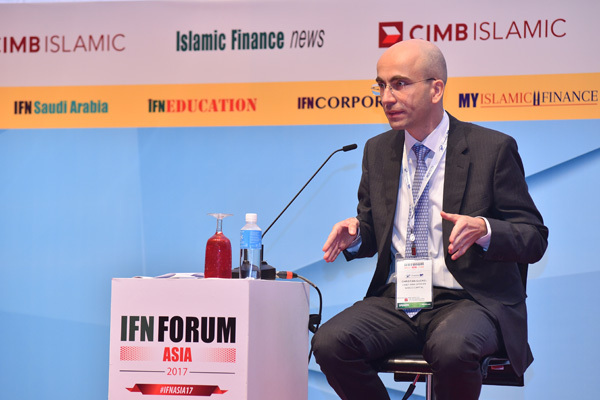 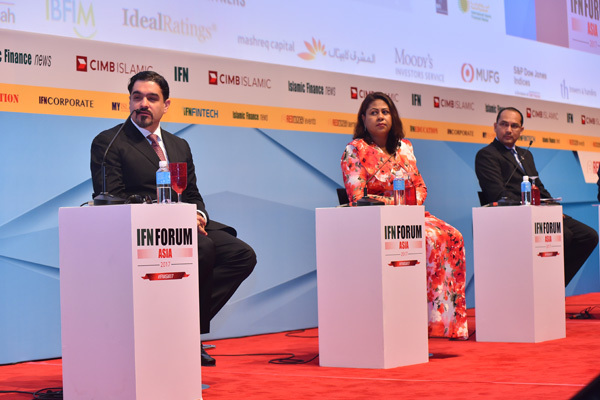 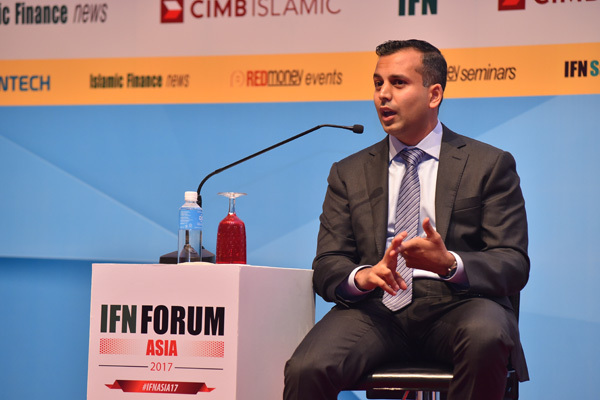 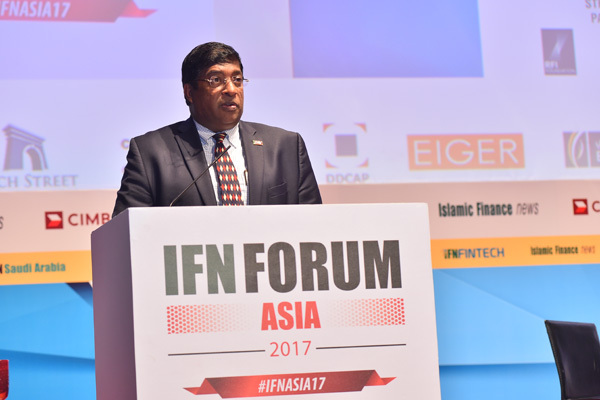 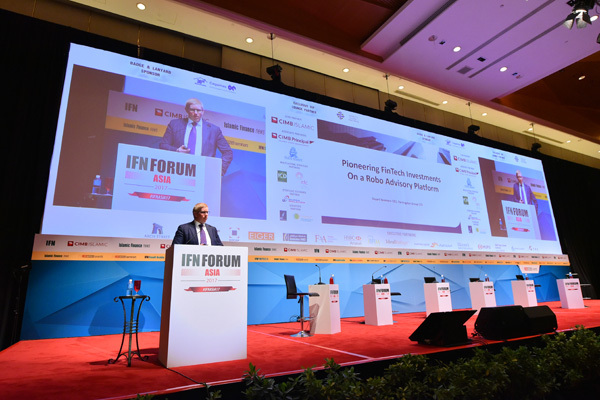 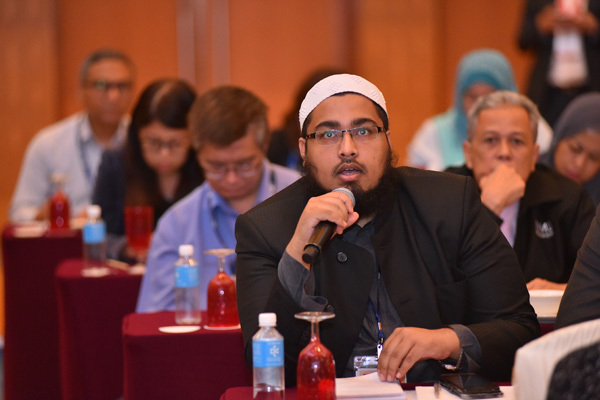 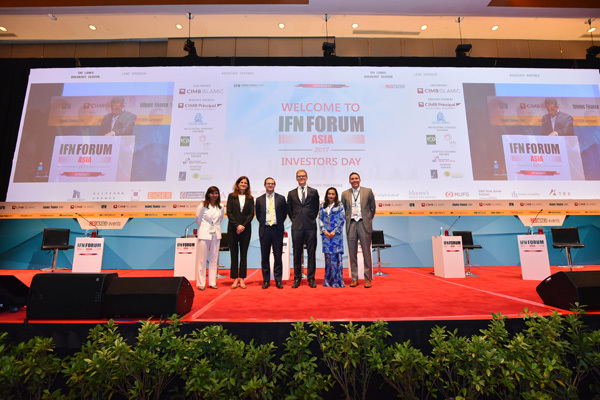 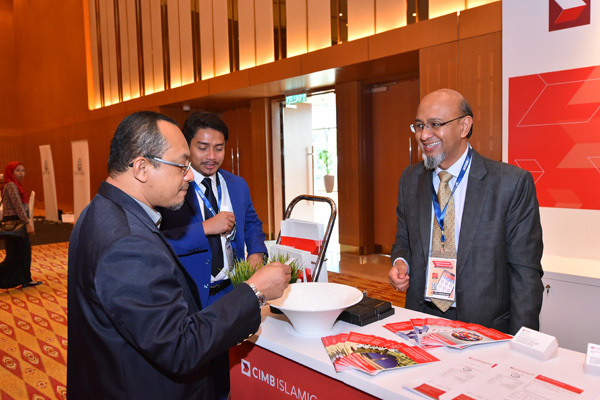 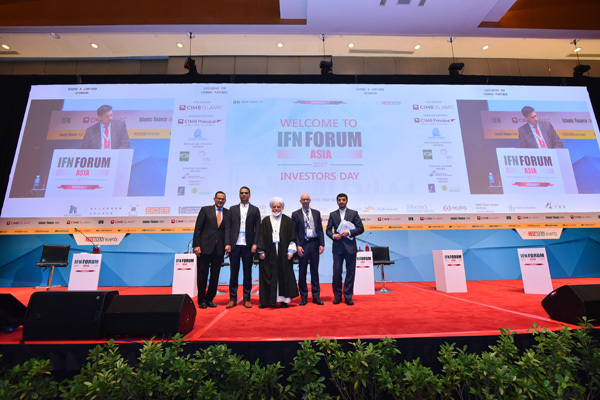 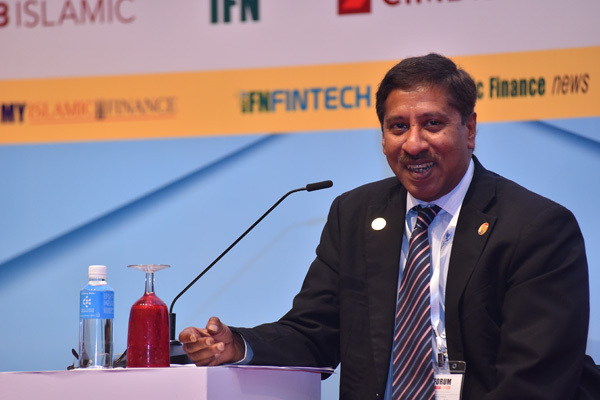 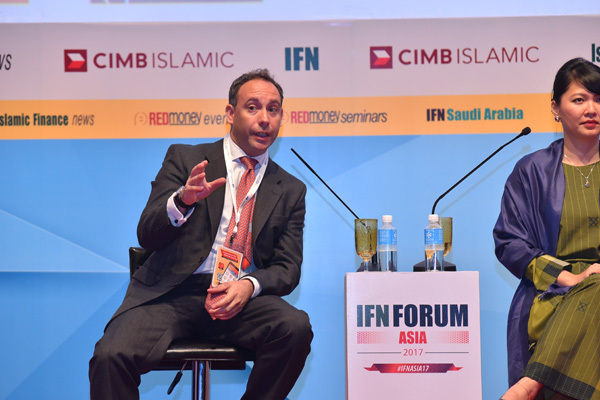 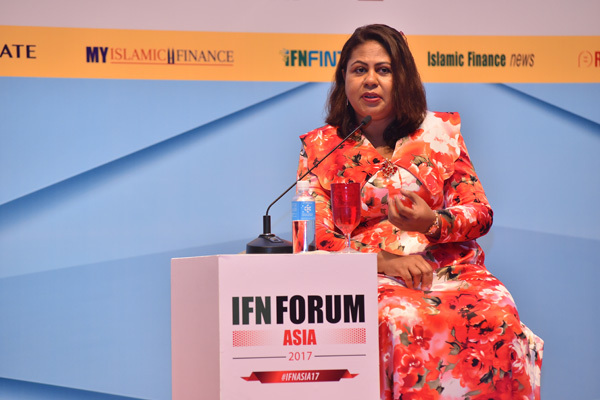 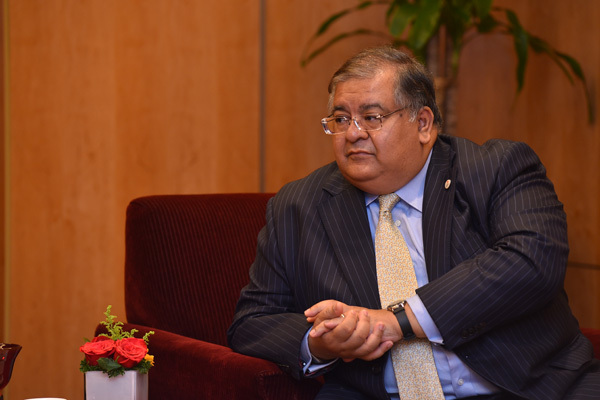 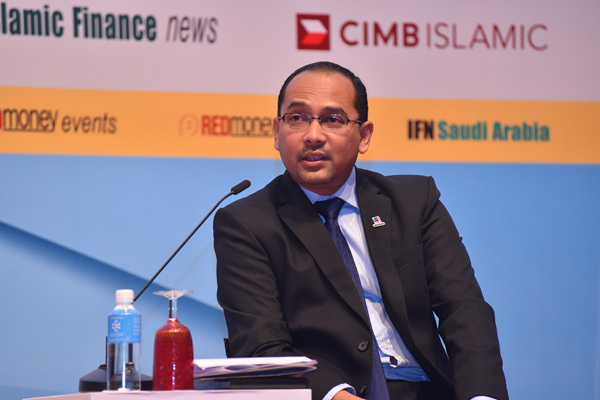 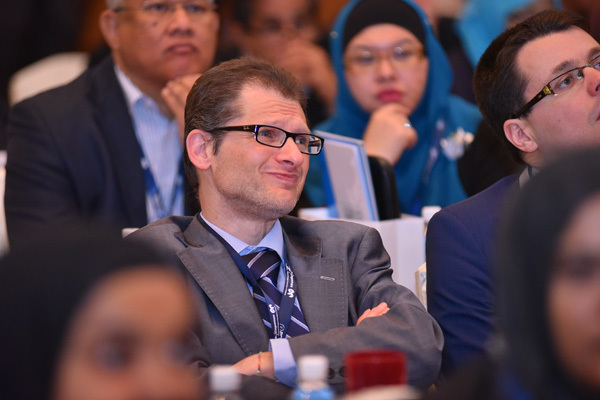 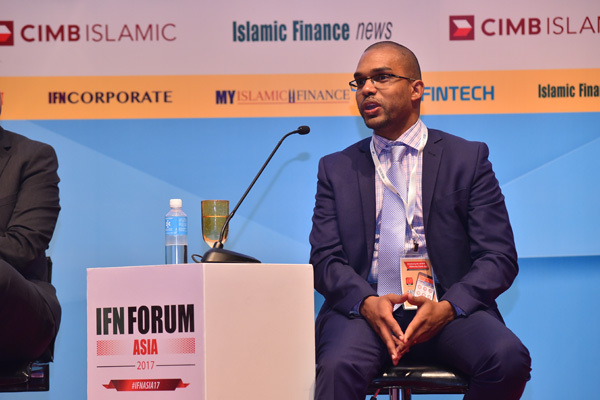 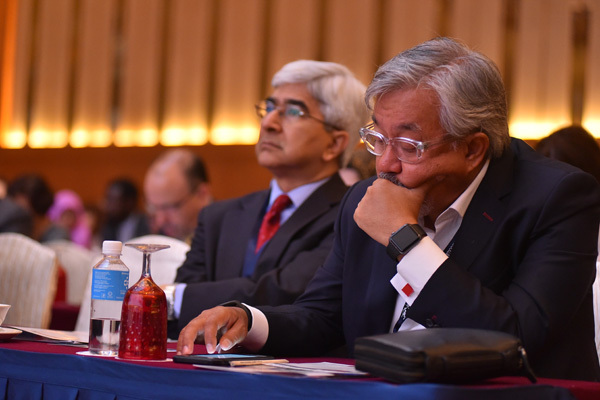 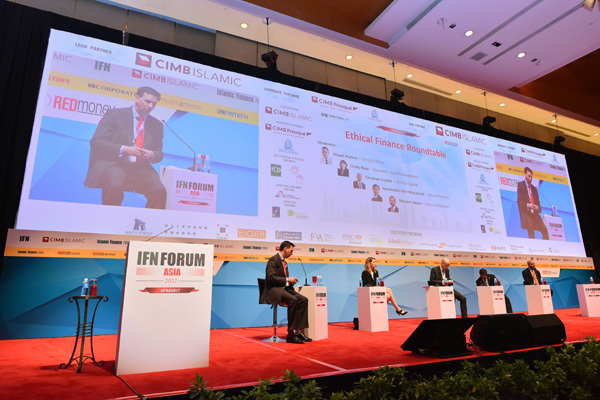 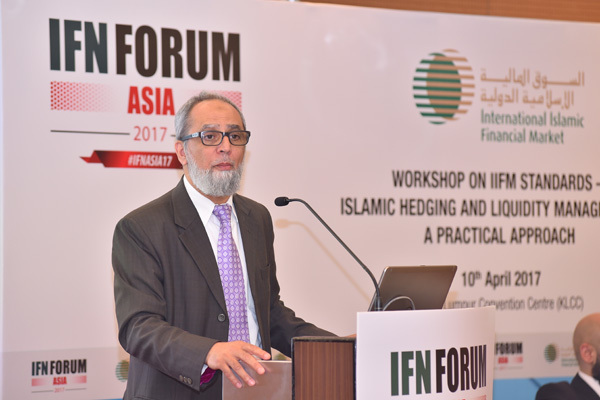 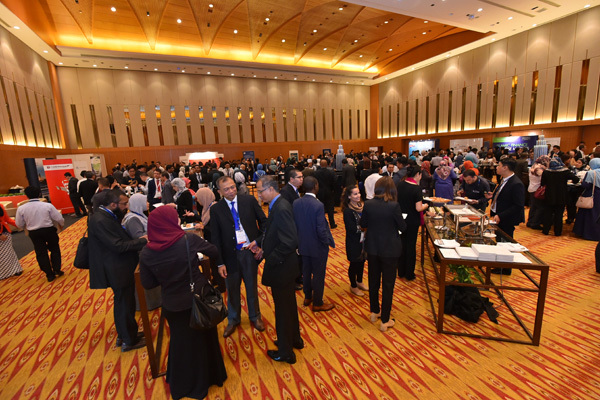 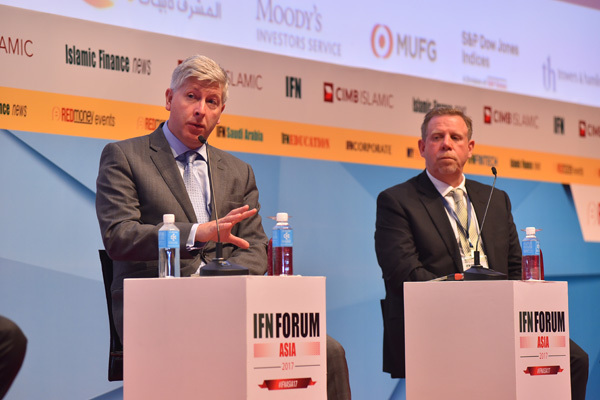 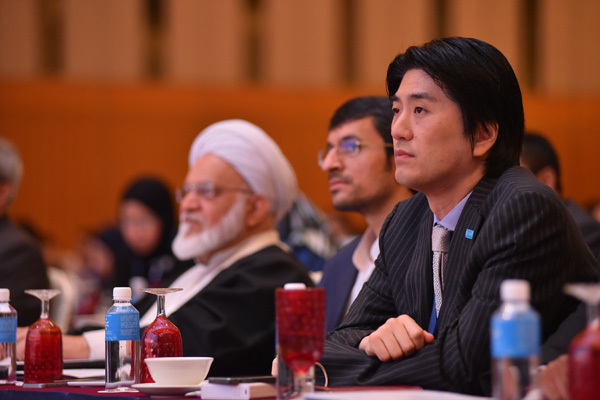 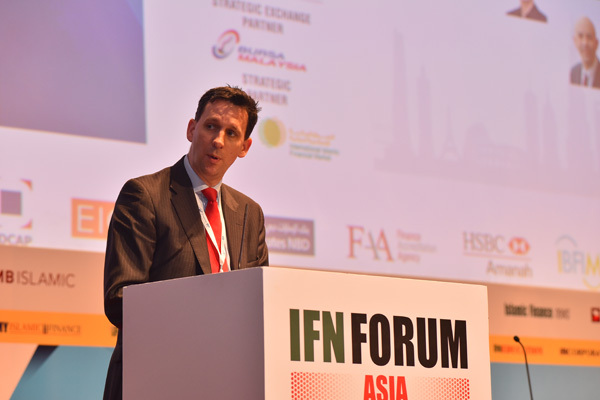 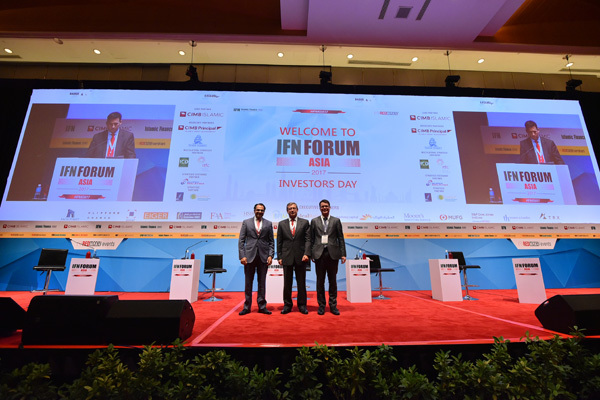 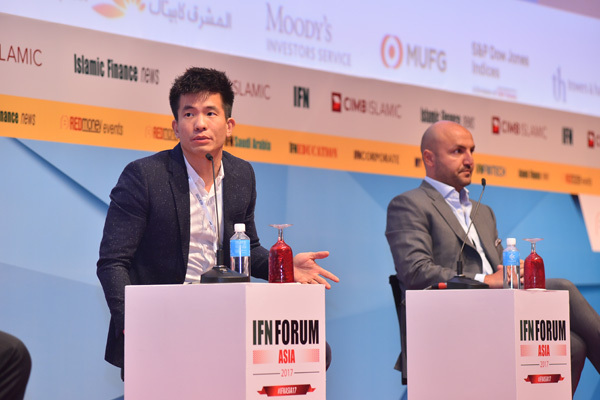 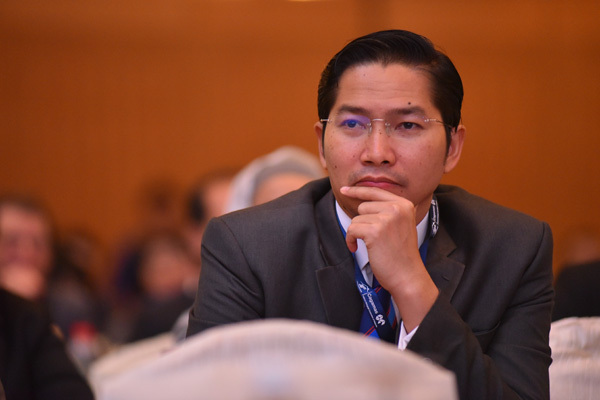 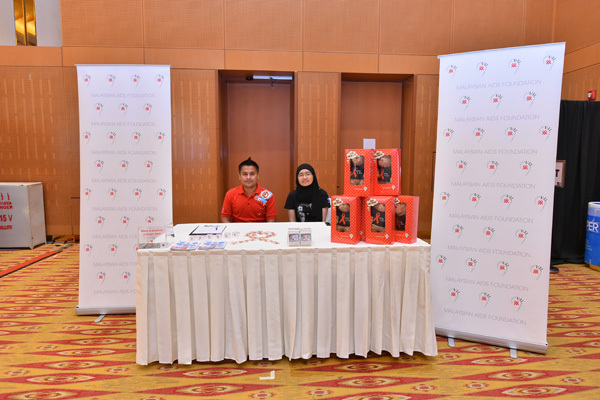 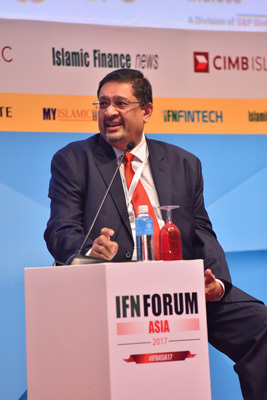 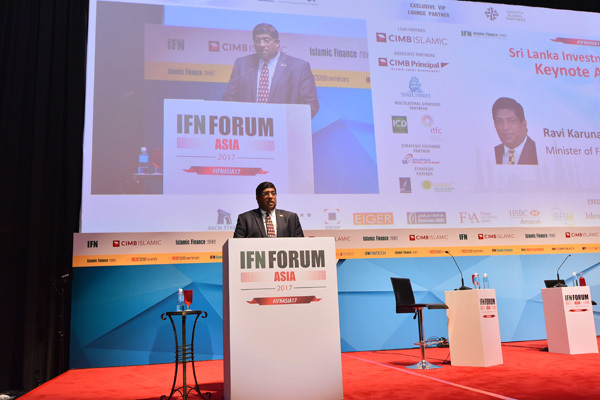 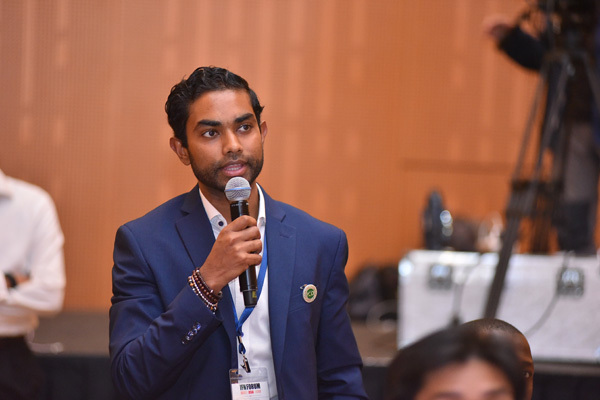 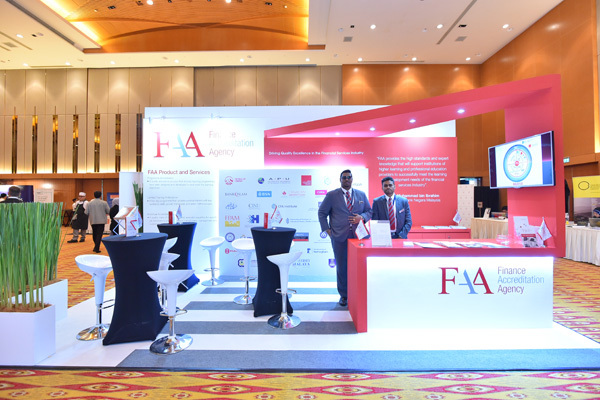 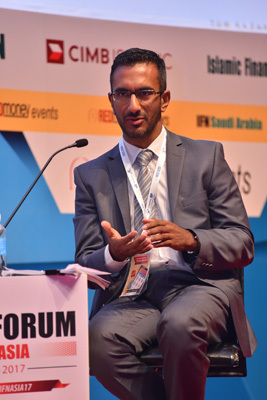 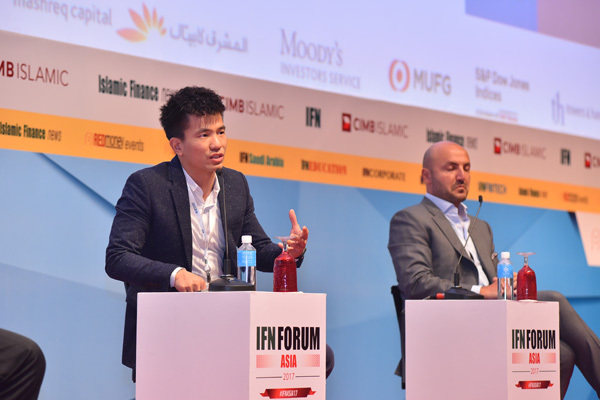 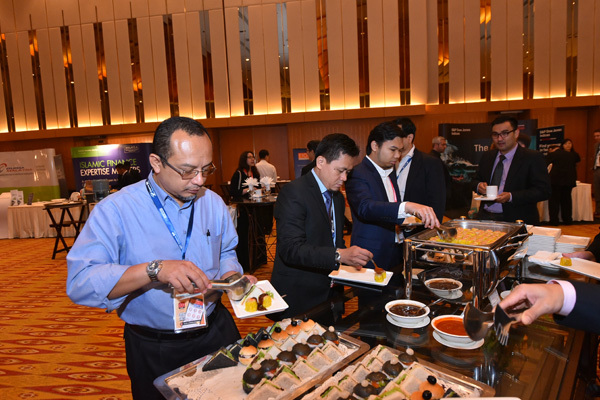 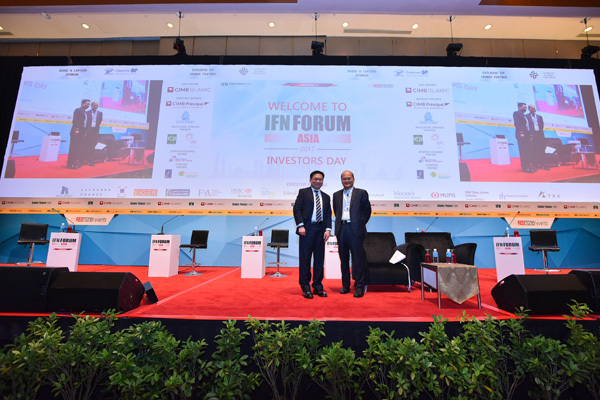 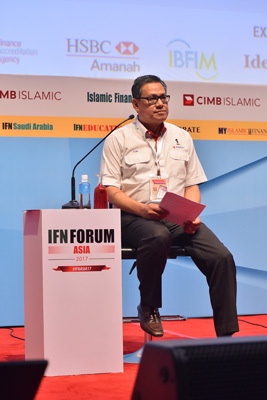 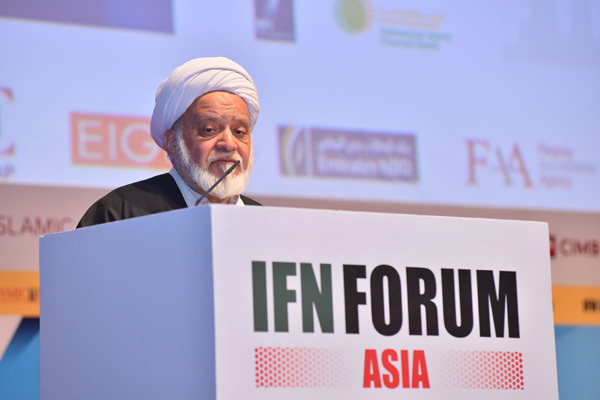 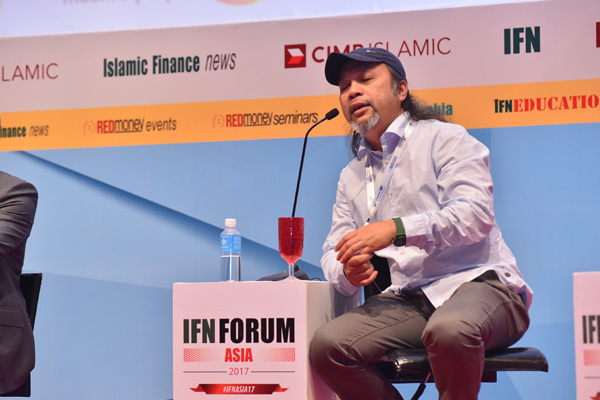 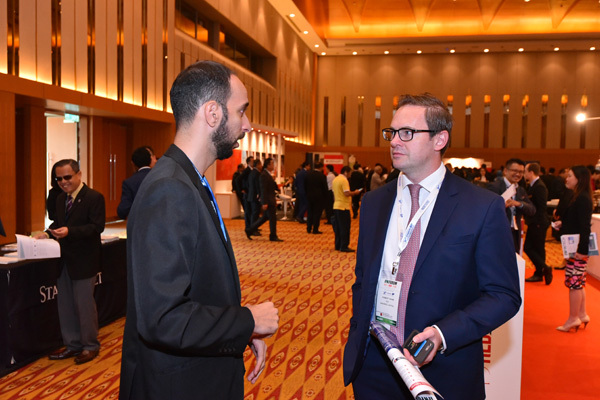 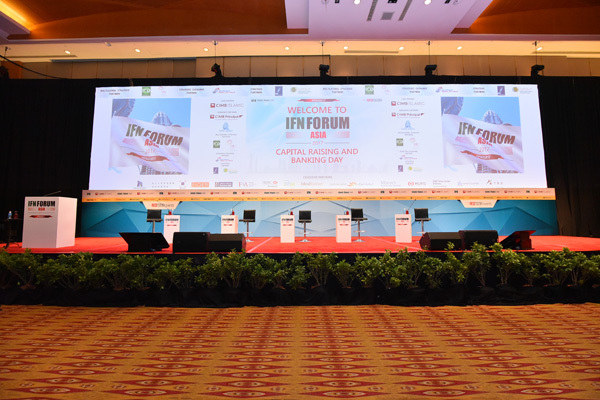 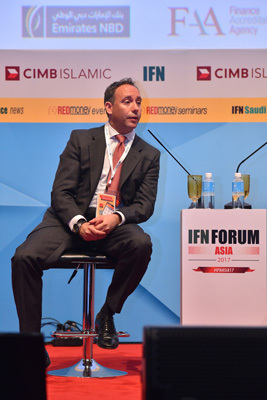 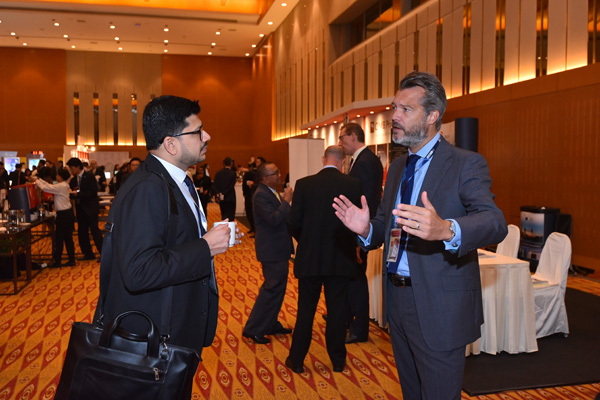 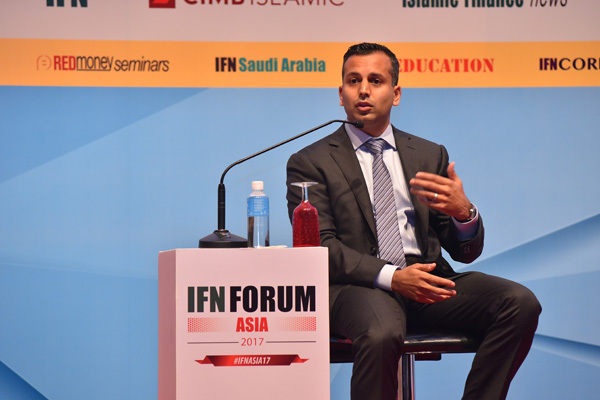 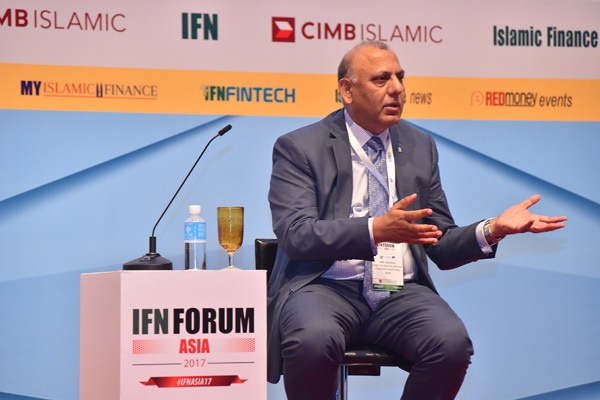 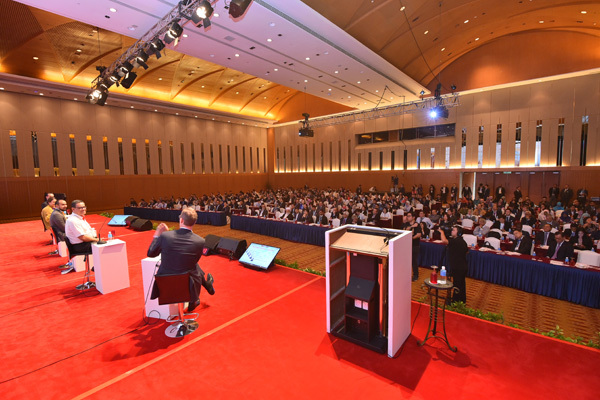 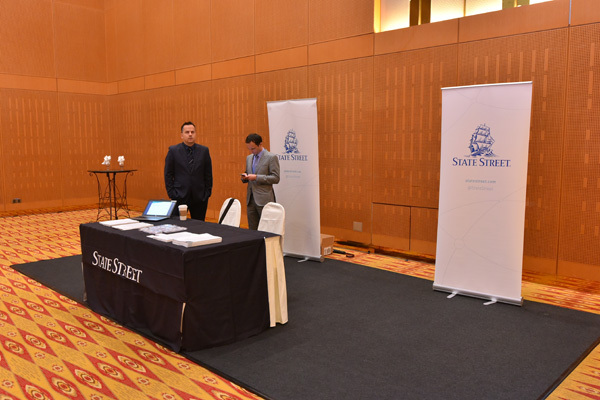 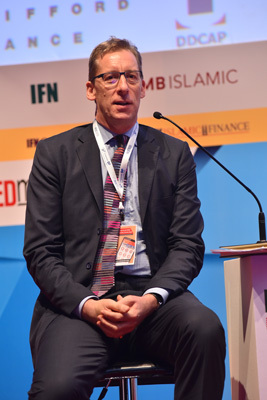 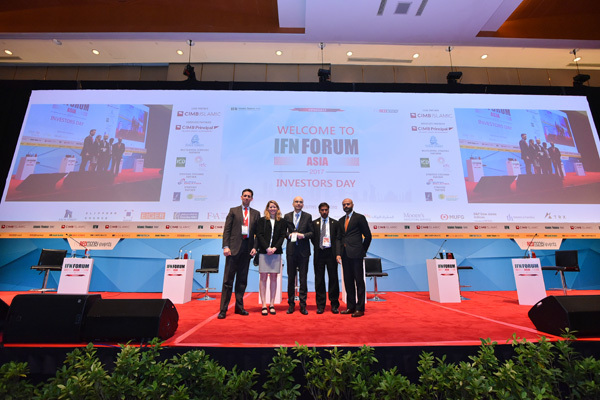 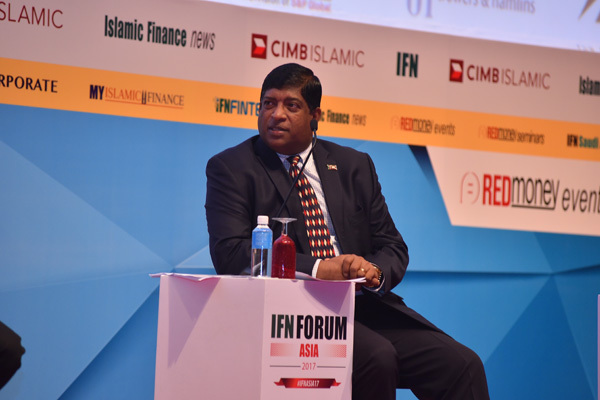 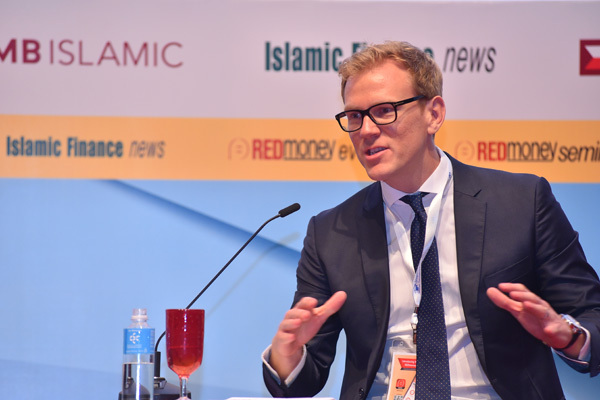 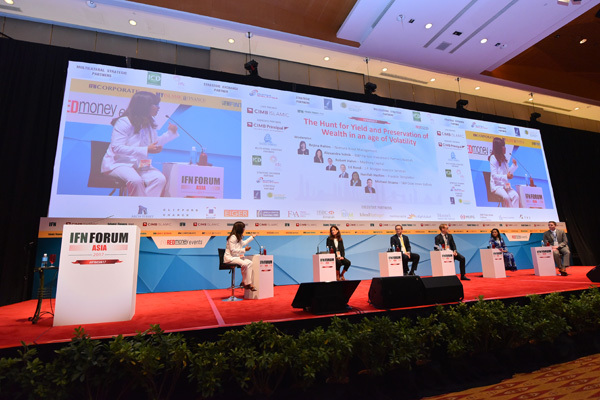 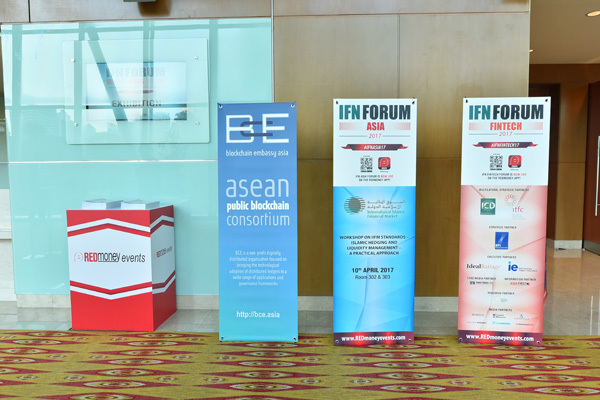 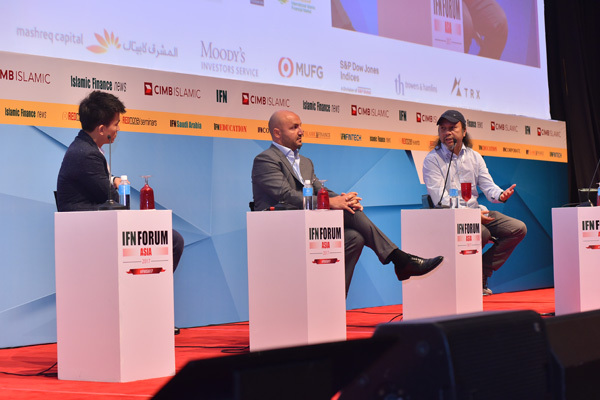 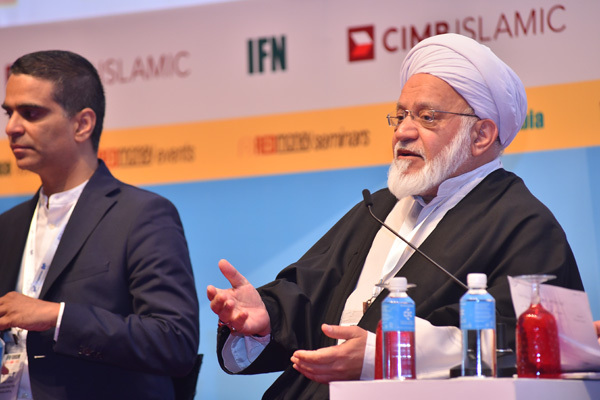 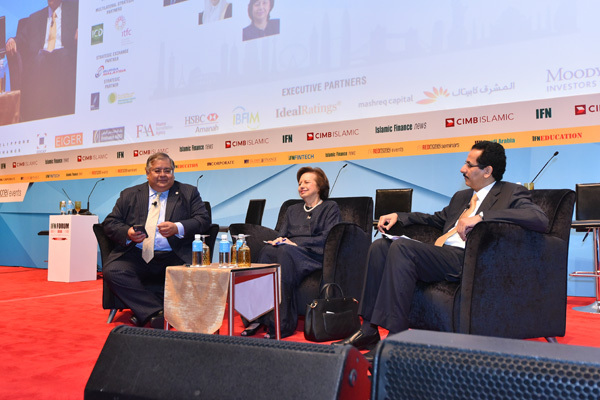 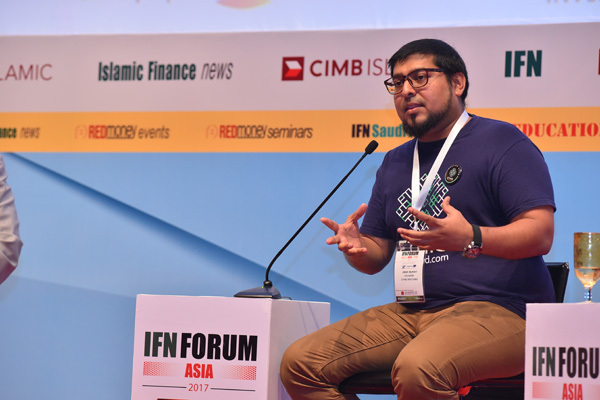 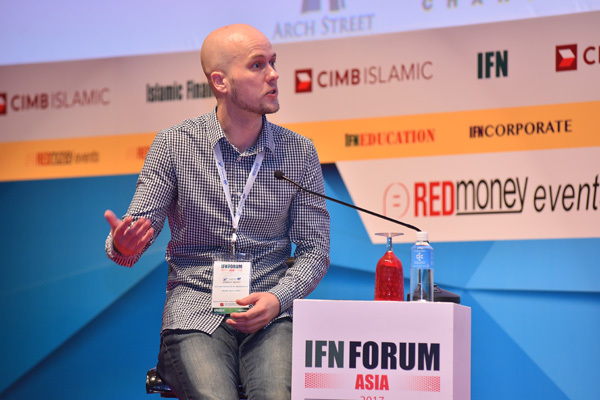 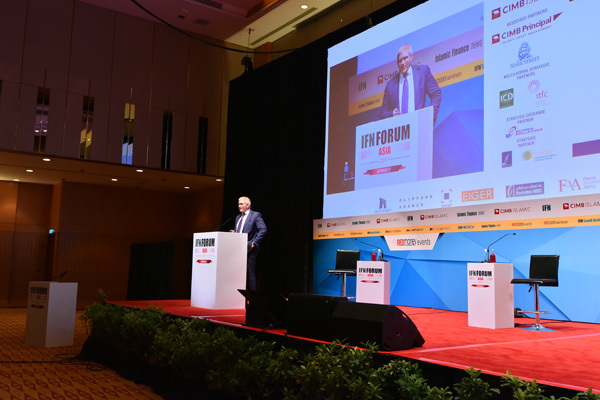 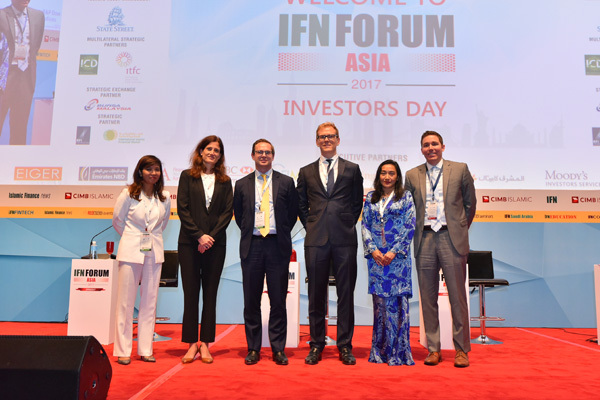 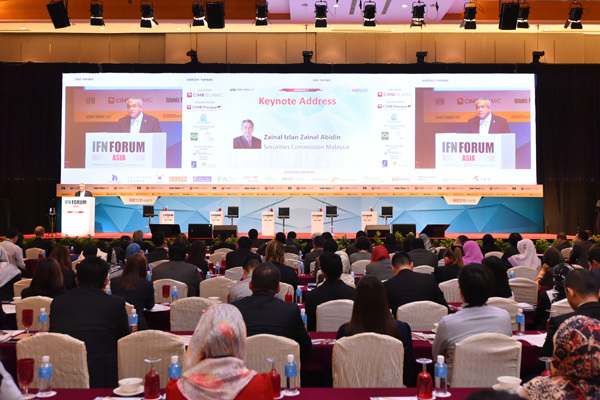 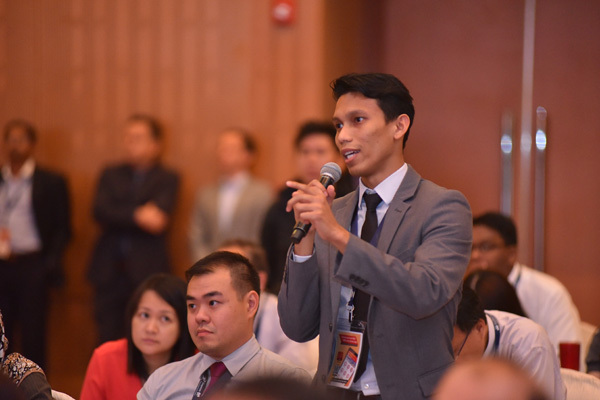 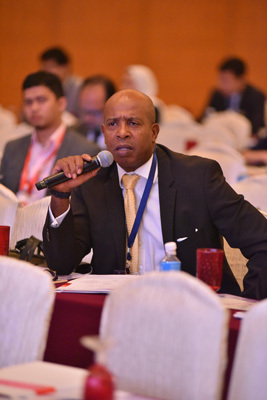 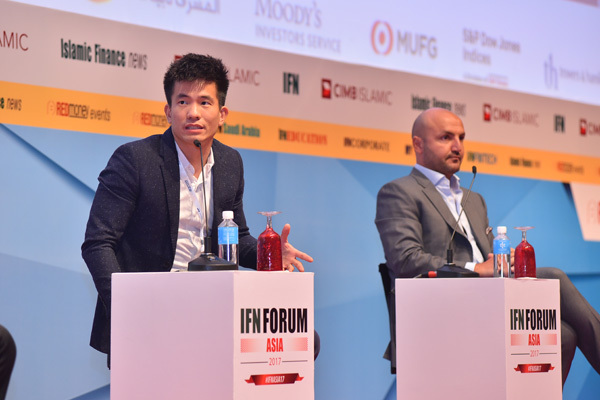 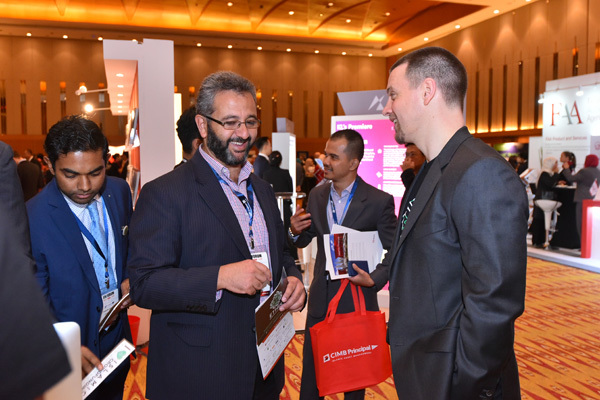 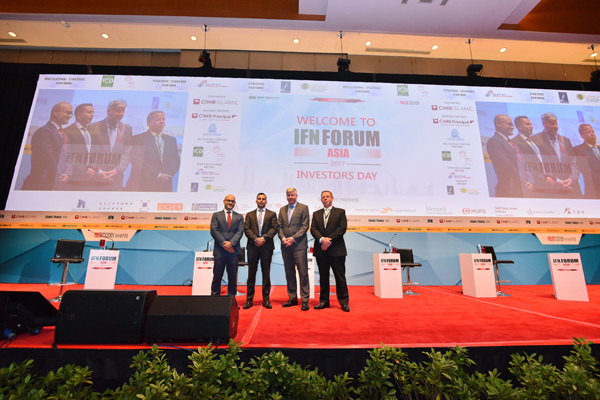 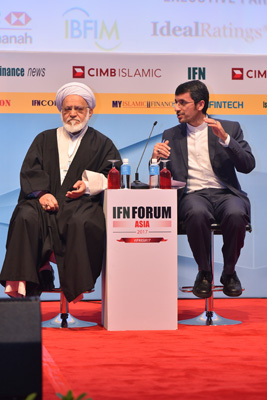 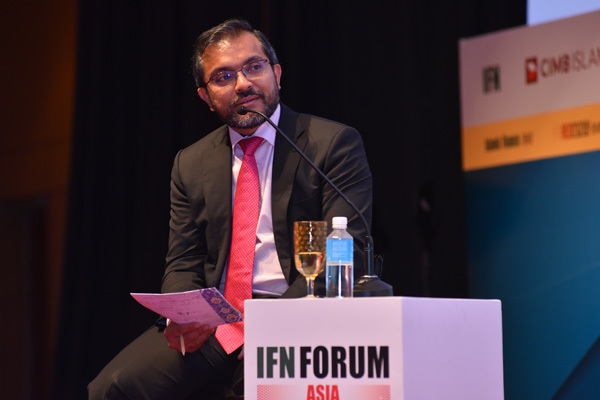 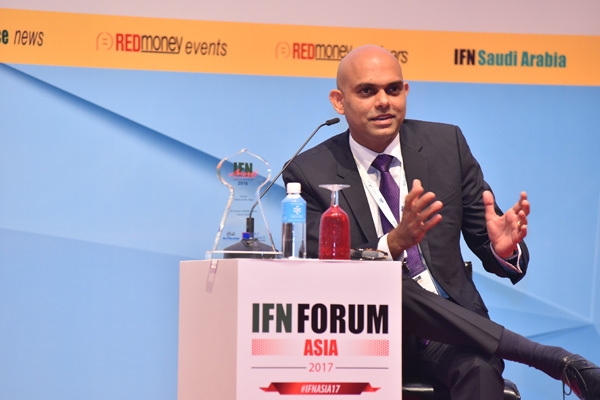 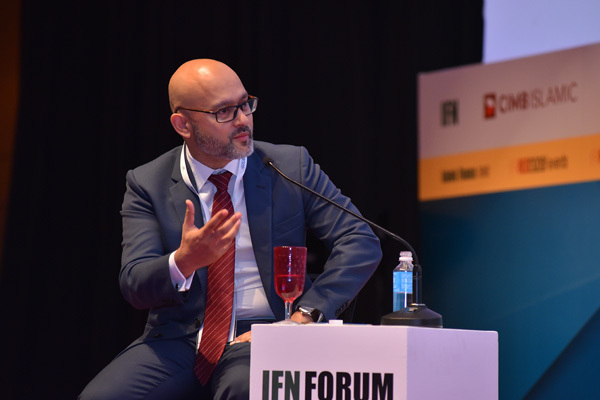 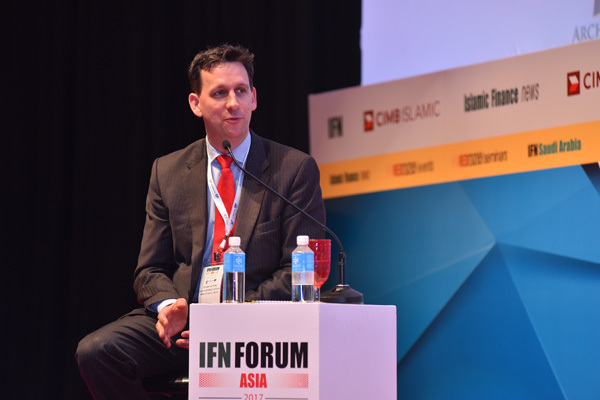 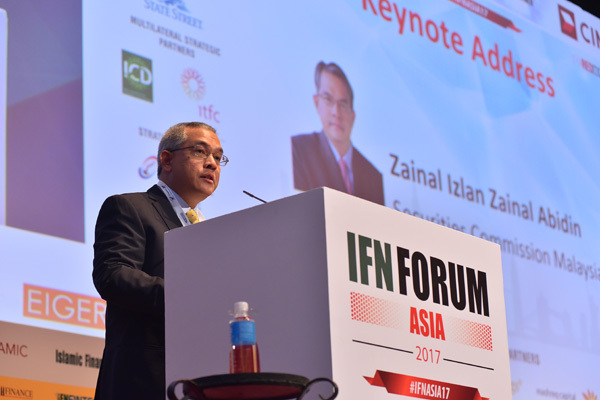 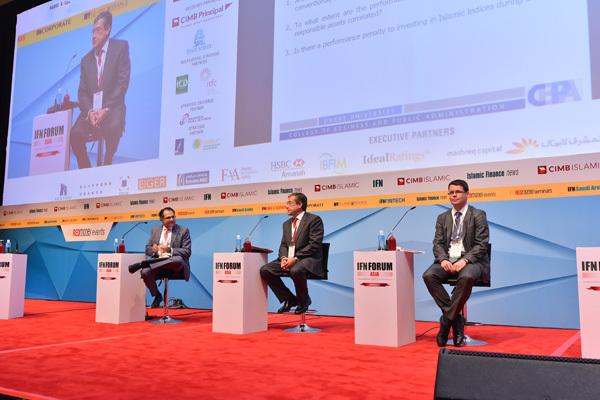 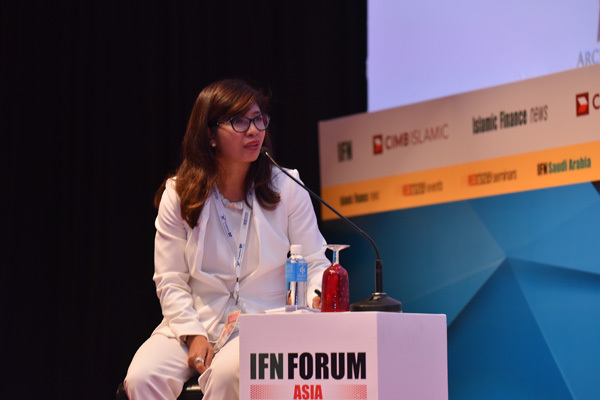 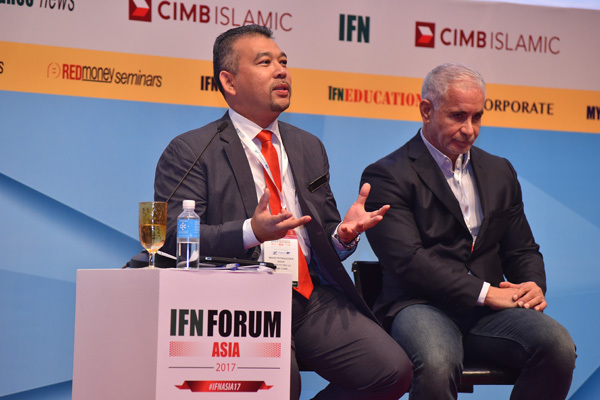 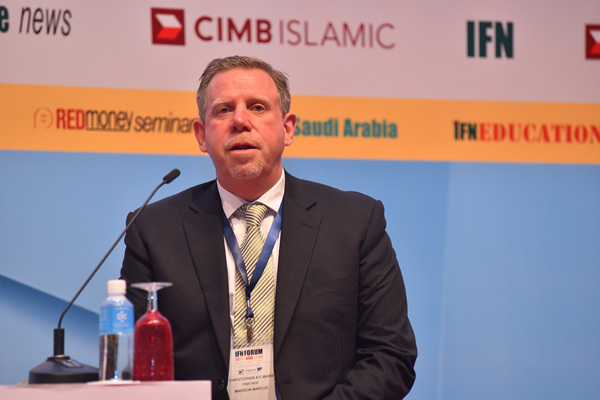 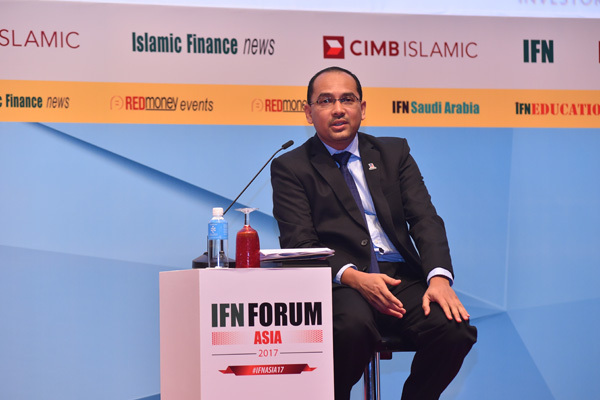 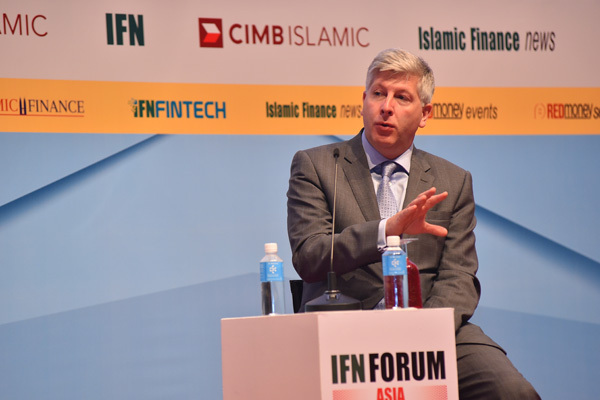 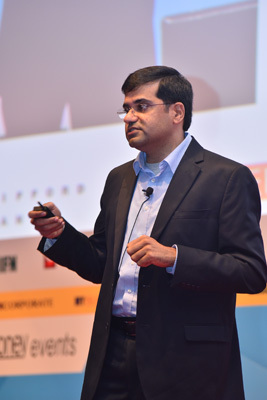 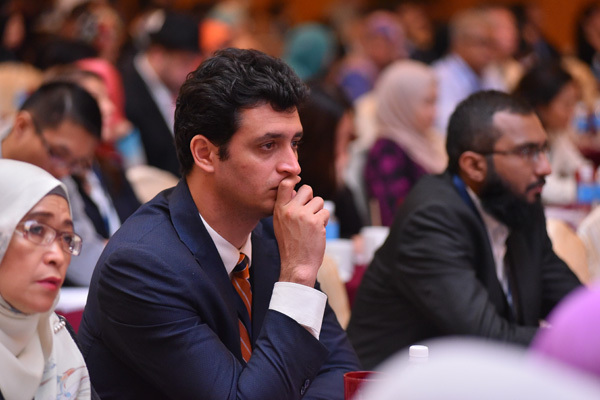 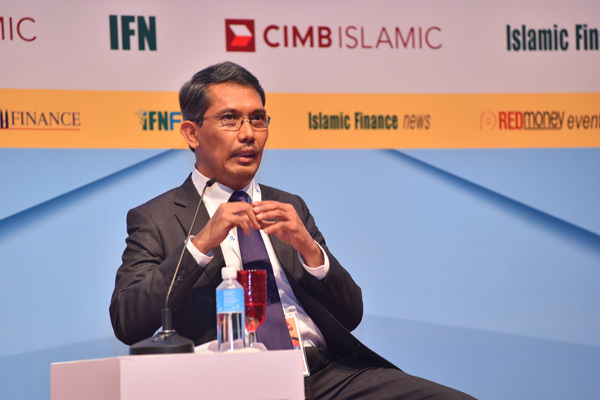 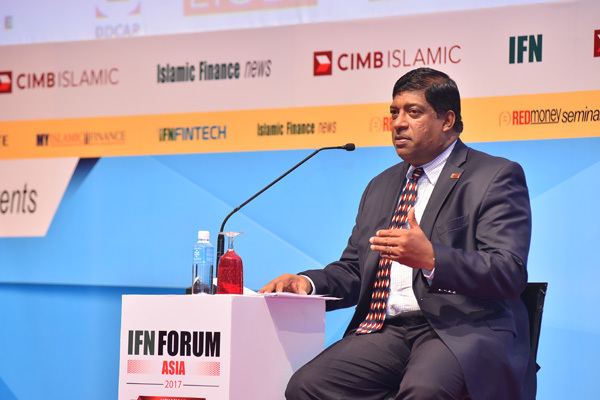 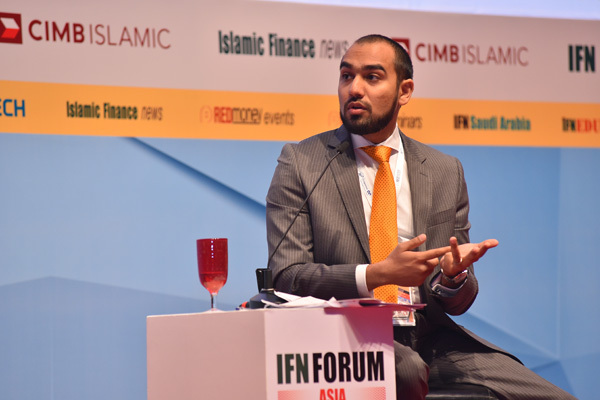 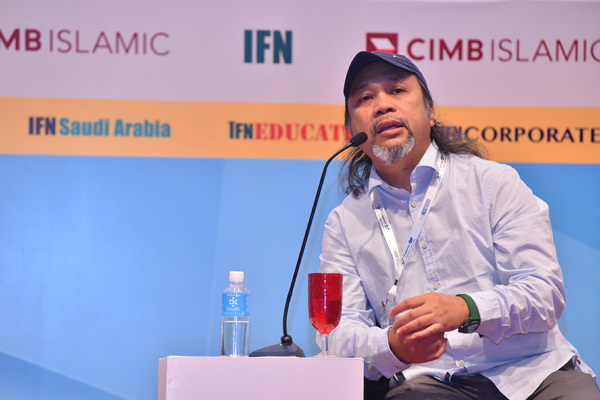 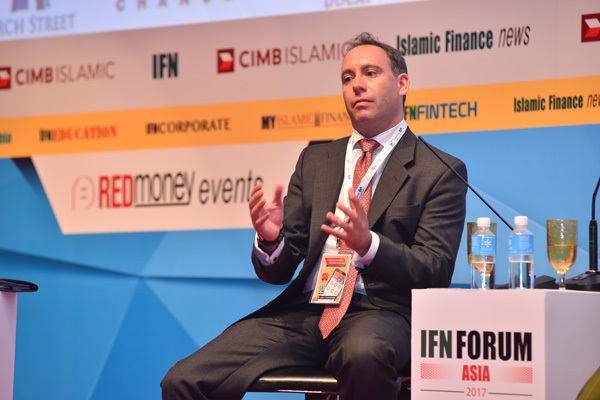 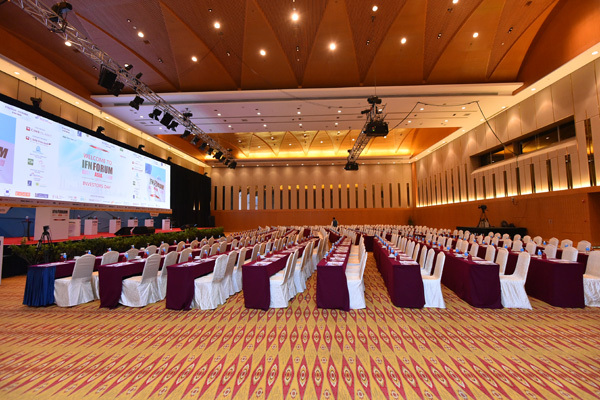 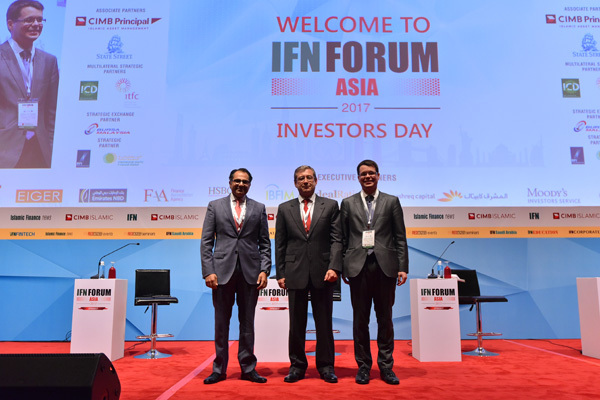 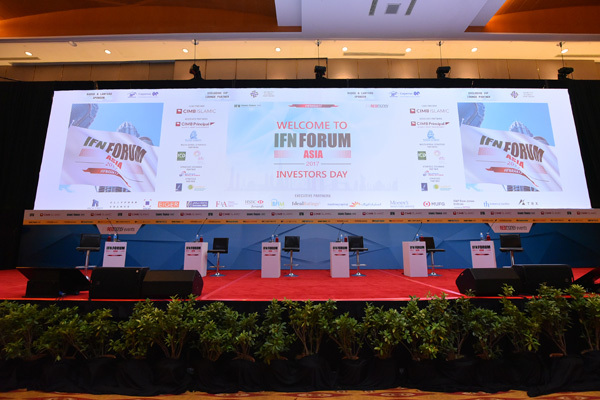 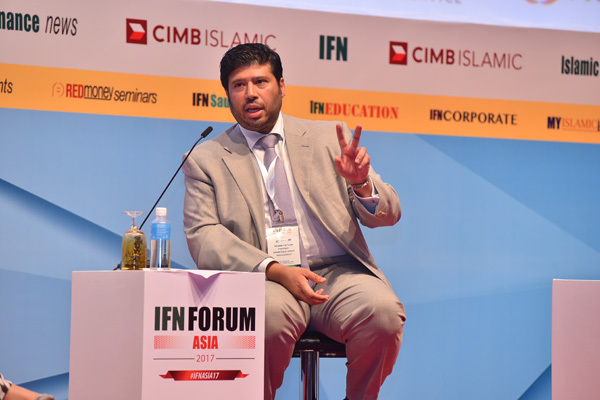 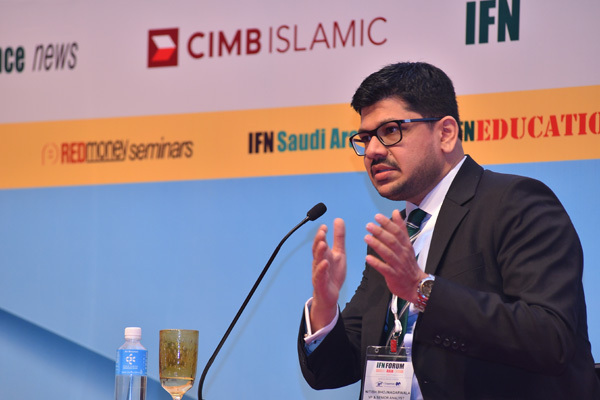 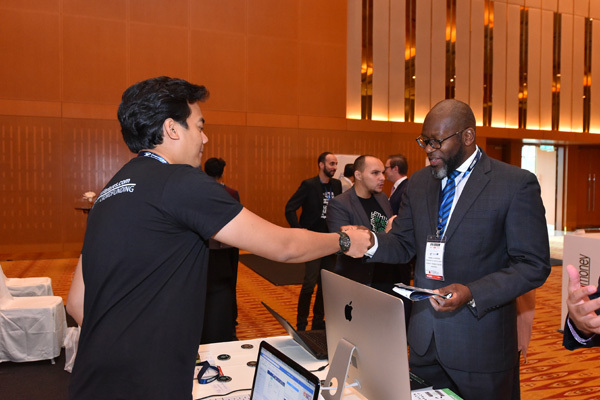 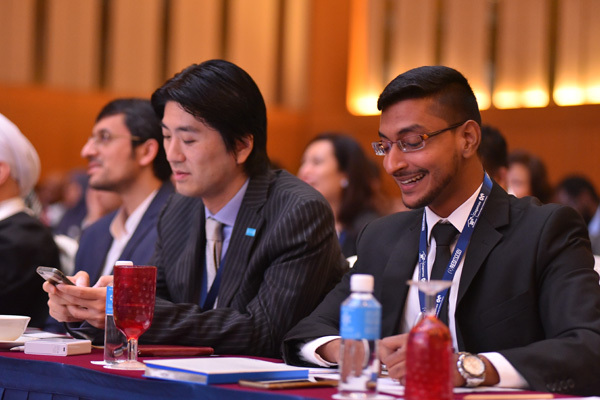 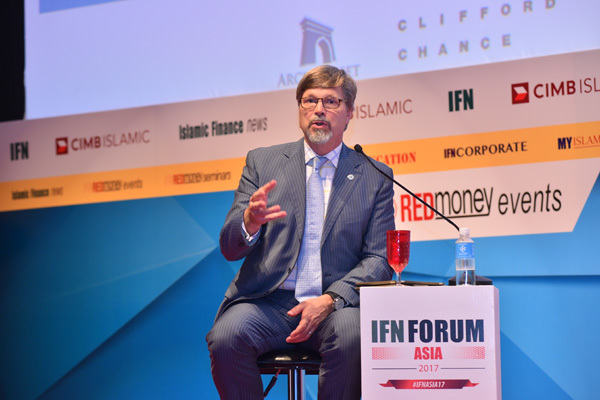 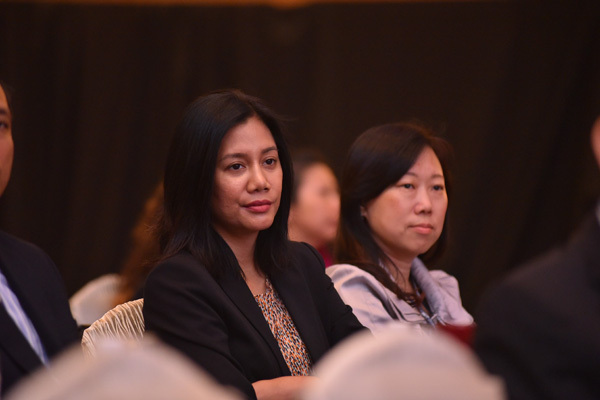 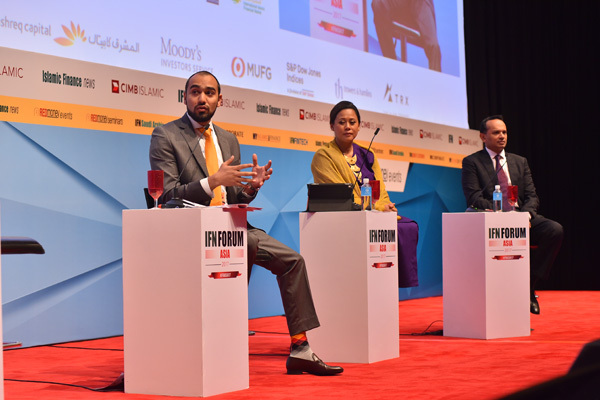 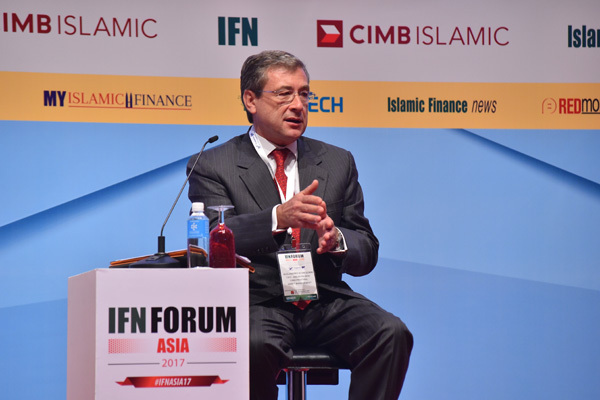 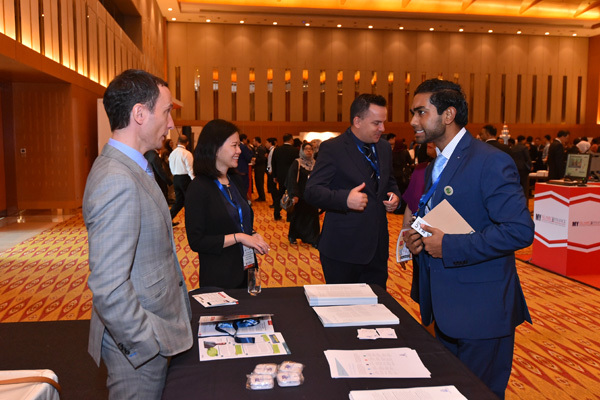 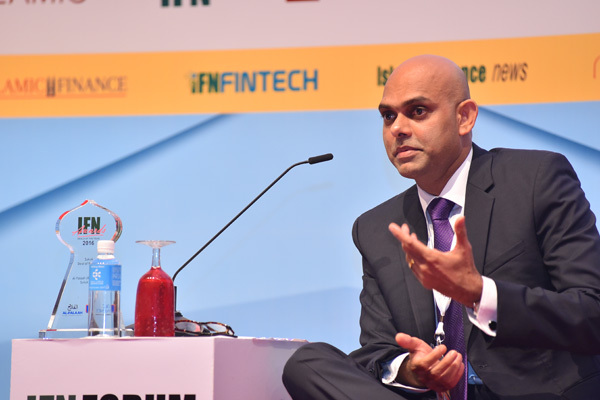 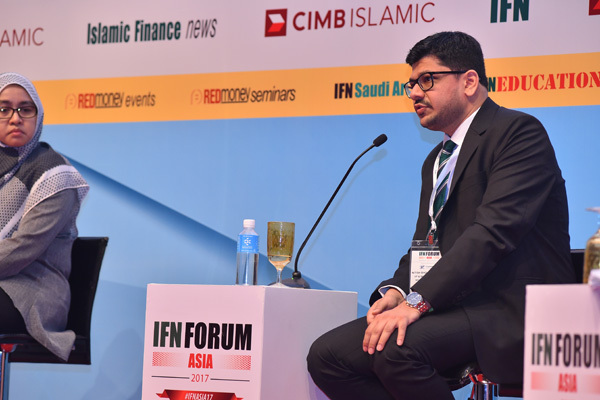 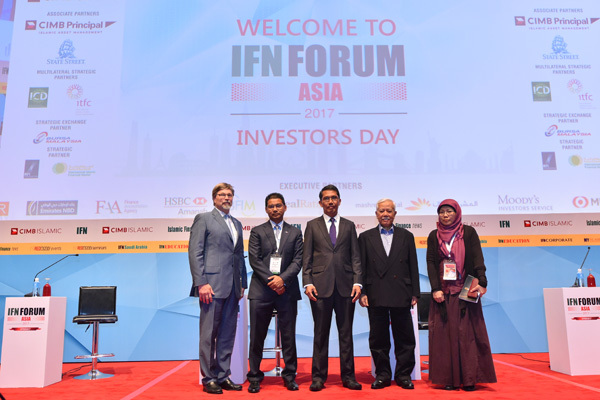 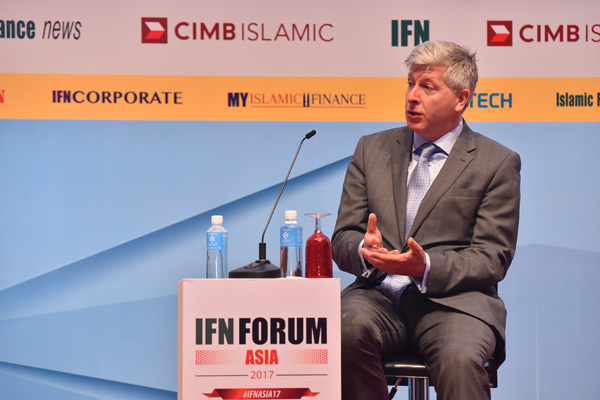 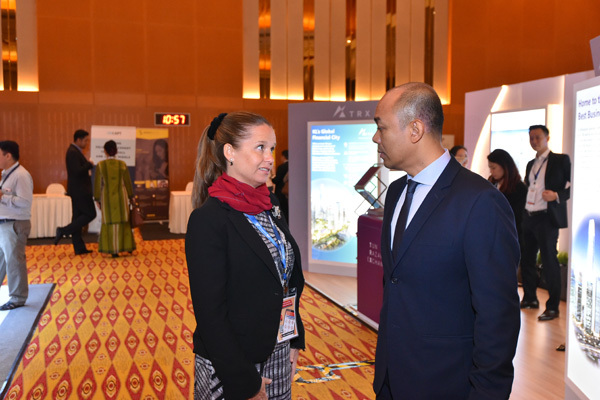 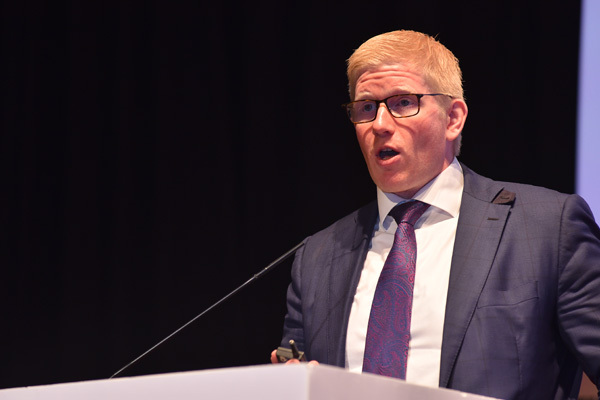 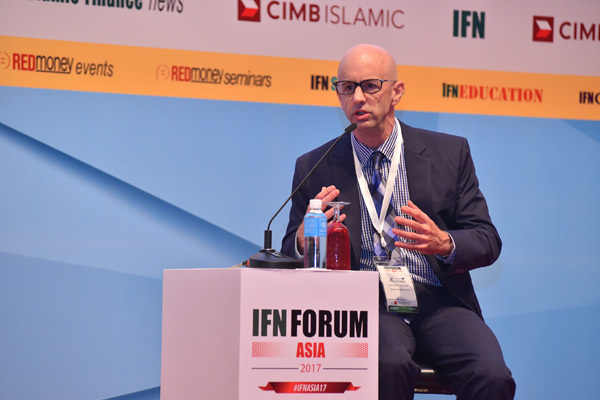 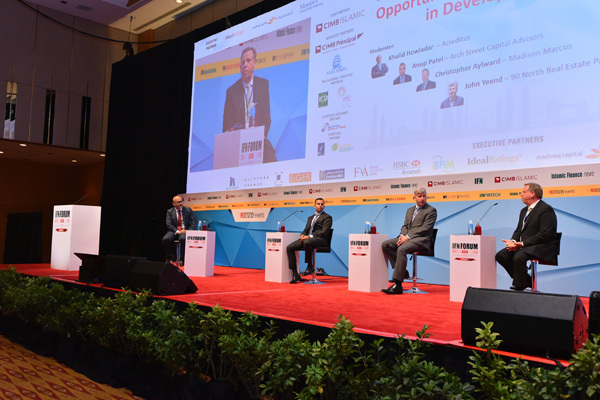 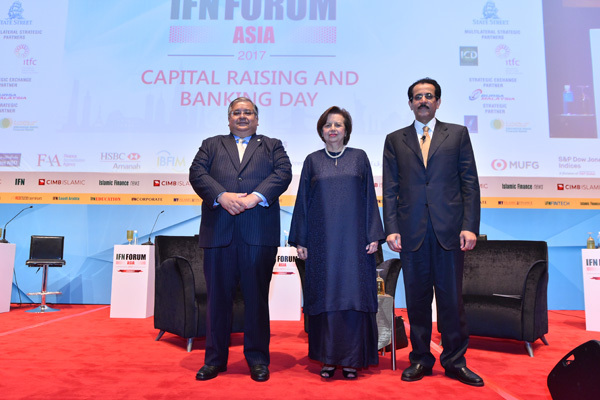 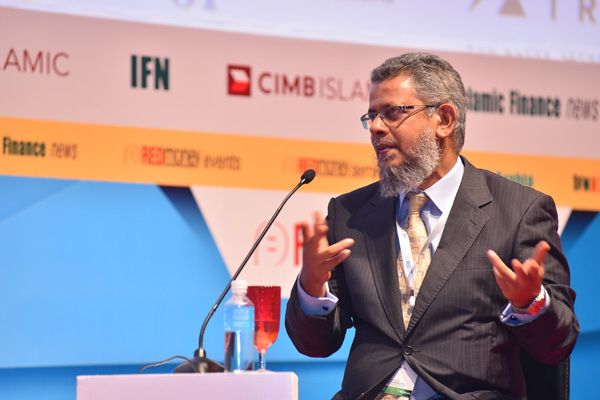 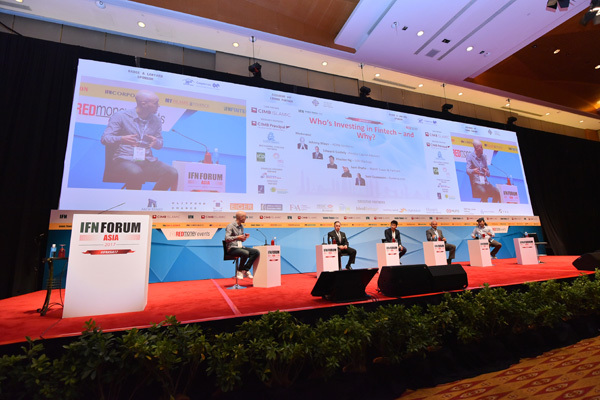 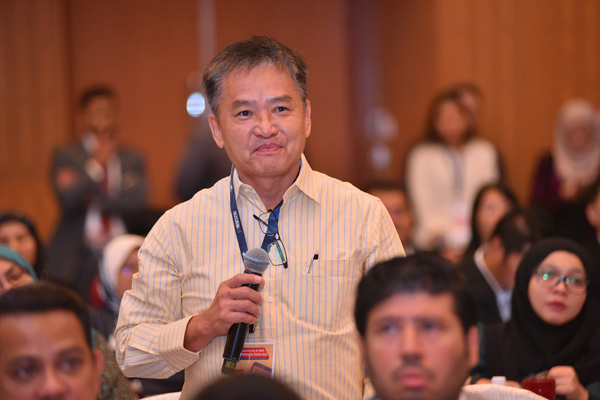 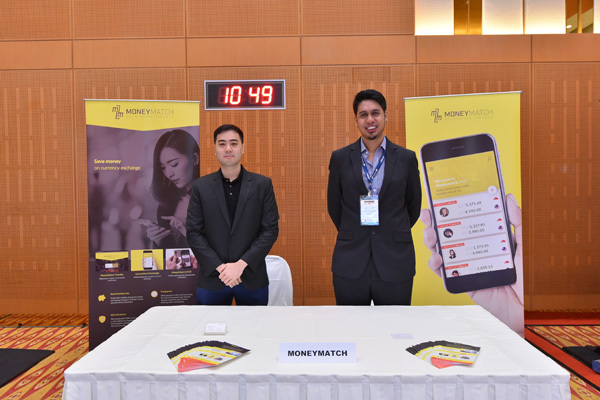 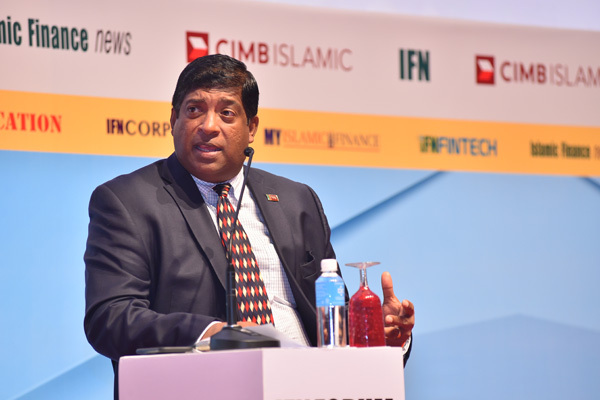 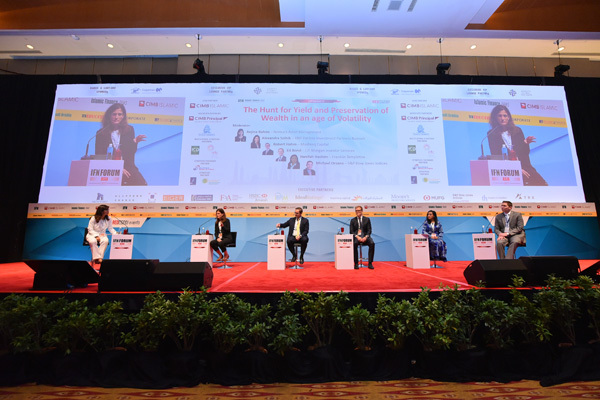 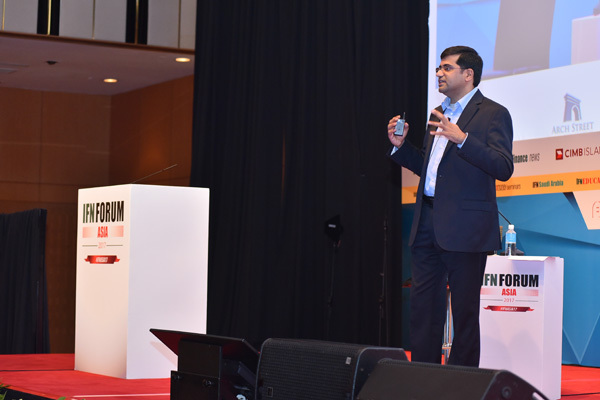 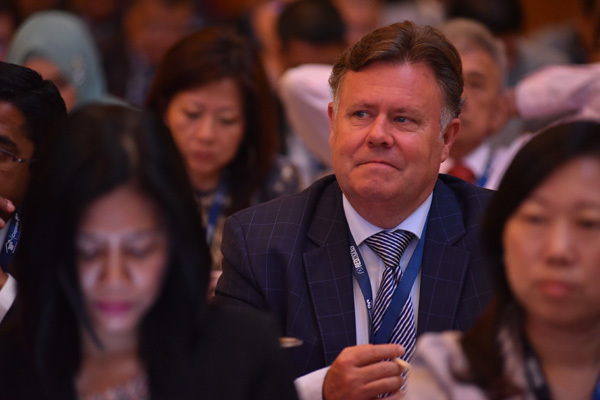 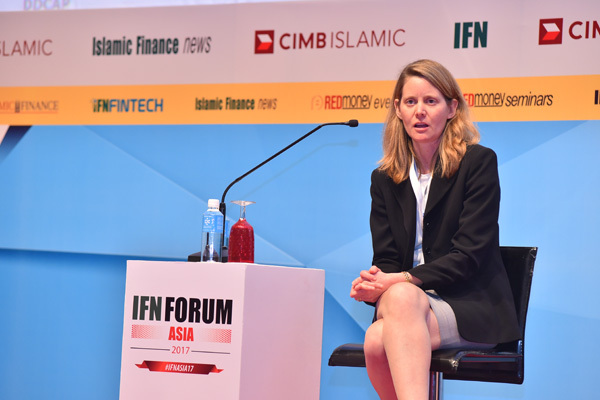 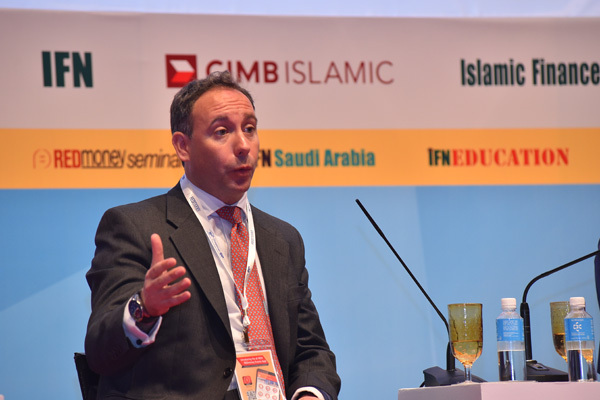 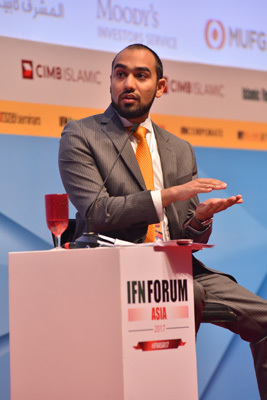 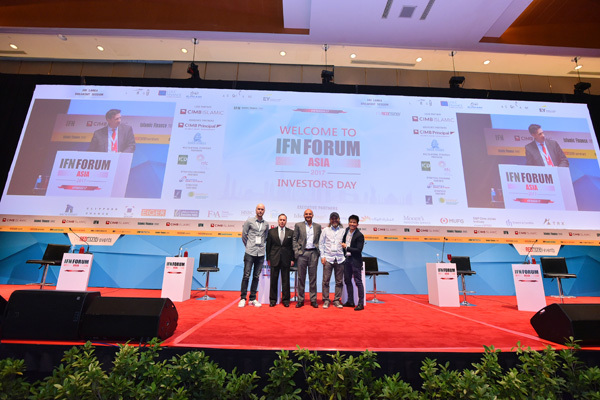 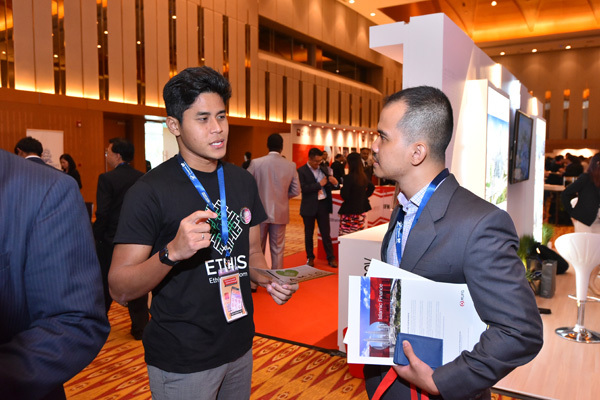 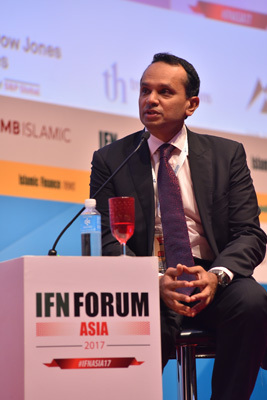 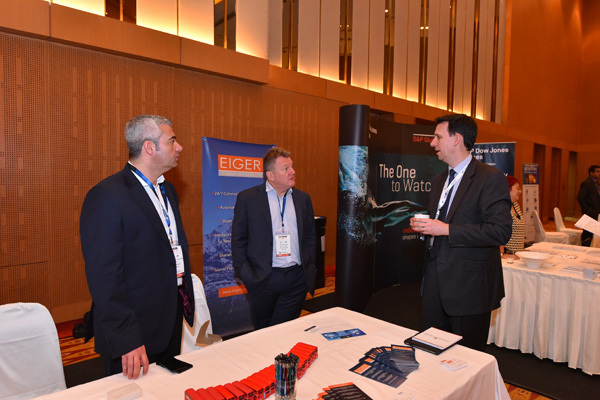 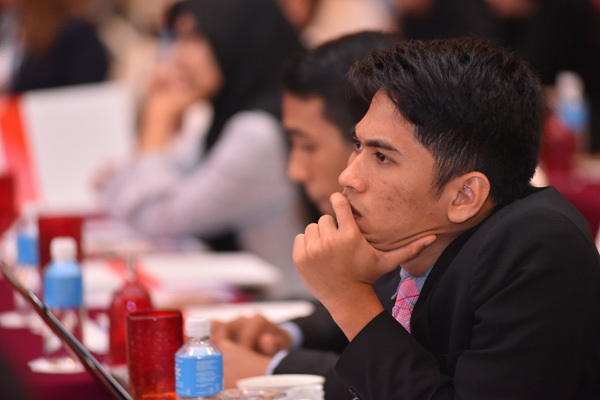 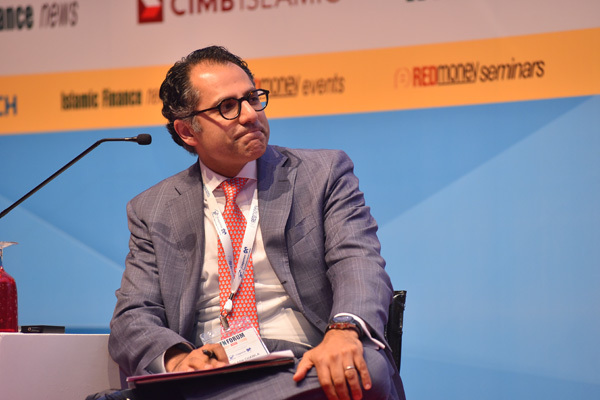 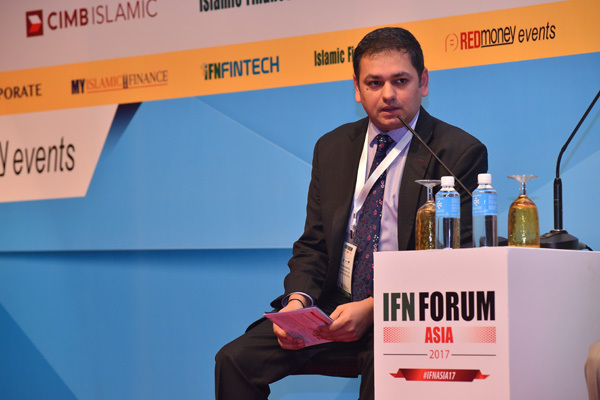 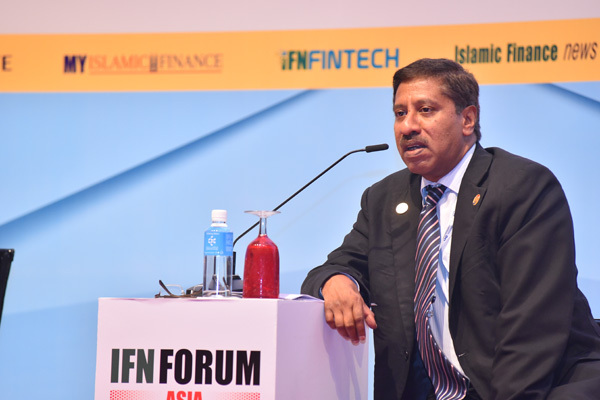 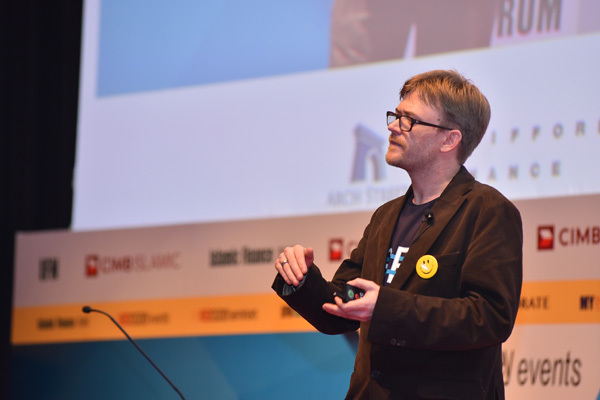 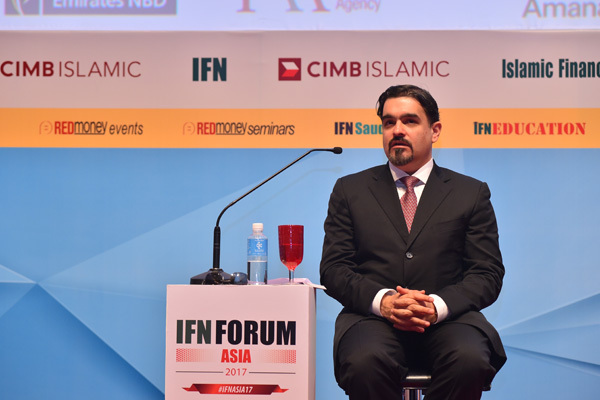 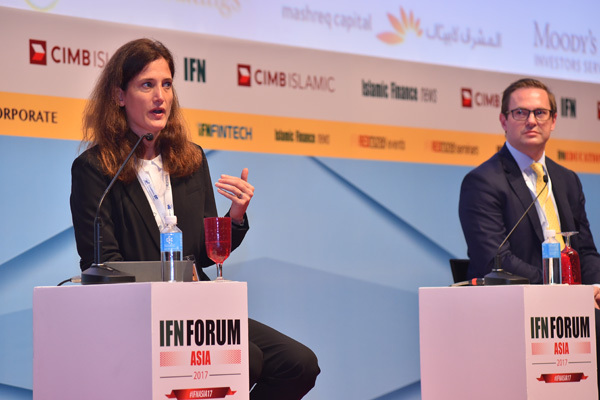 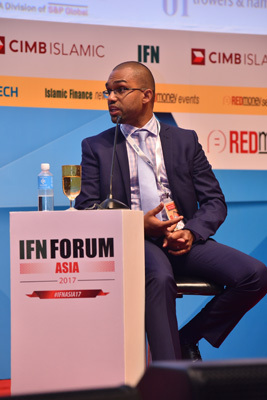 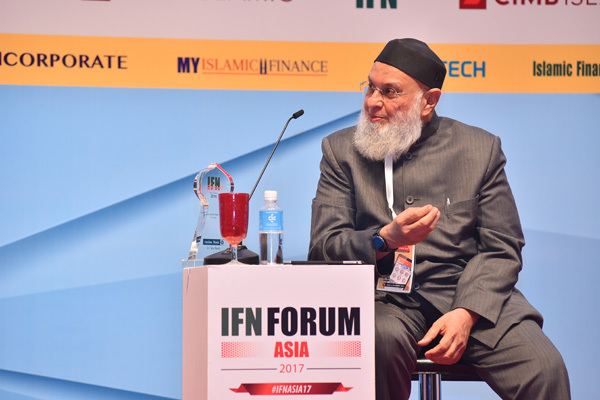 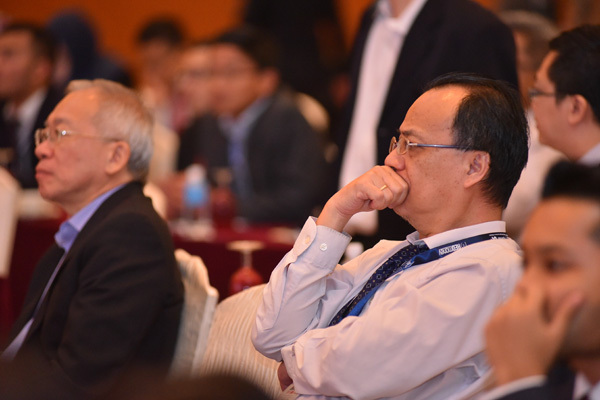 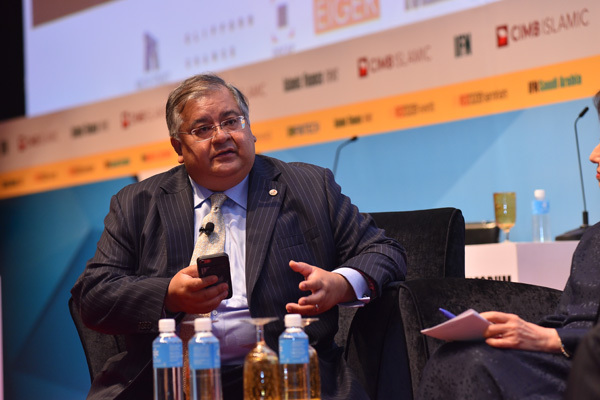 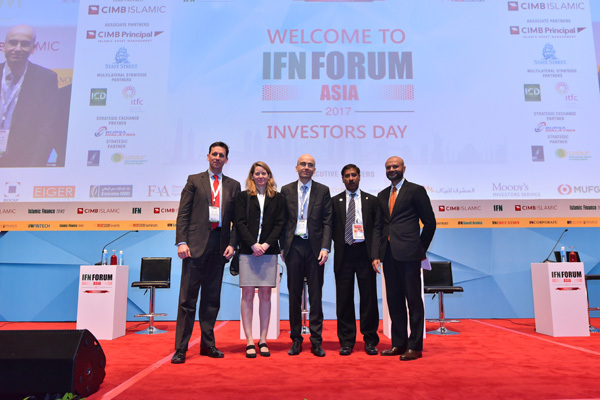 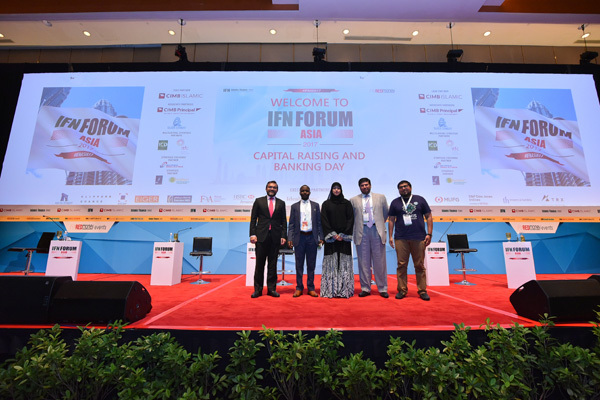 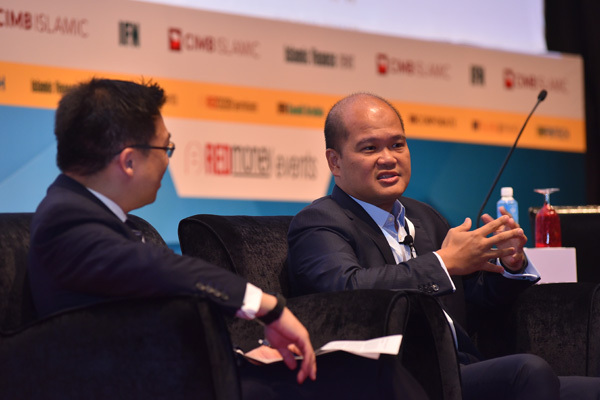 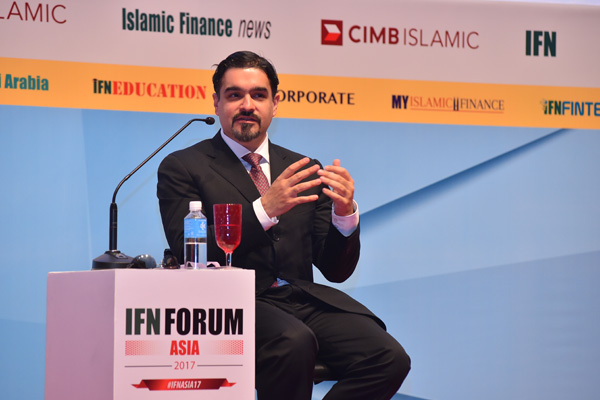 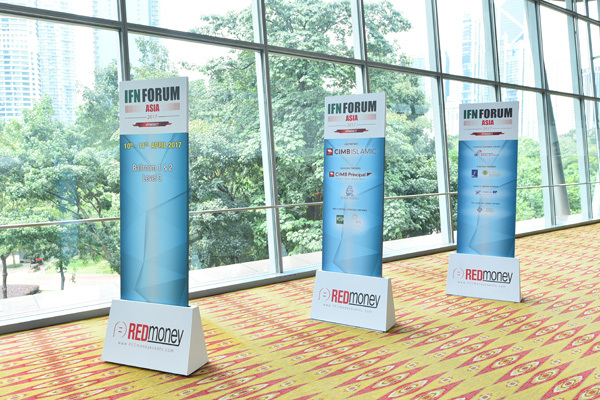 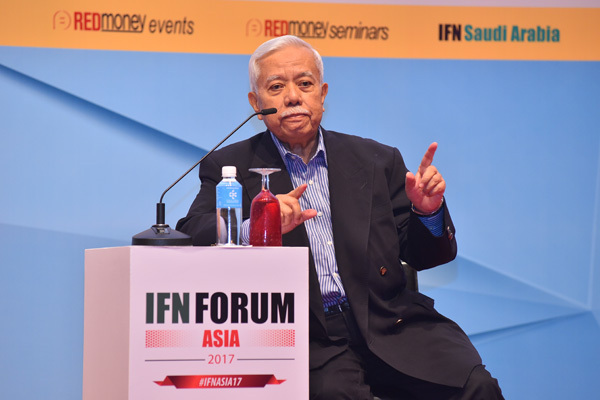 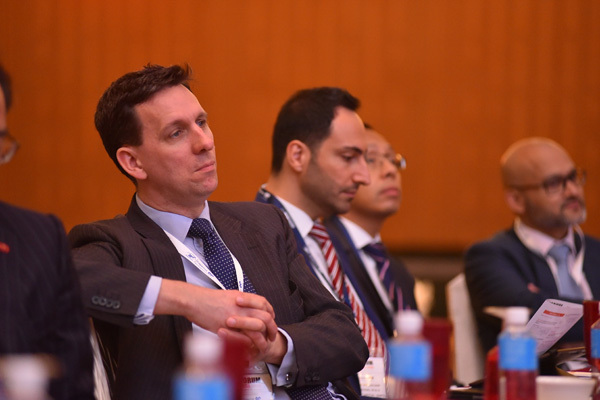 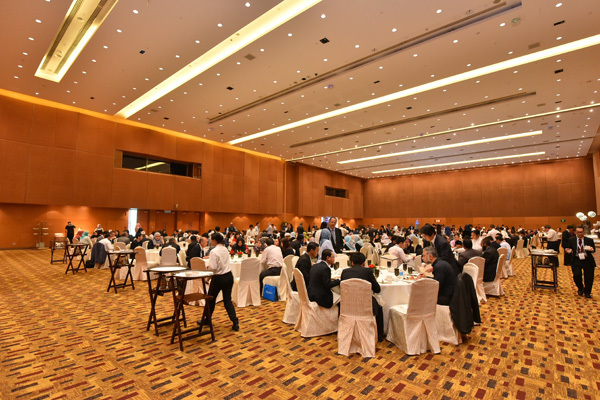 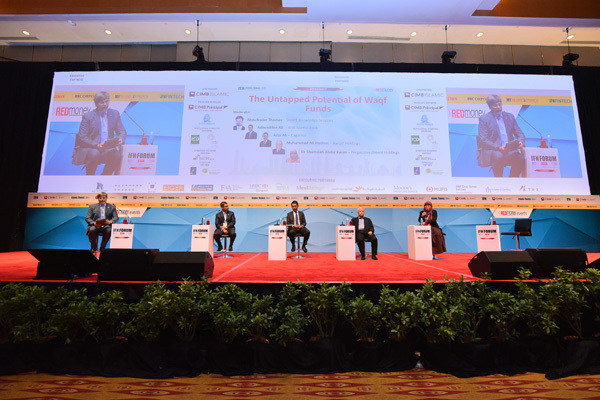 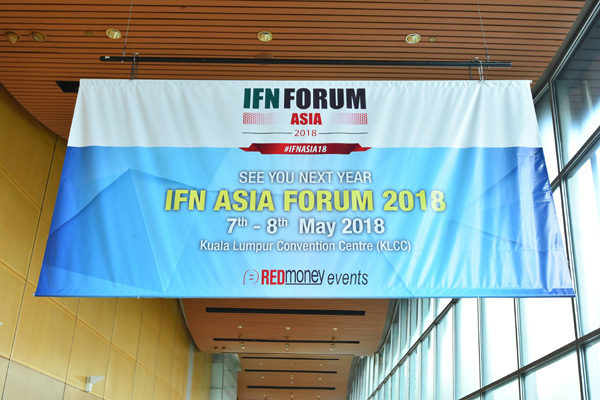 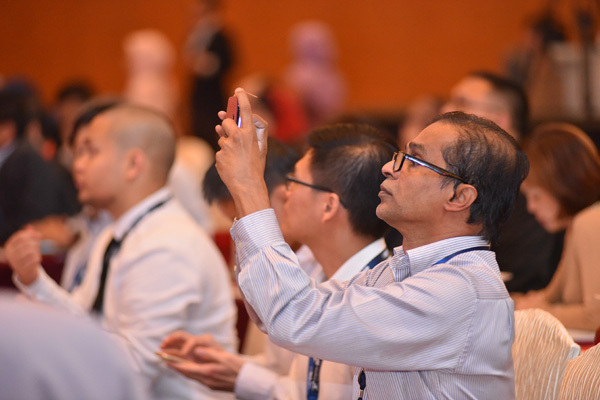 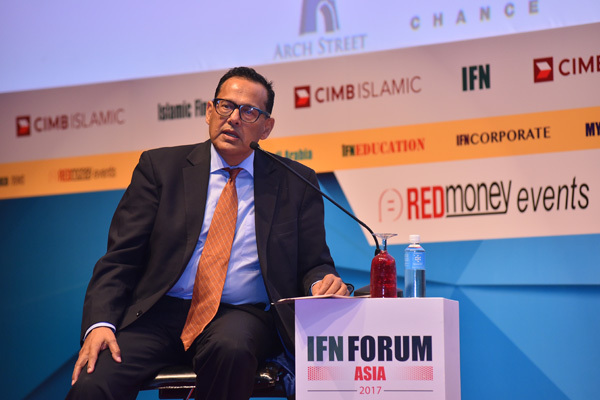 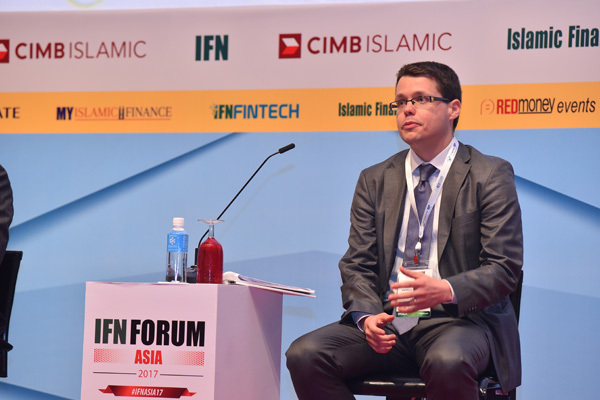 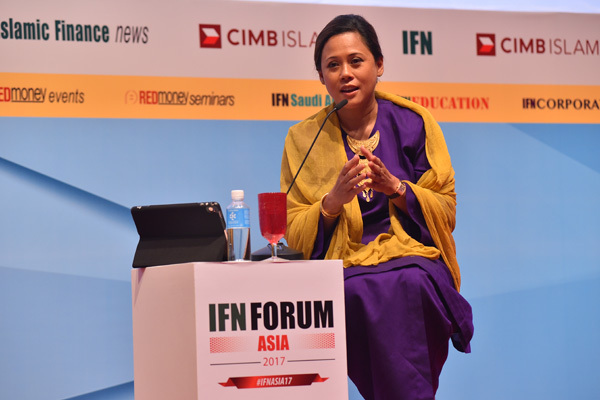 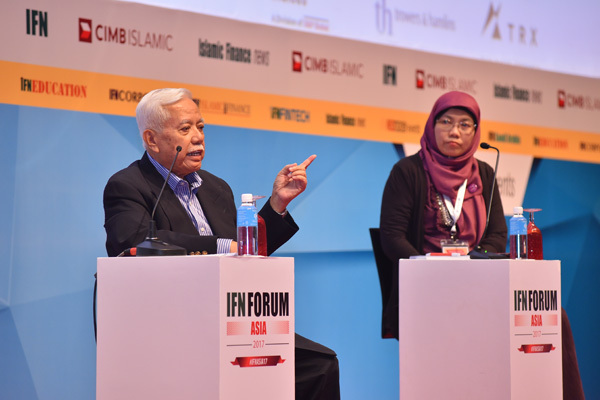 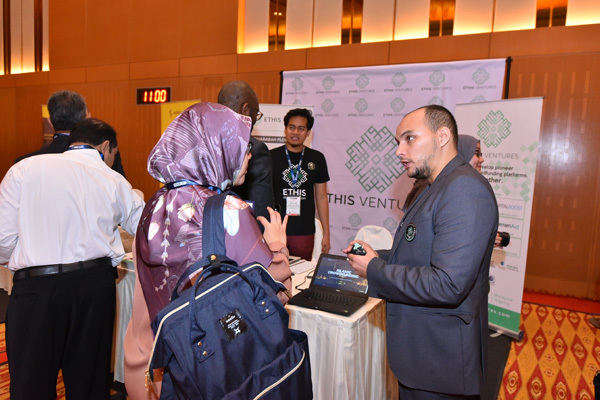 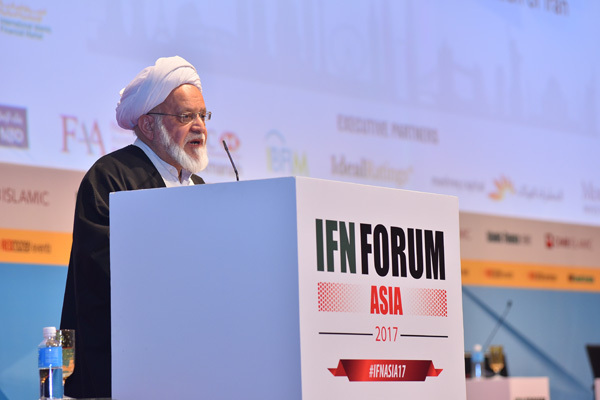 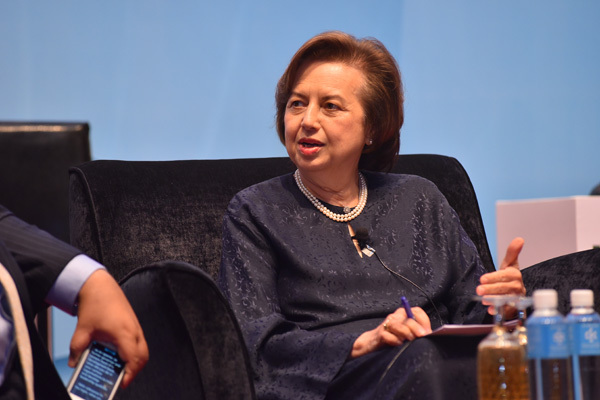 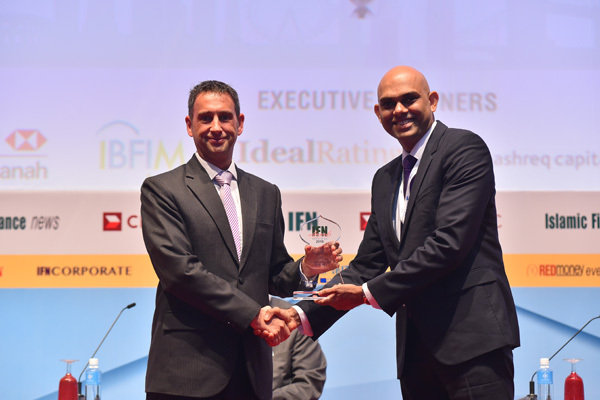 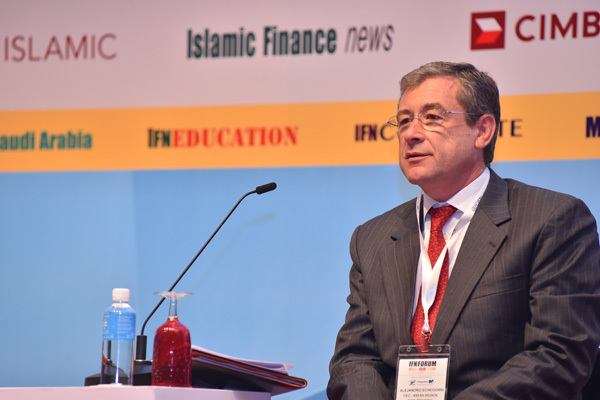 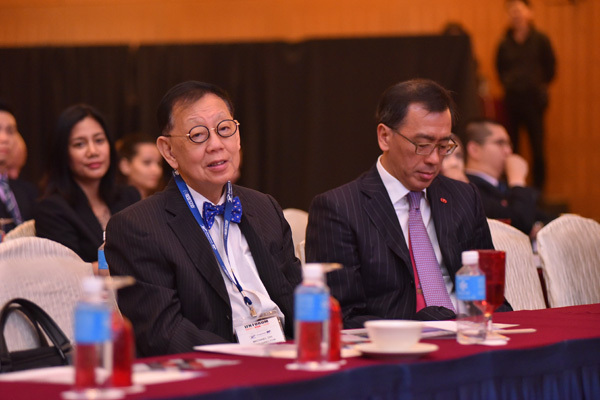 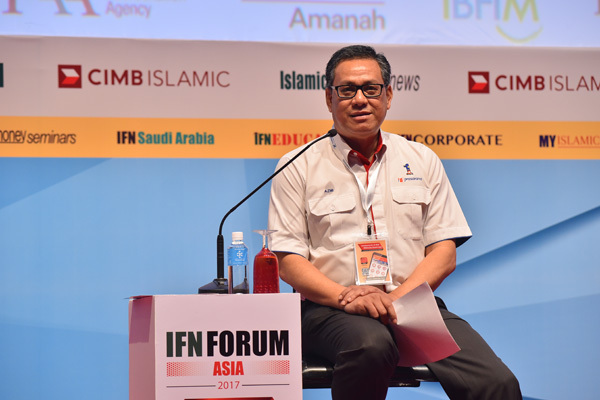 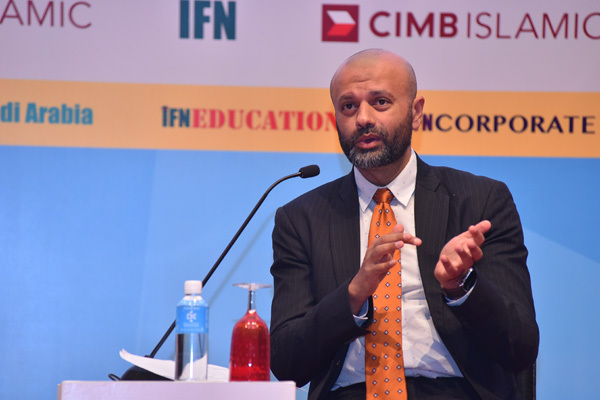 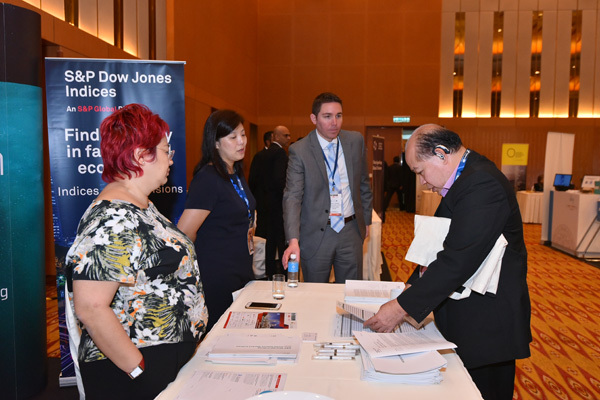 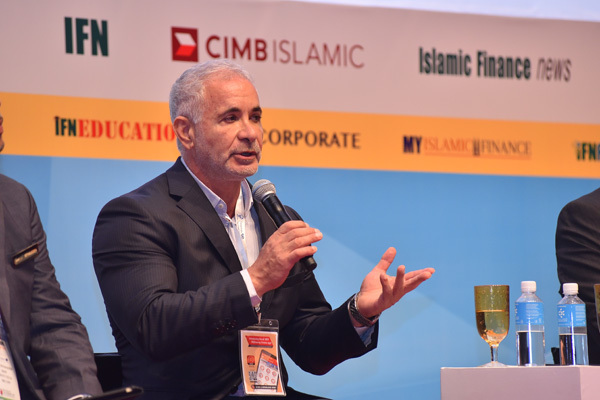 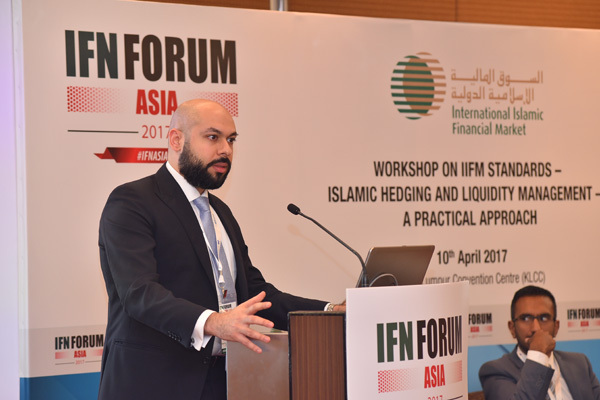 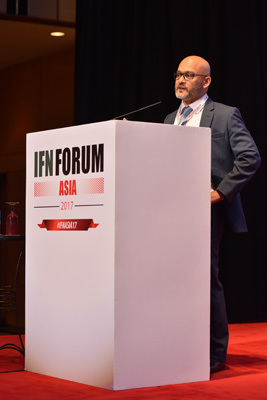 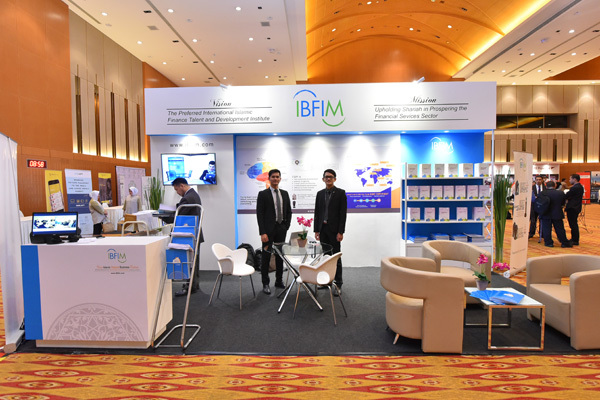 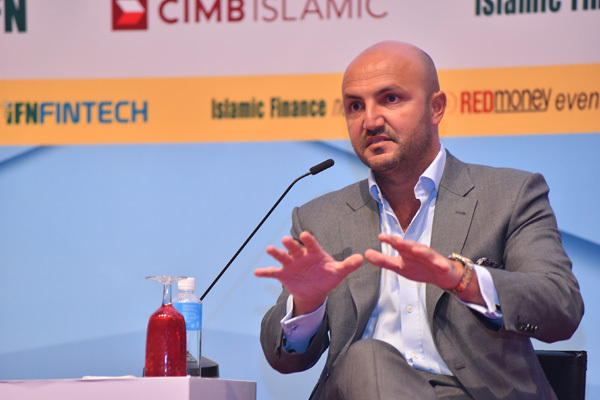 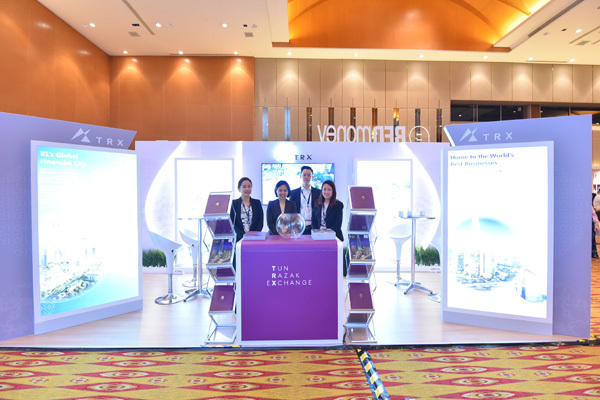 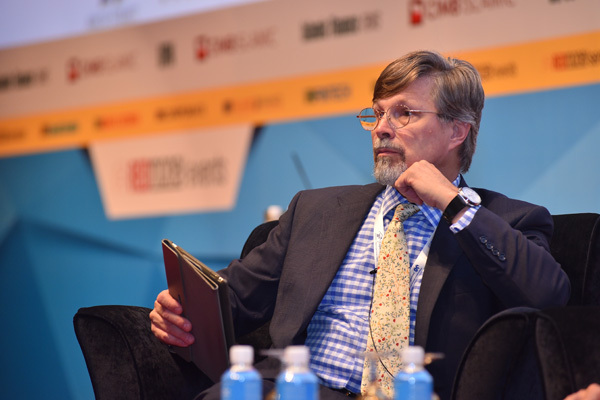 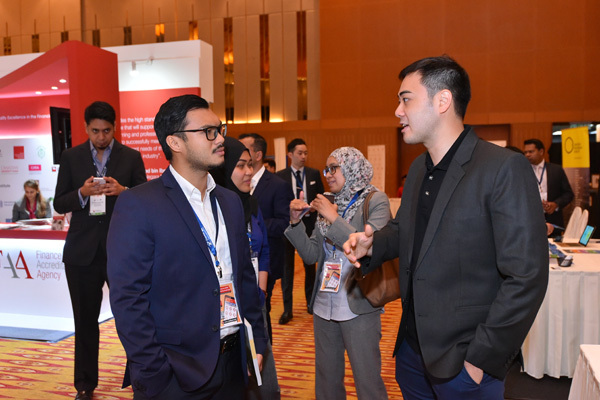 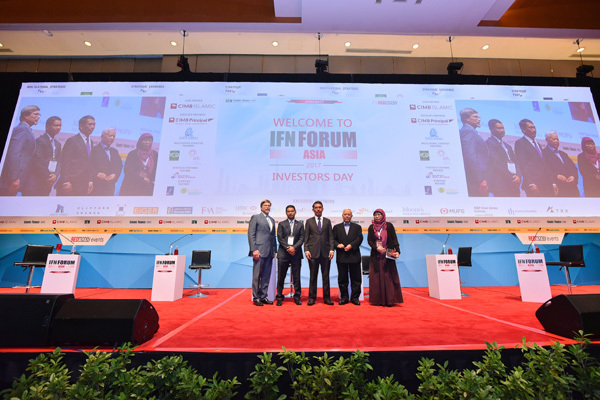 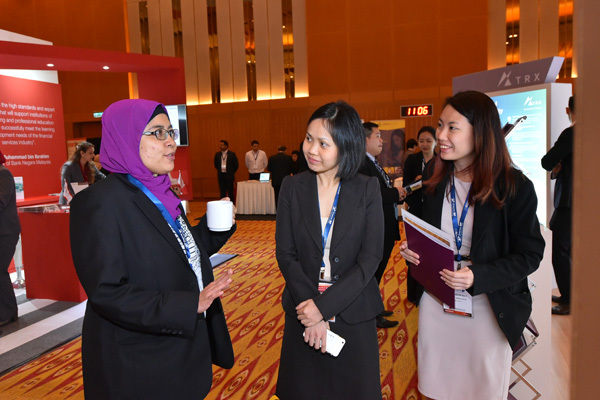 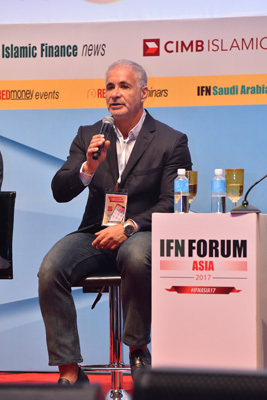 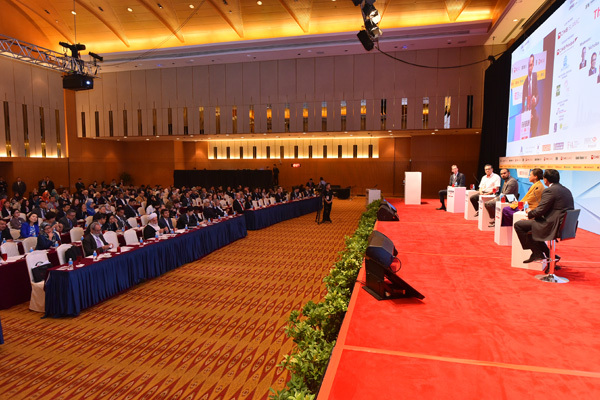 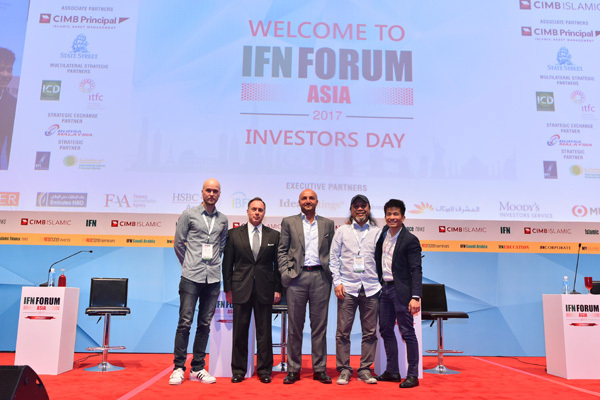 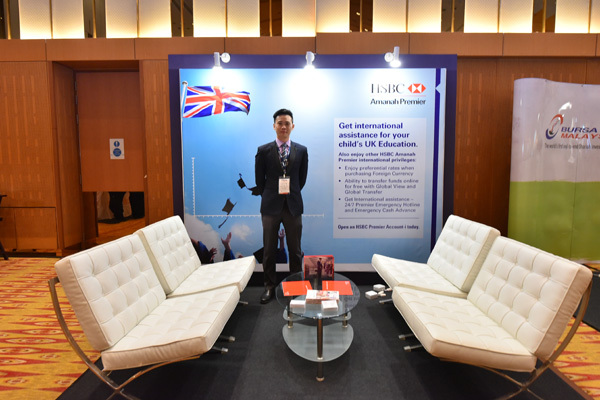 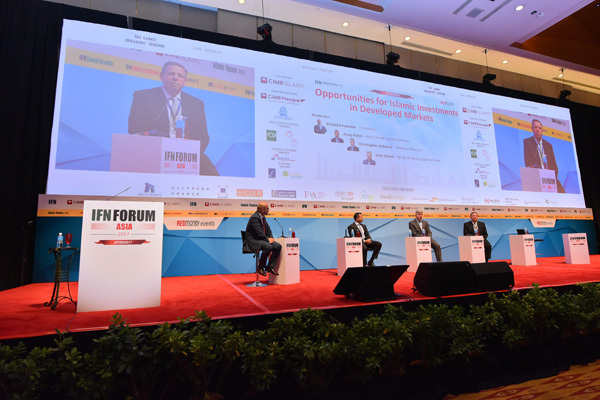 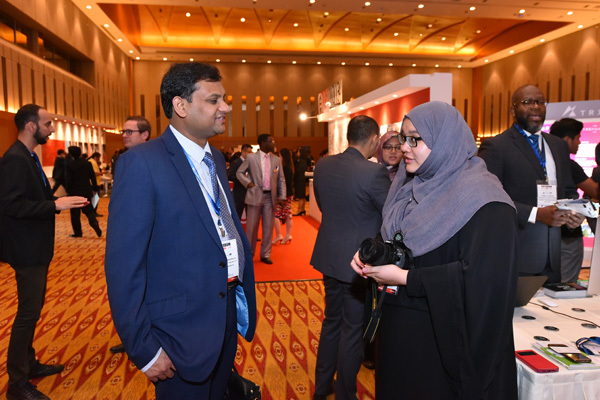 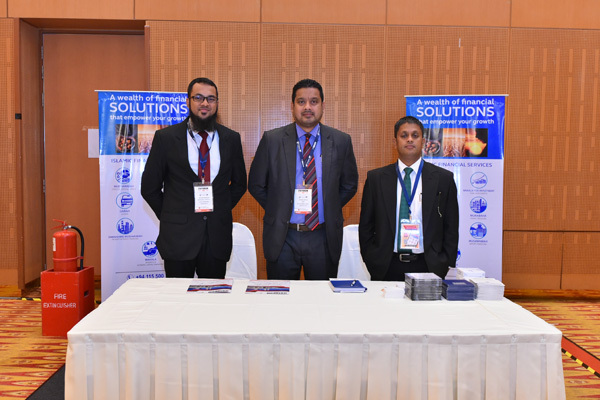 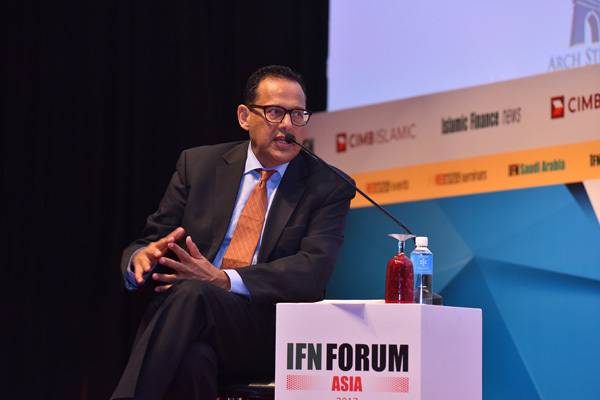 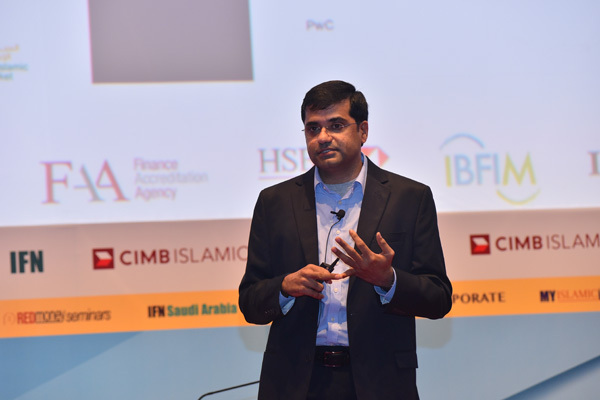 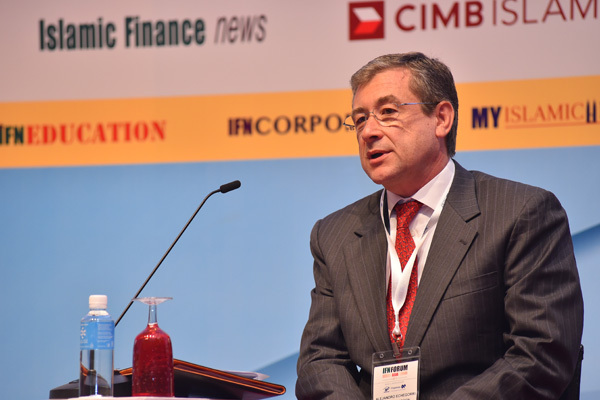 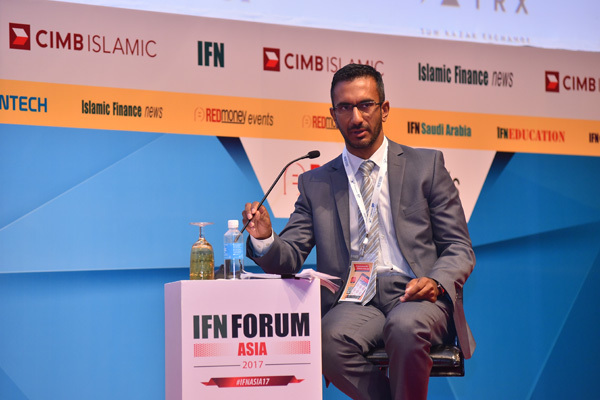 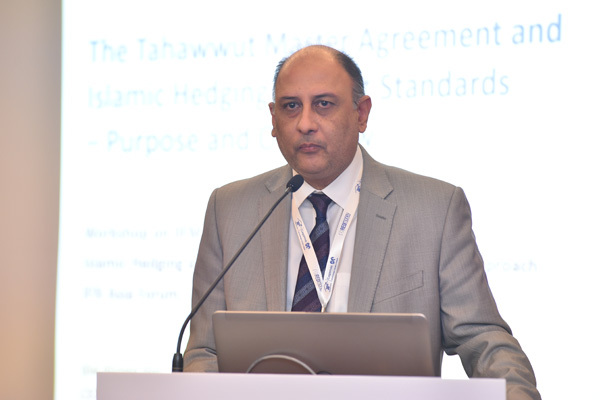 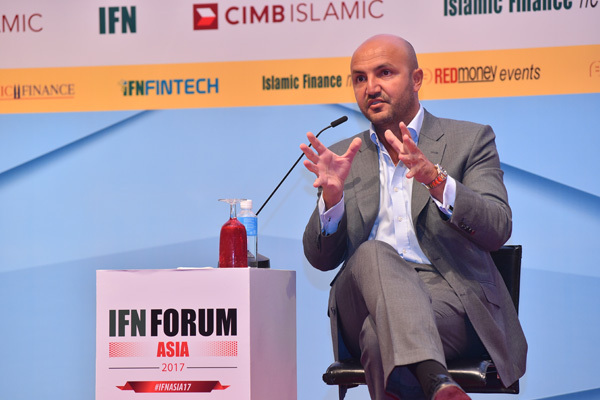 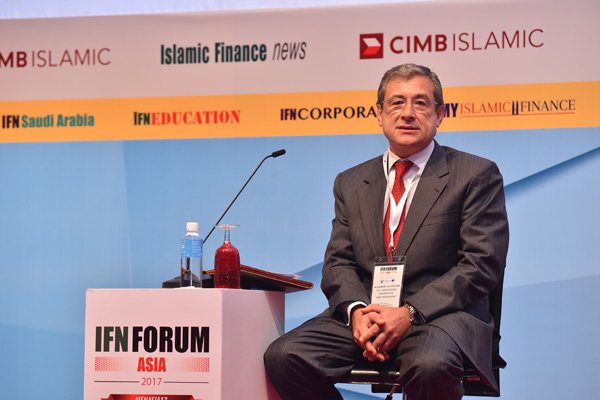 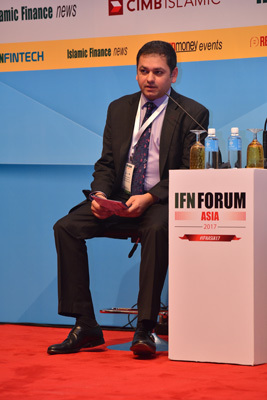 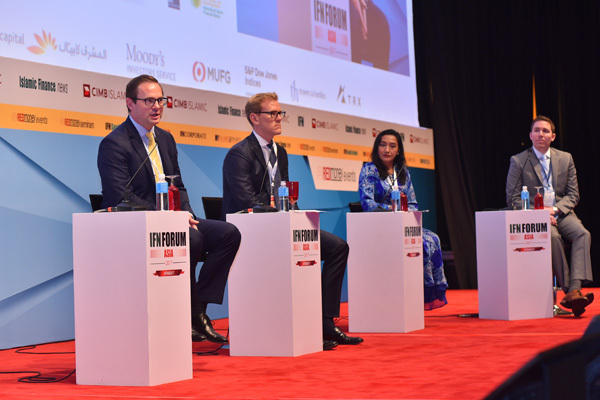 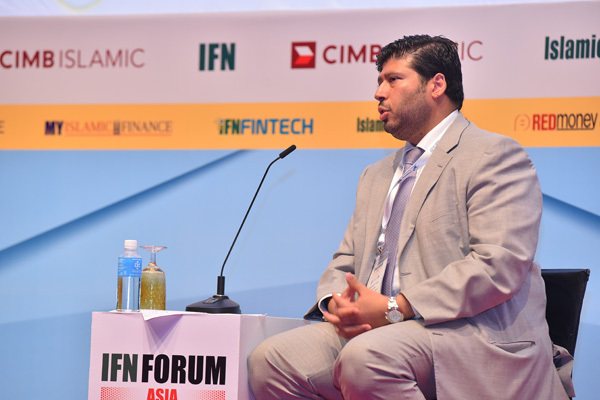 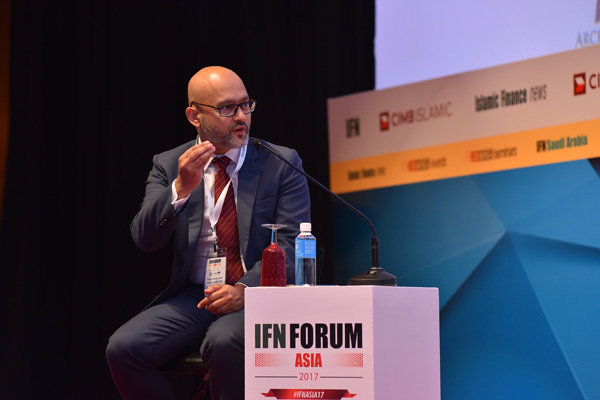 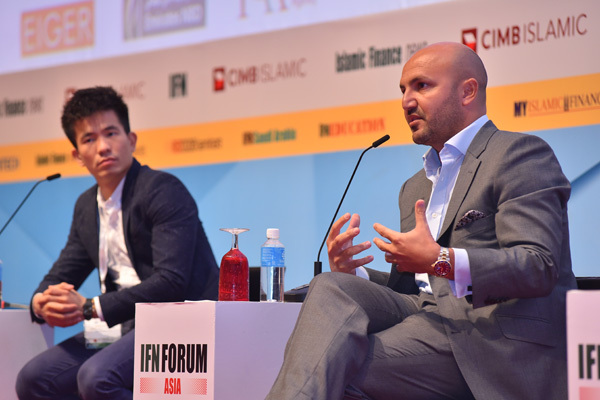 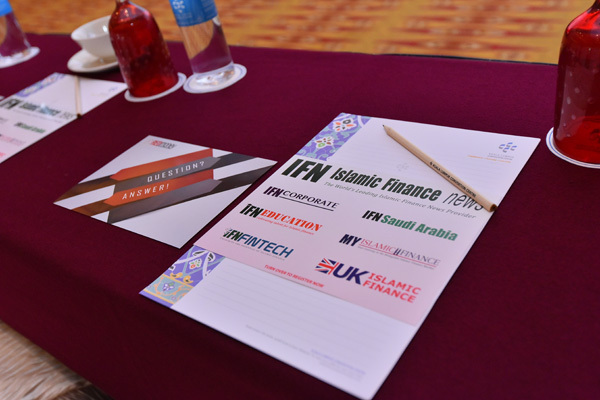 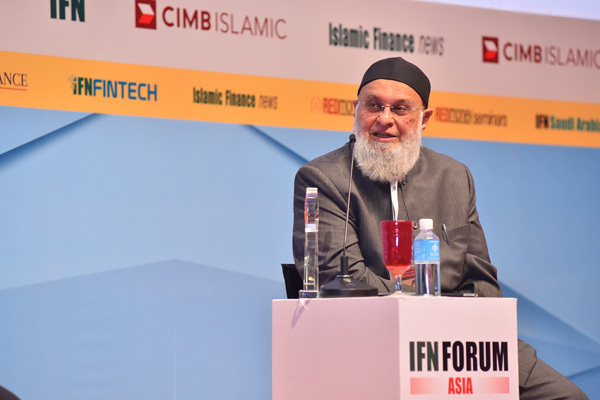 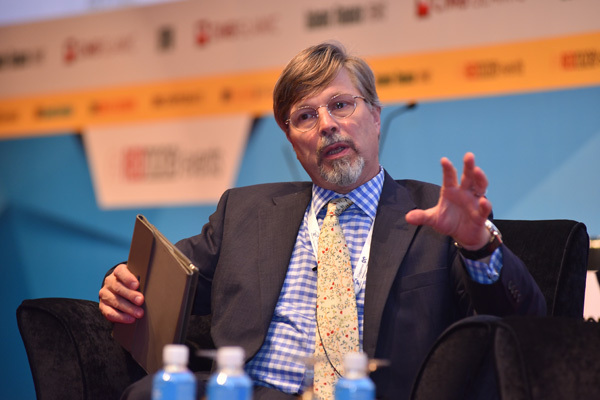 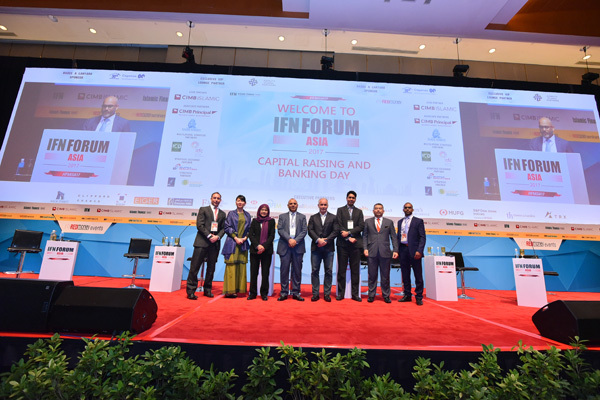 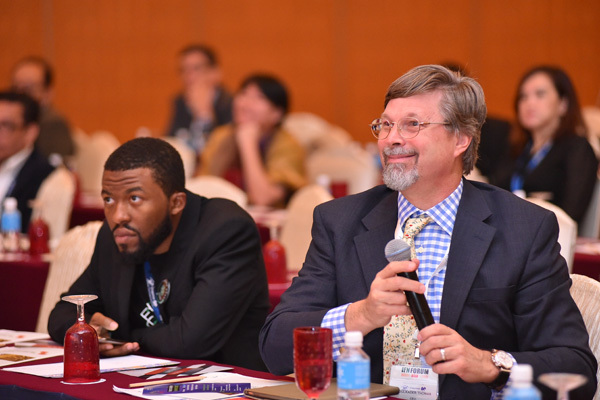 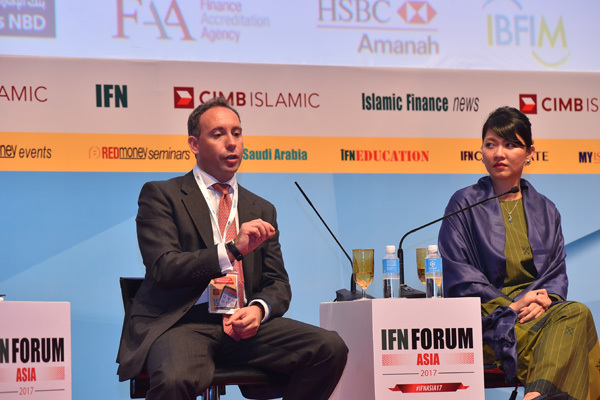 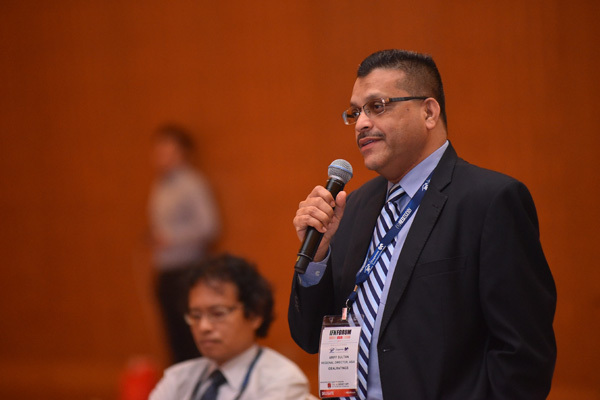 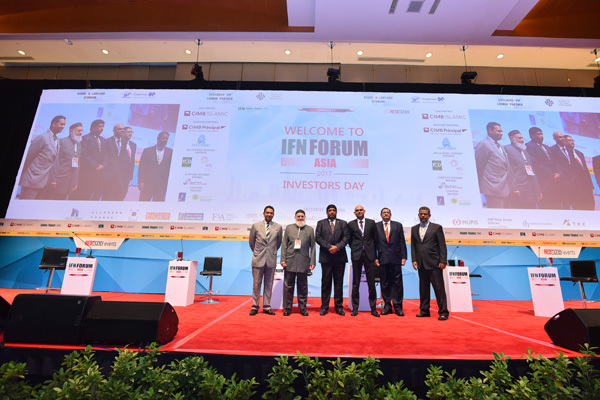 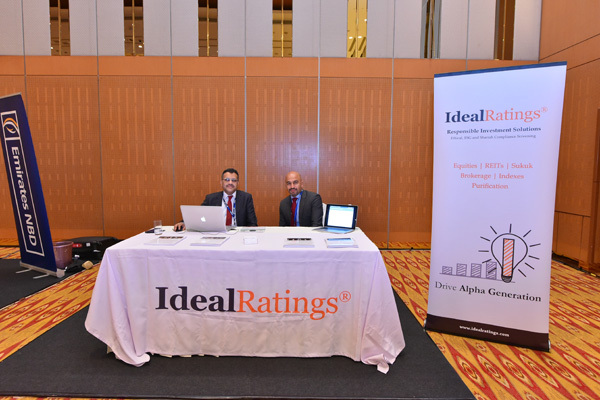 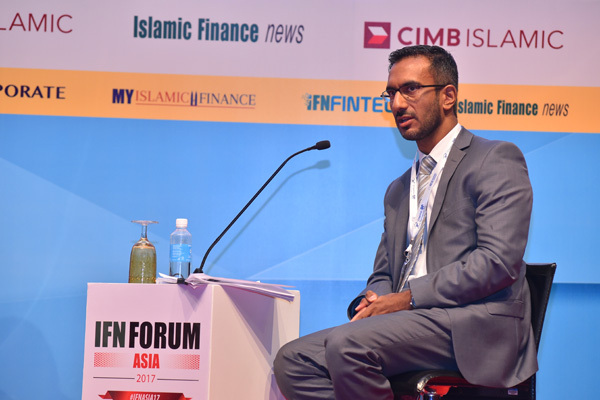 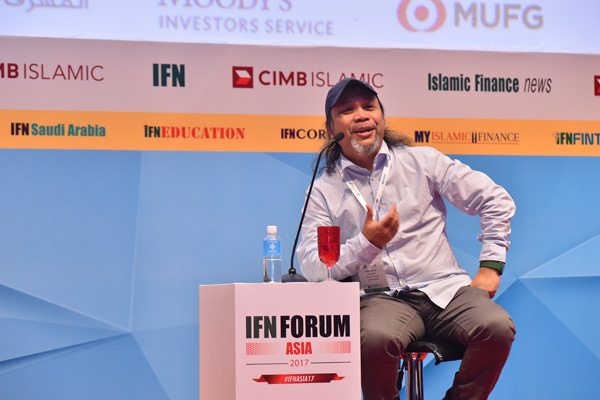 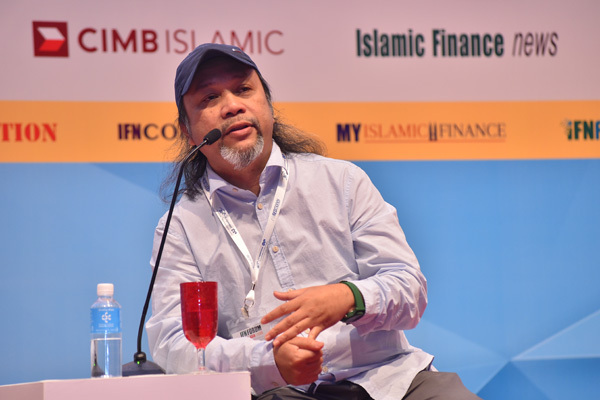 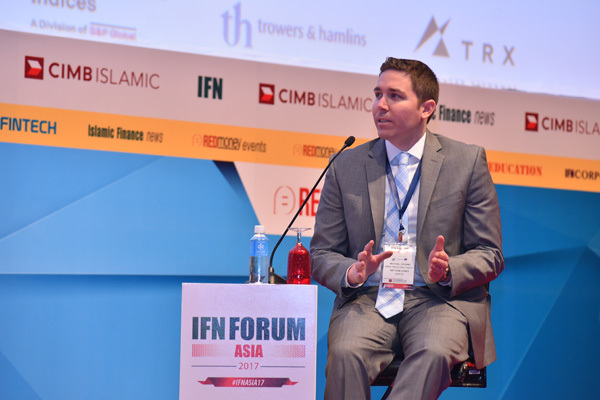 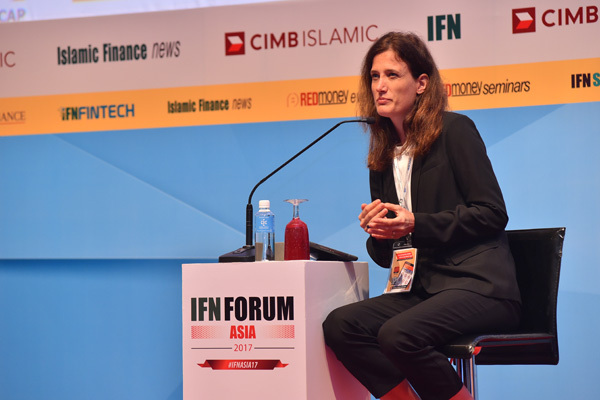 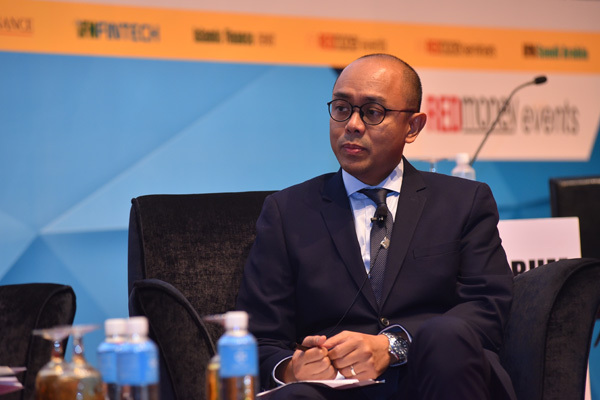 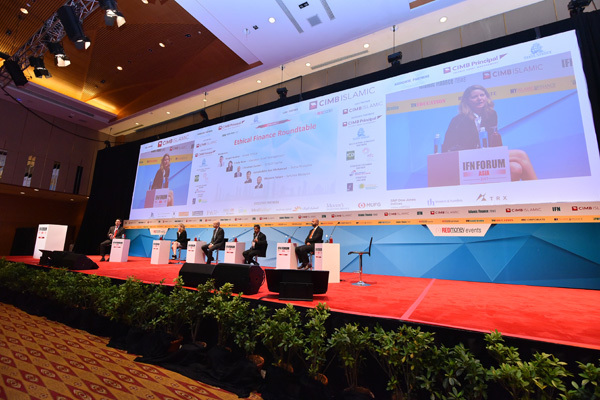 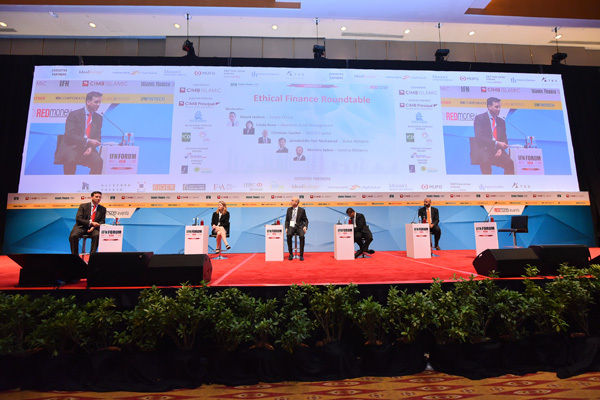 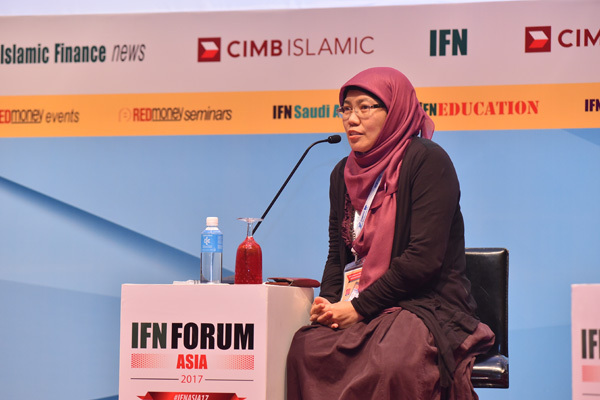 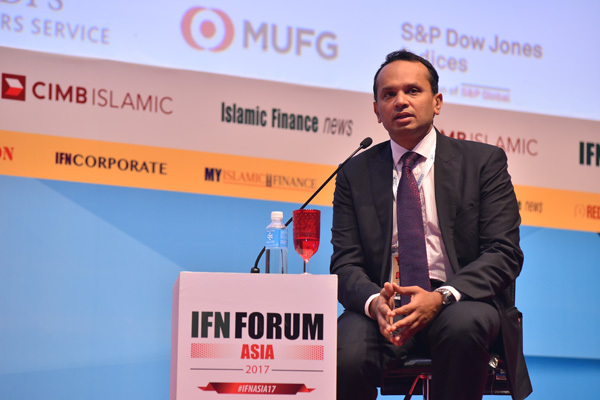 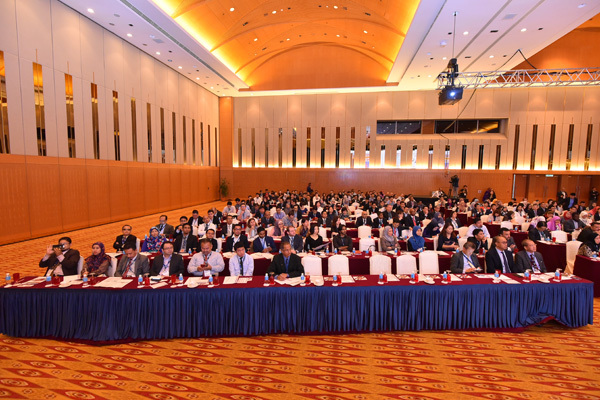 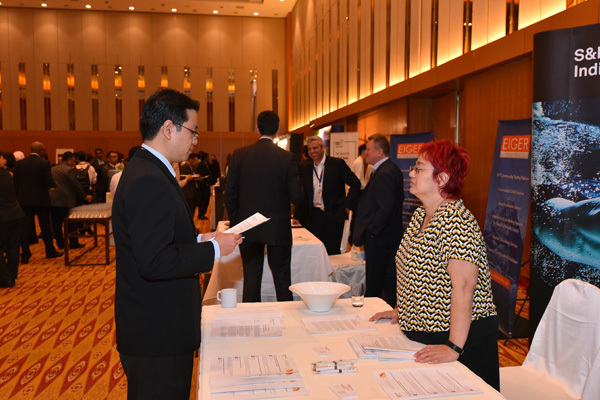 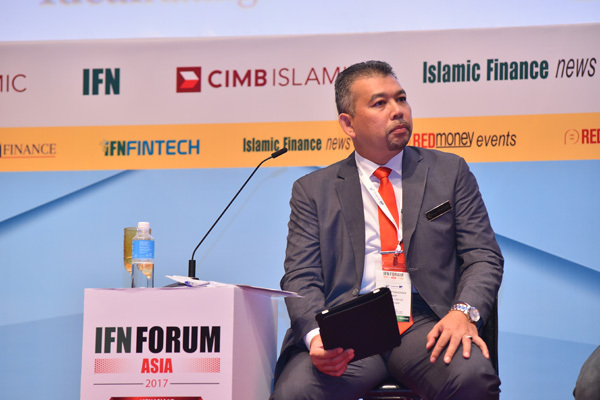 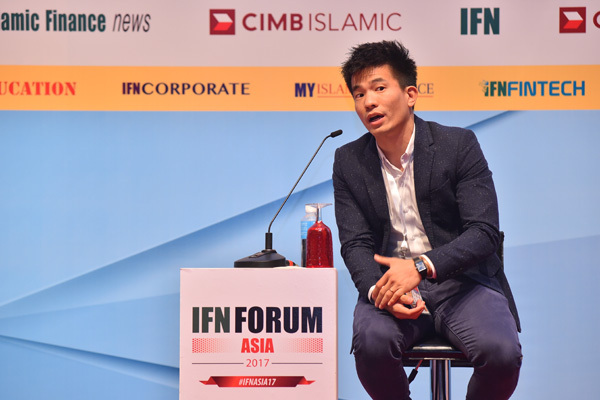 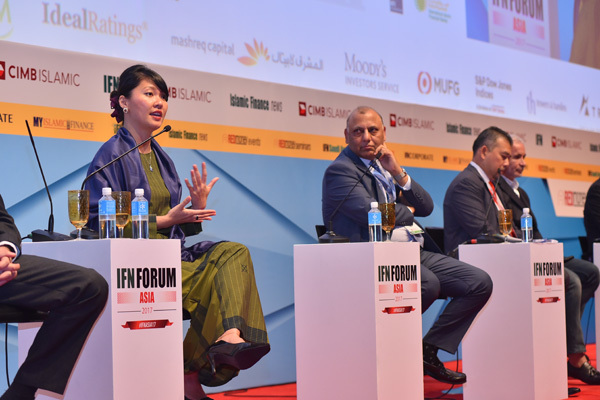 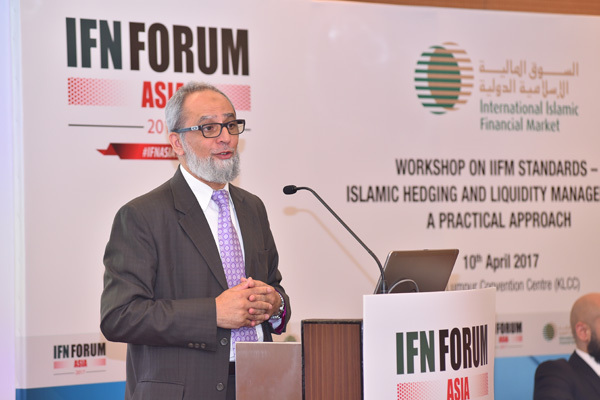 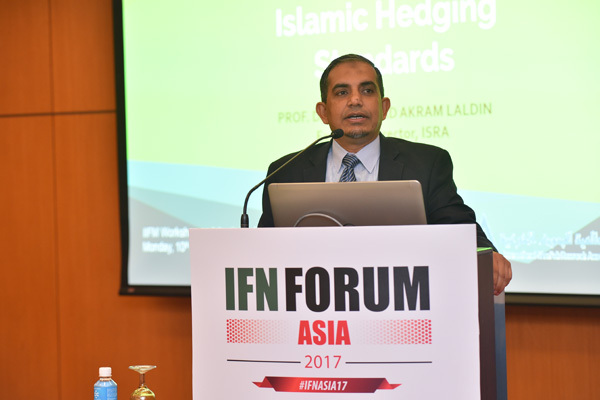 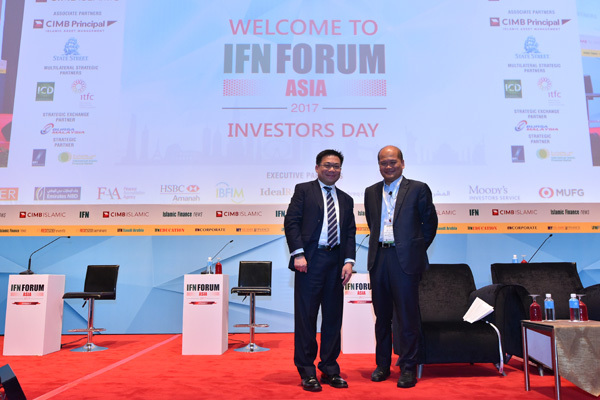 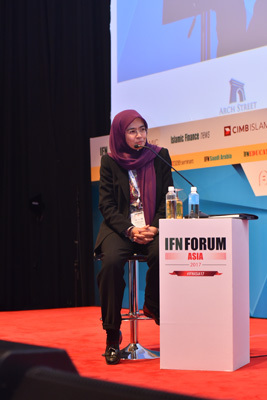 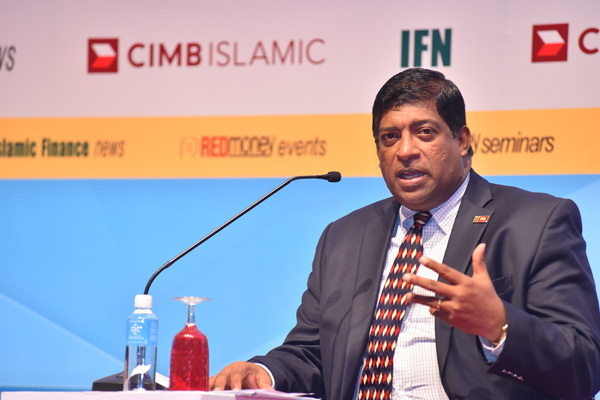 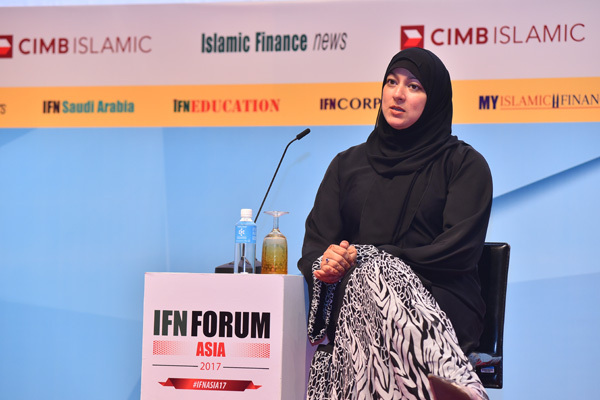 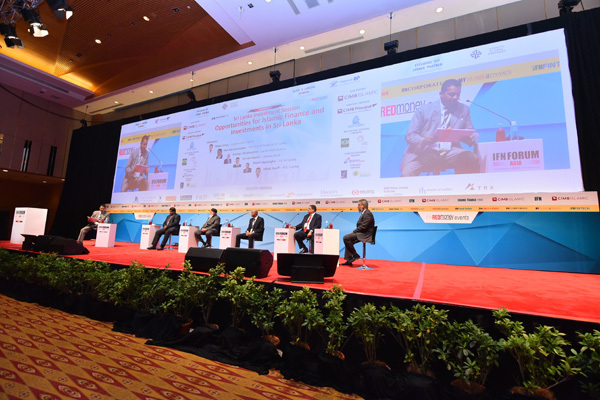 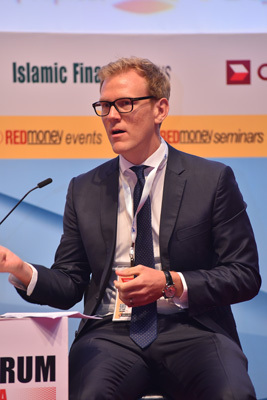 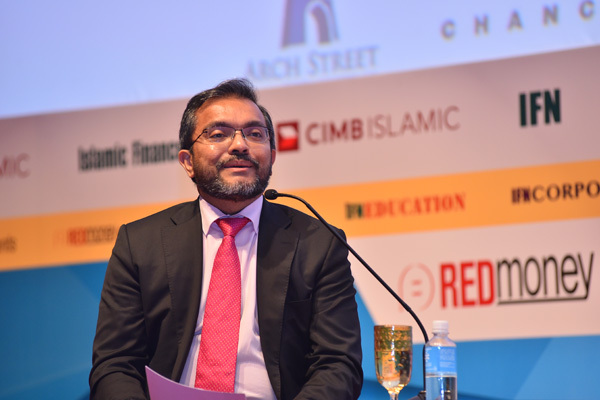 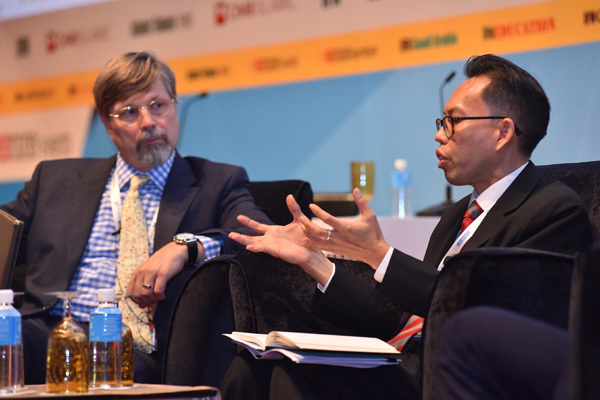 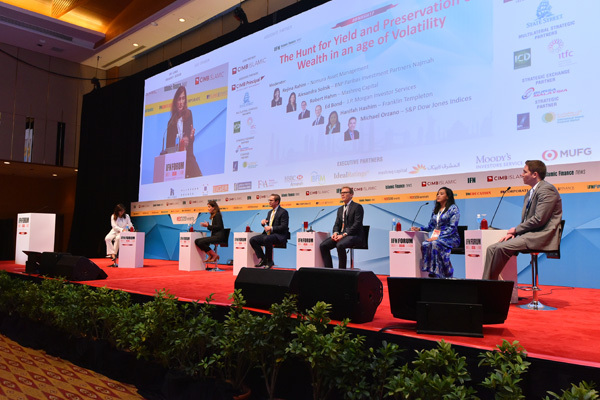 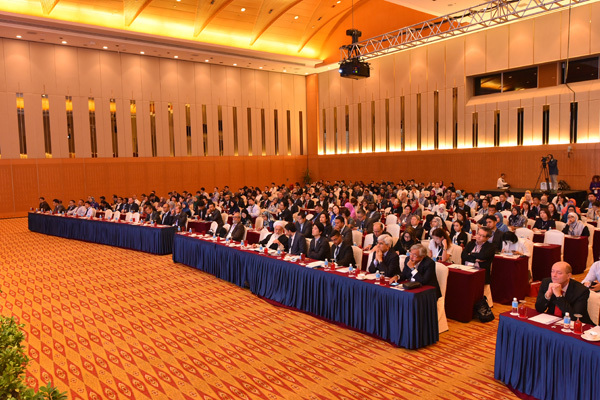 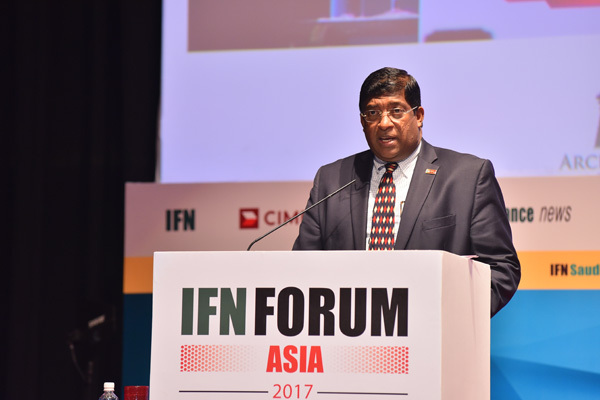 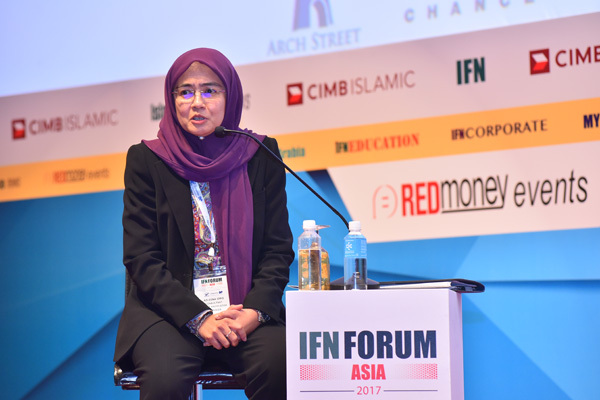 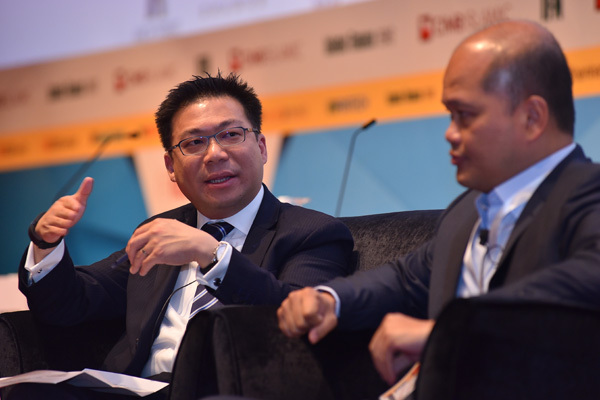 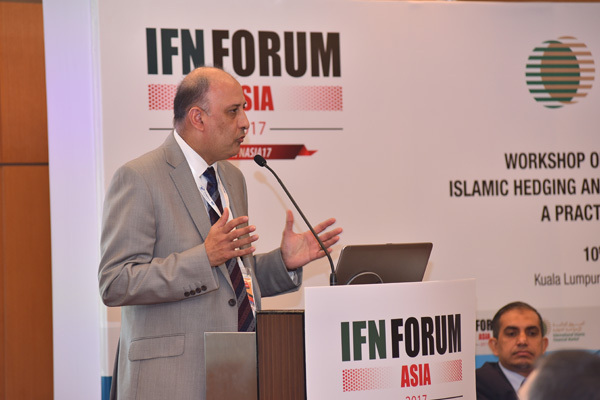 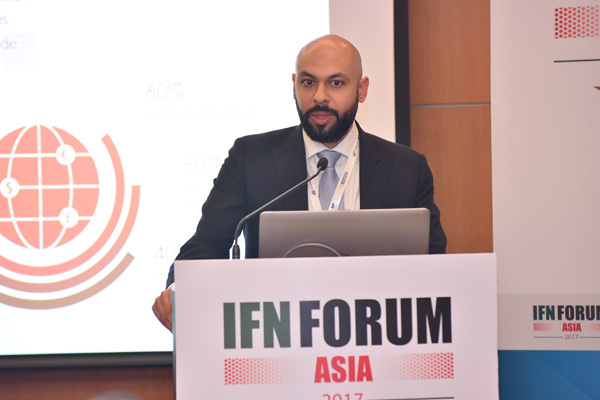 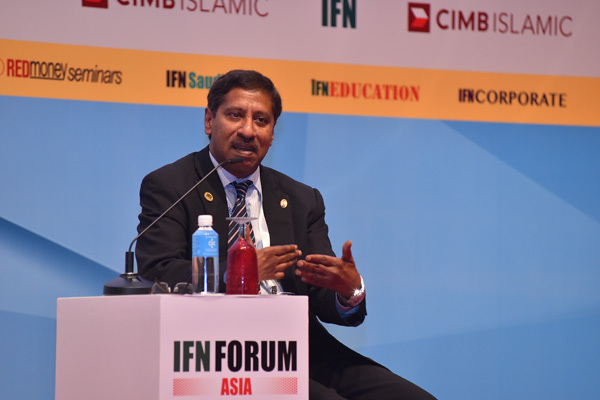 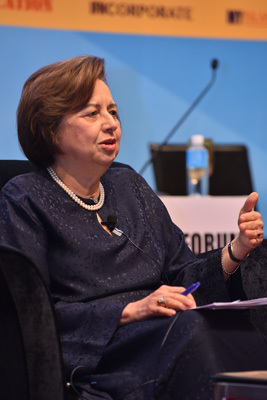 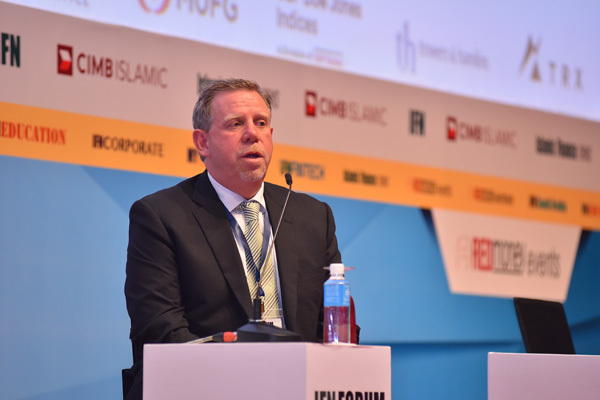 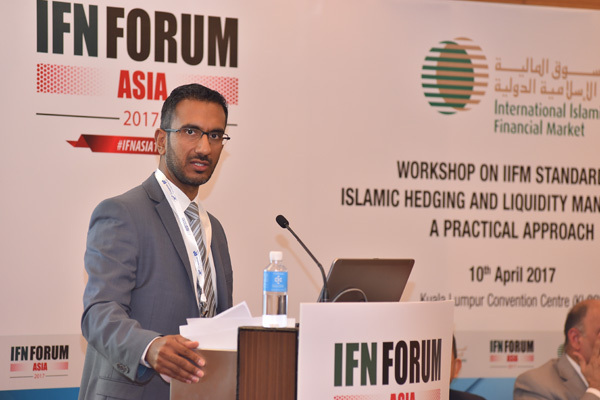 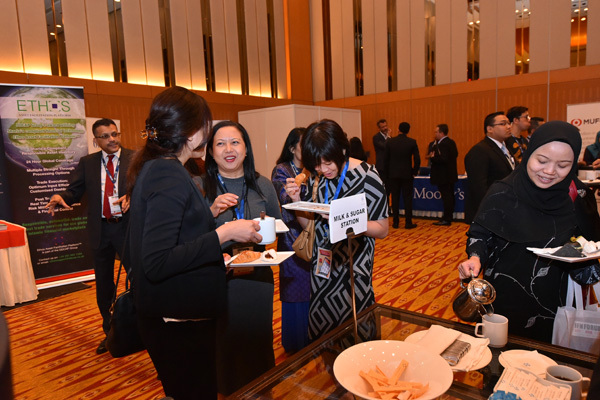 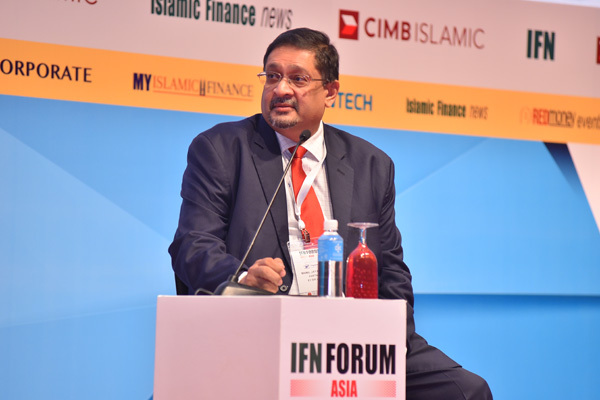 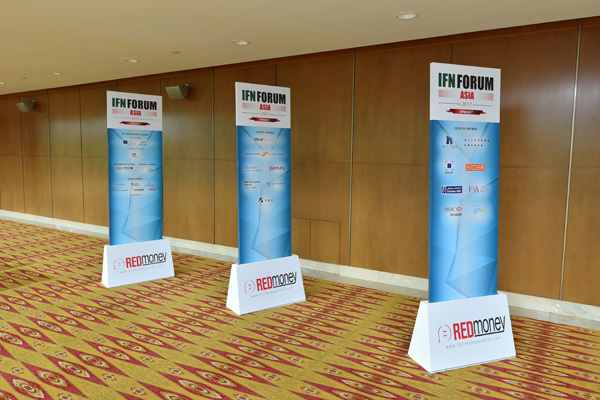 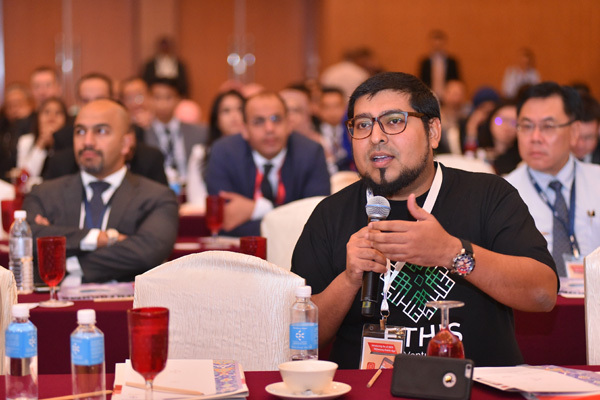 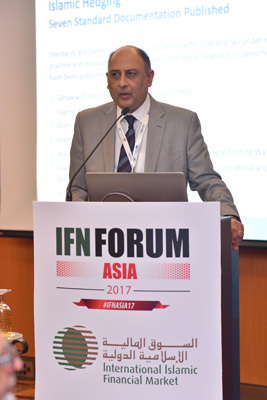 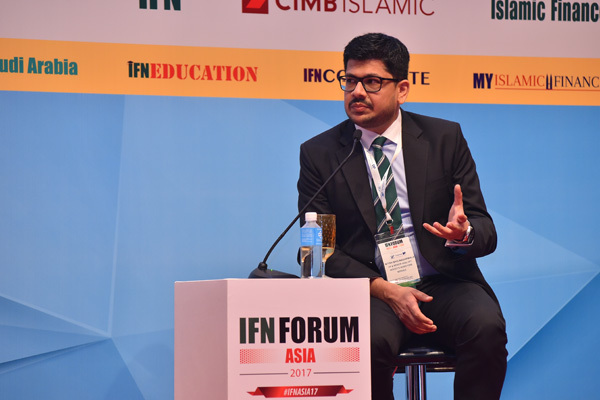 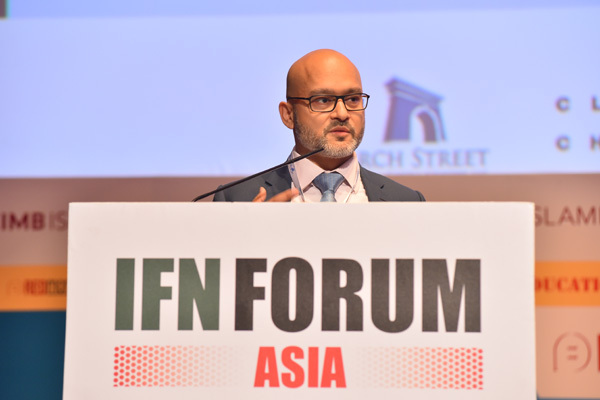 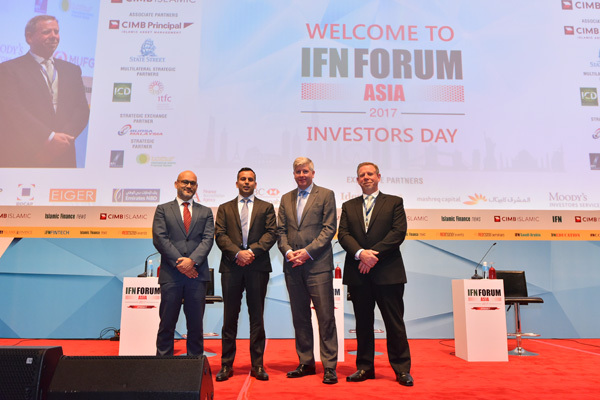 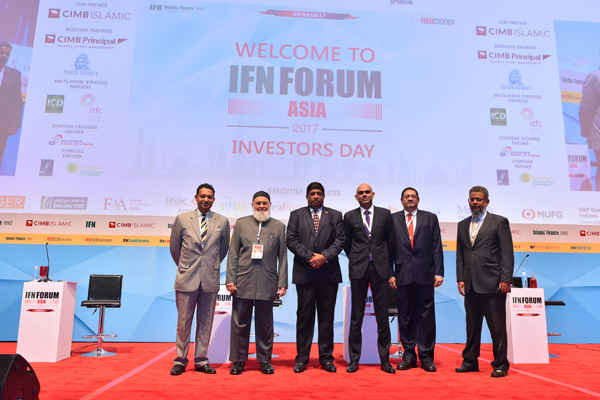 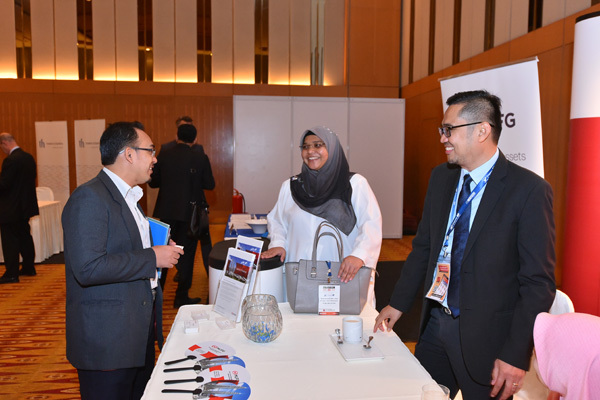 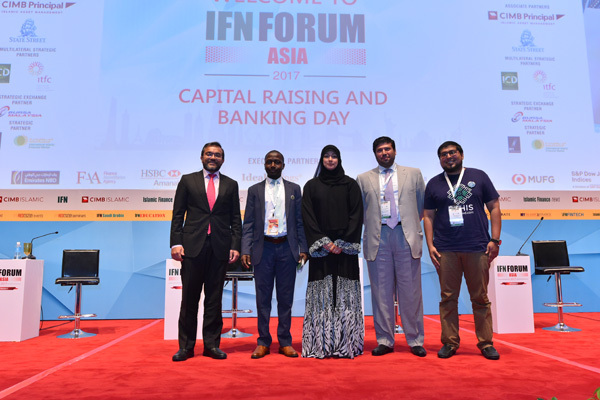 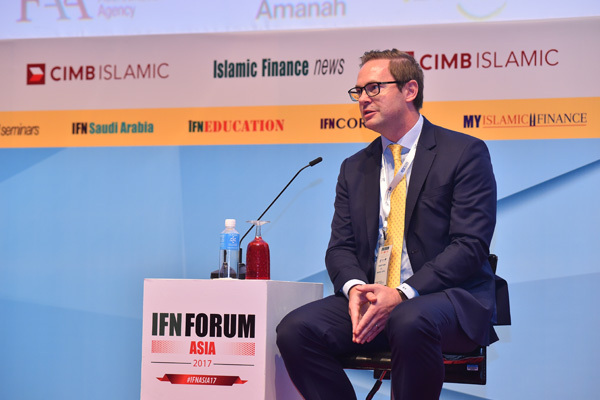 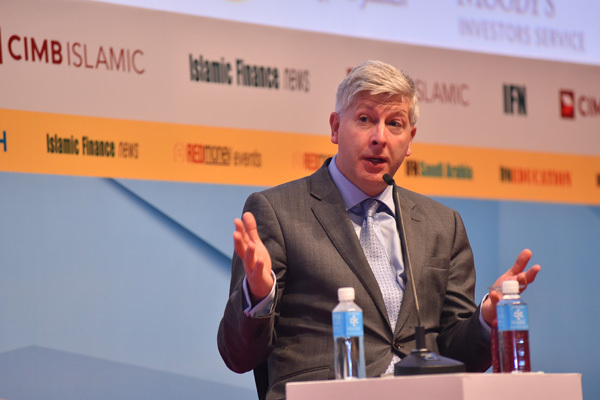 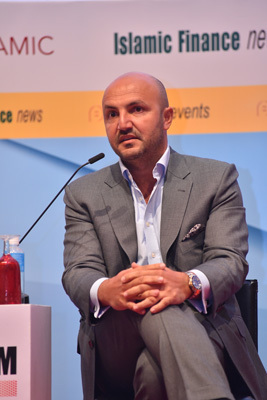 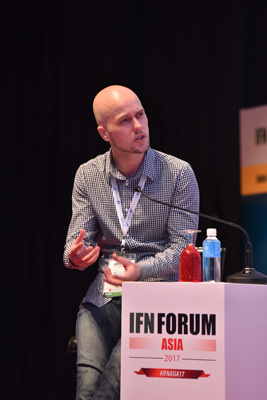 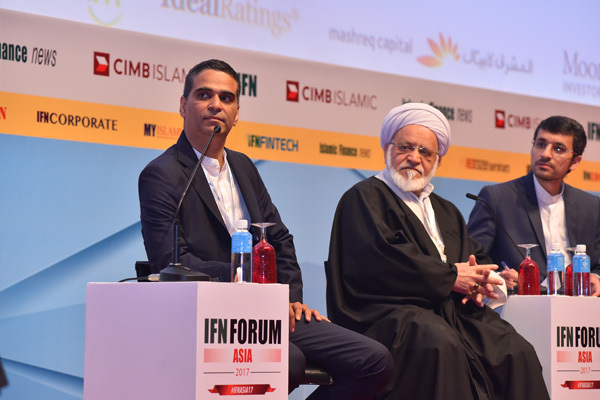 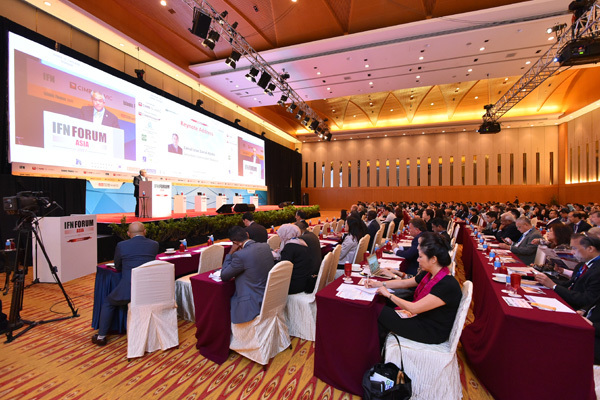 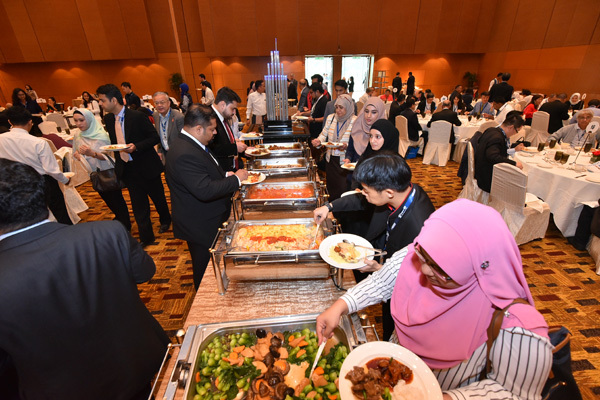 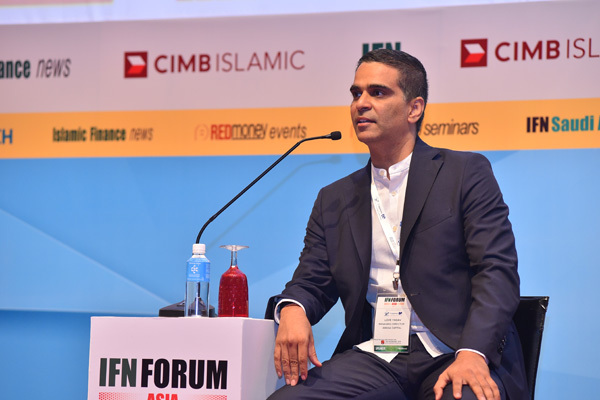 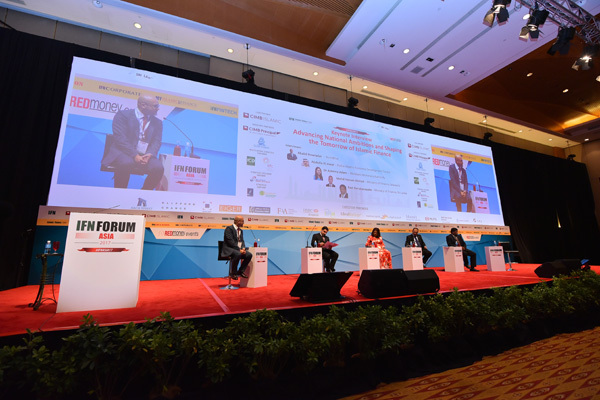 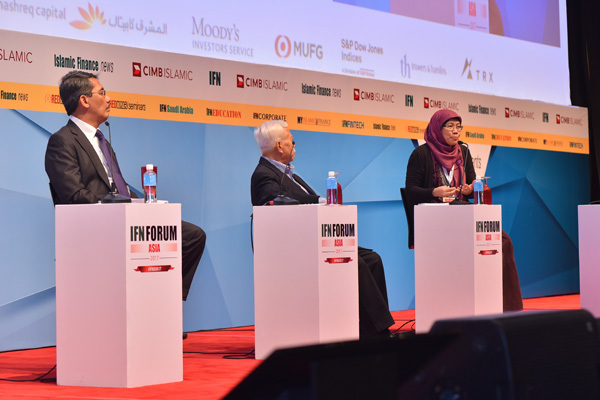 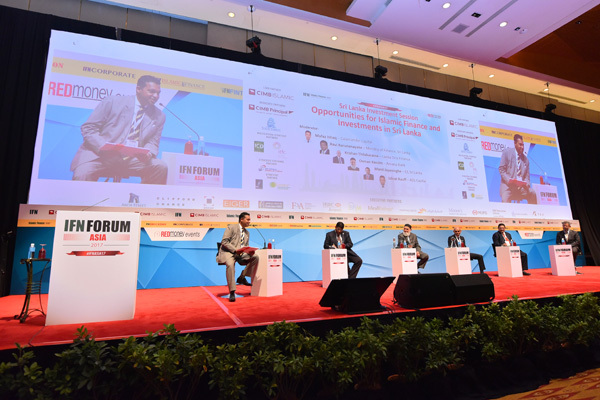 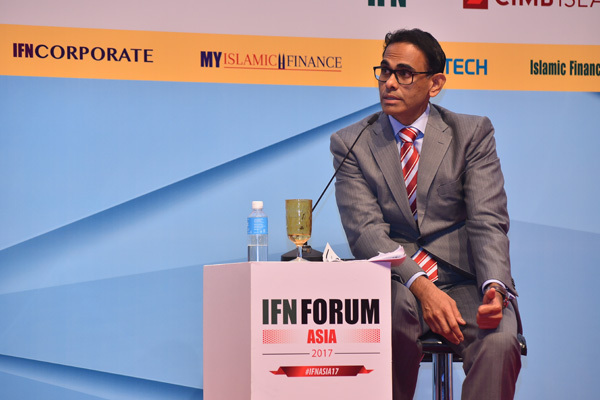 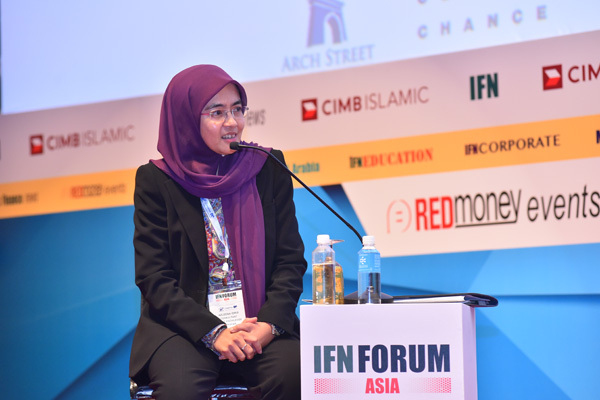 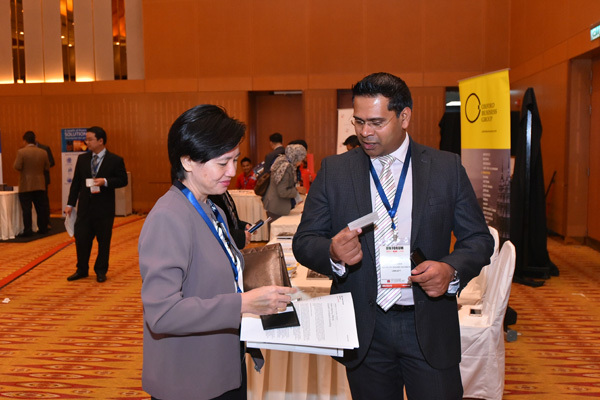 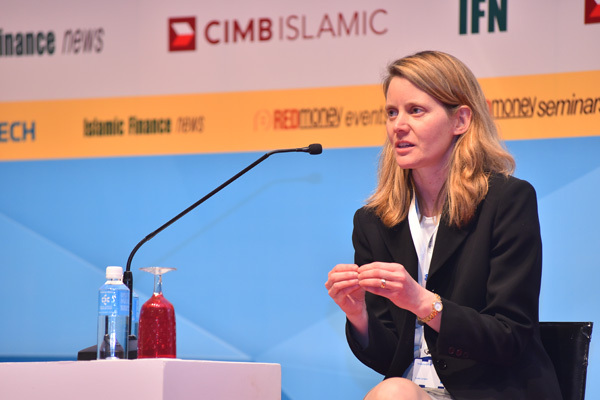 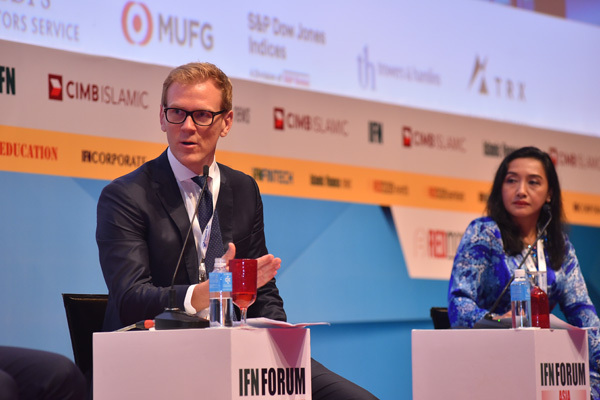 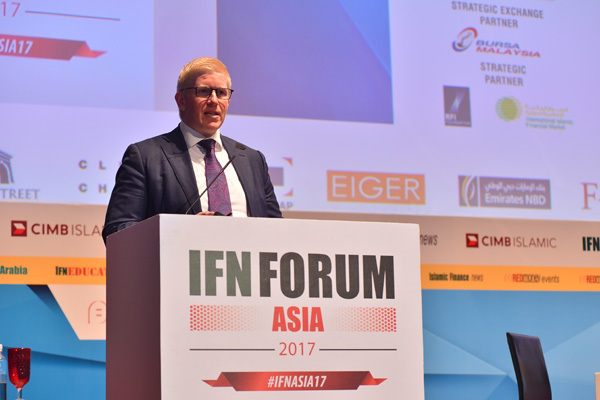 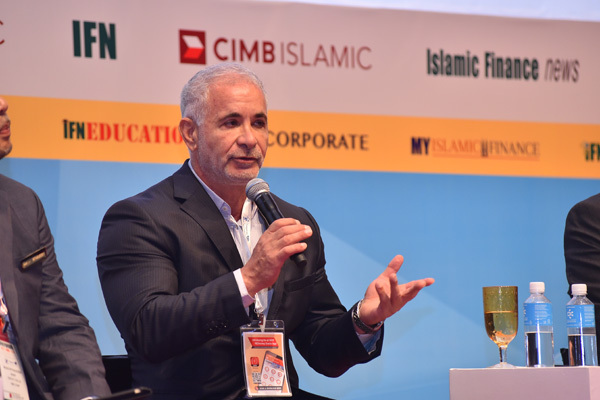 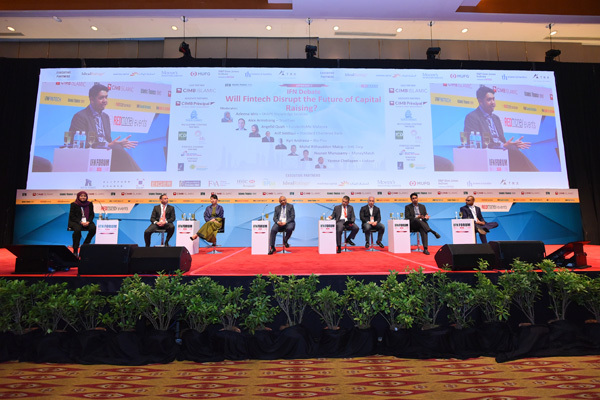 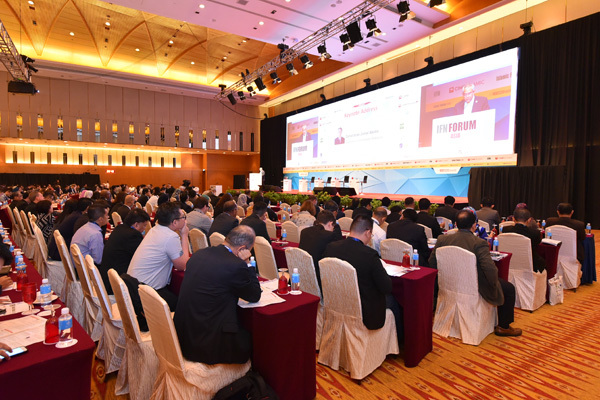 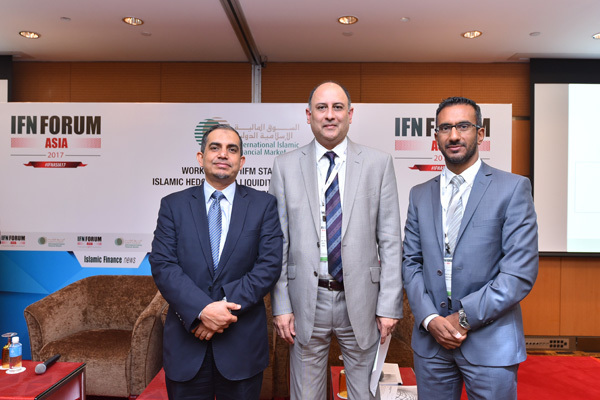 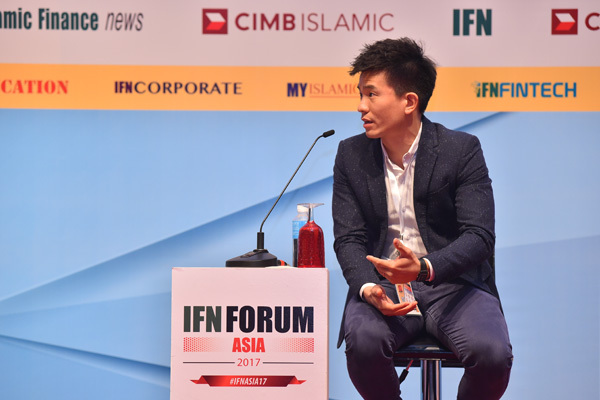 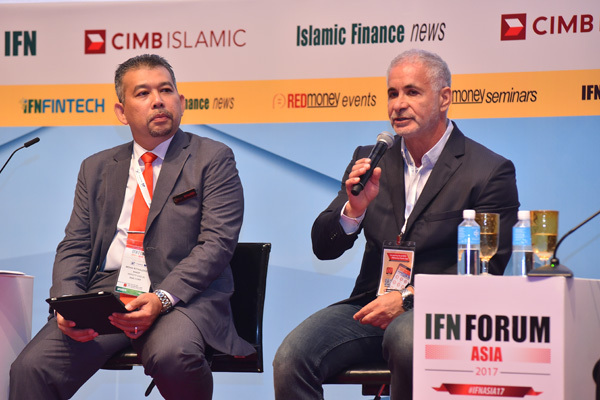 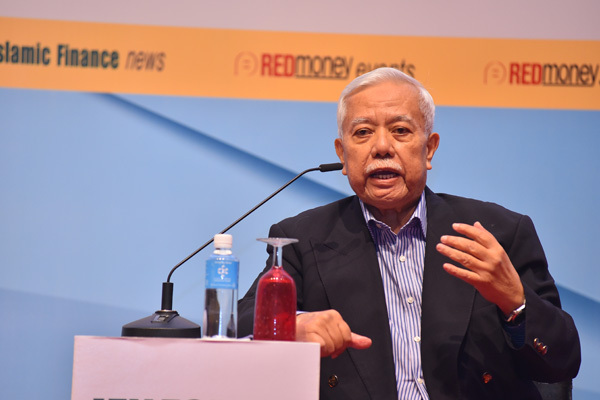 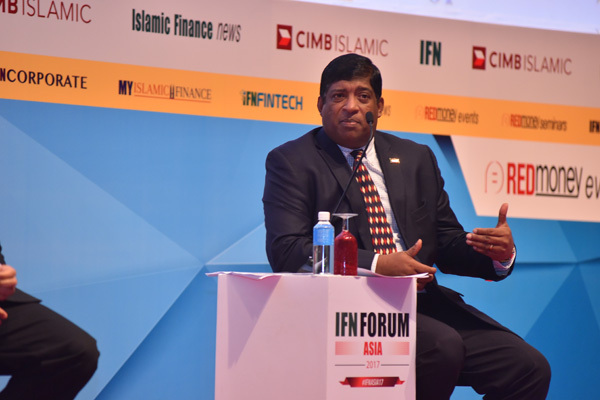 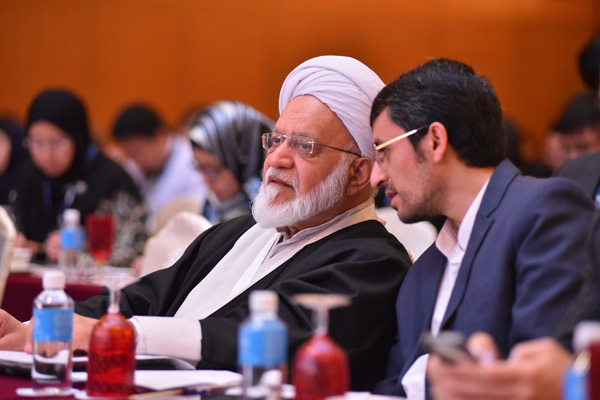 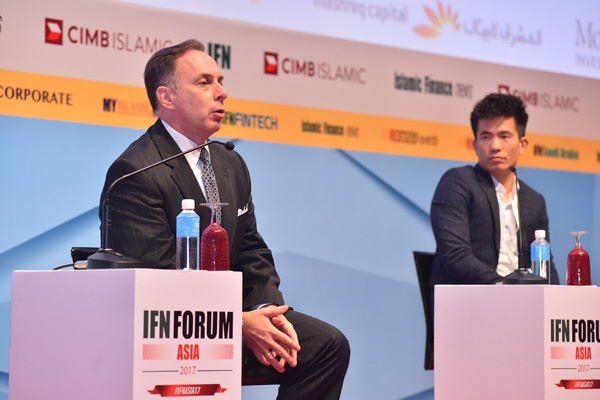 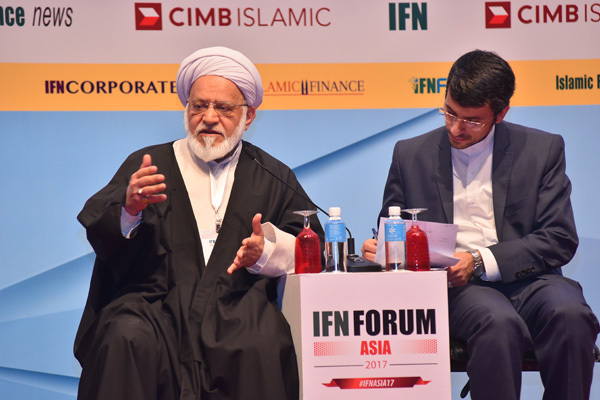 Going into its 12th year, IFN Asia Forum will bring together industry experts and investors from across the world to convene at REDmoney Group's flagship event that focuses on the world's largest and most active Islamic financial market. 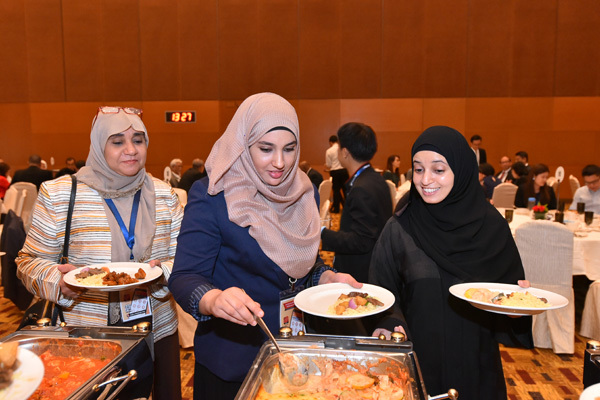 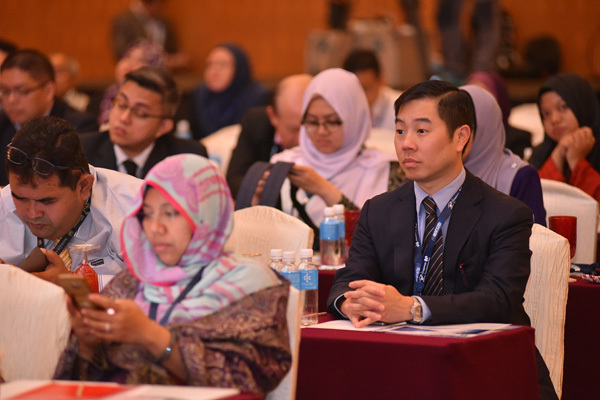 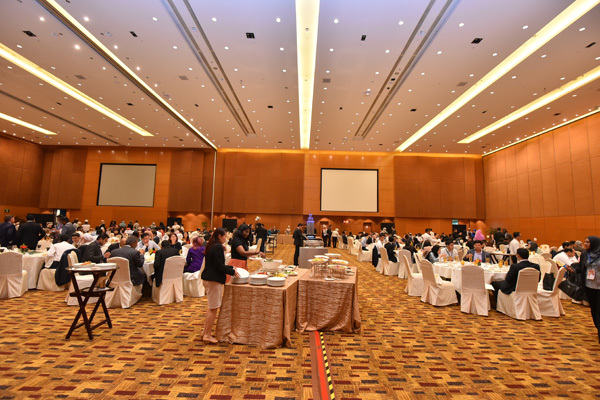 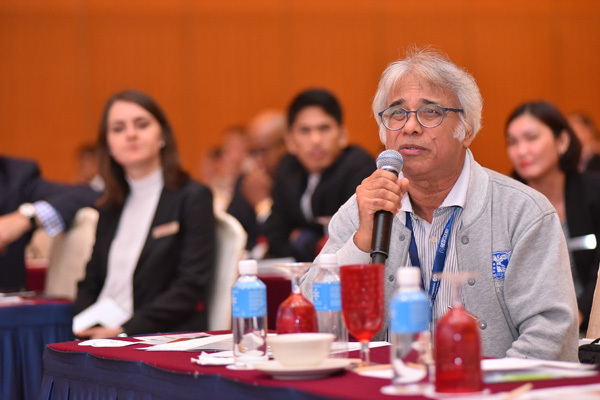 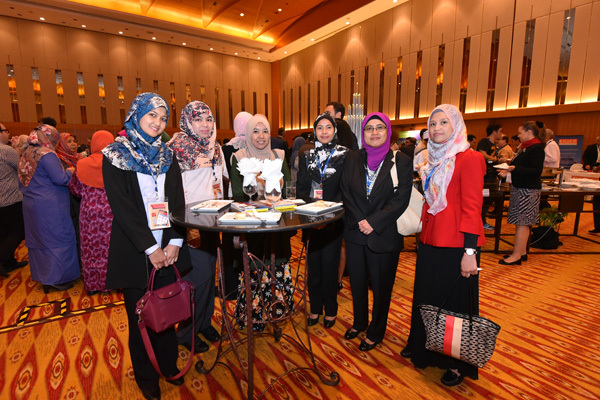 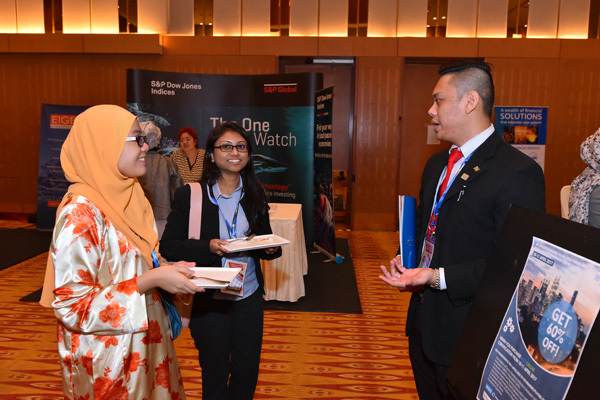 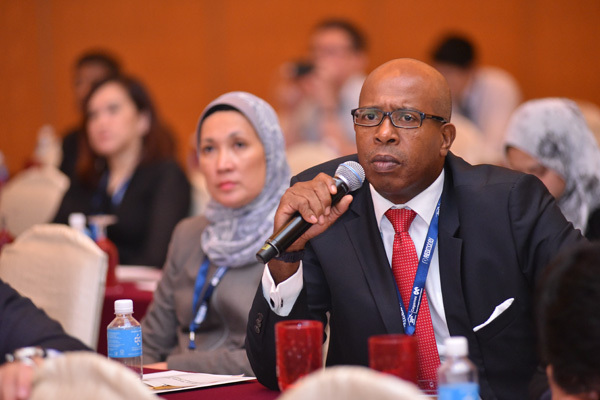 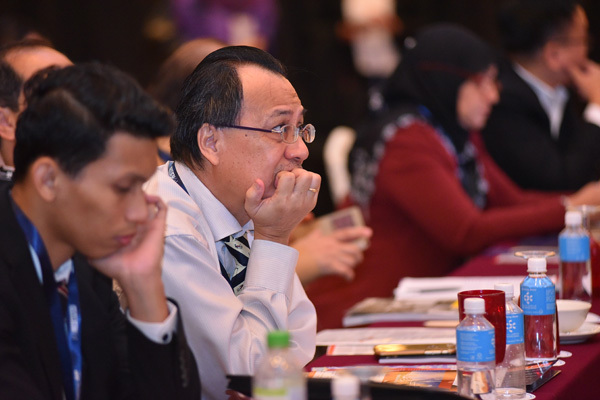 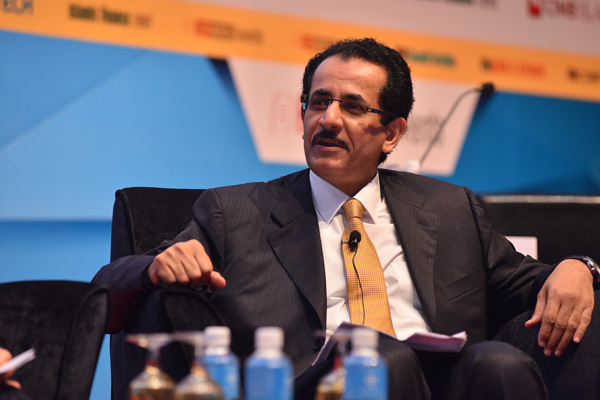 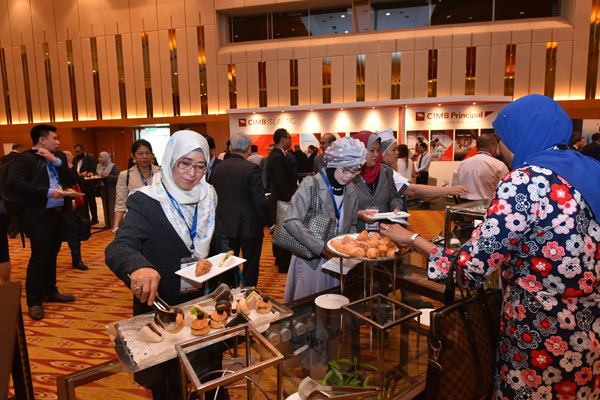 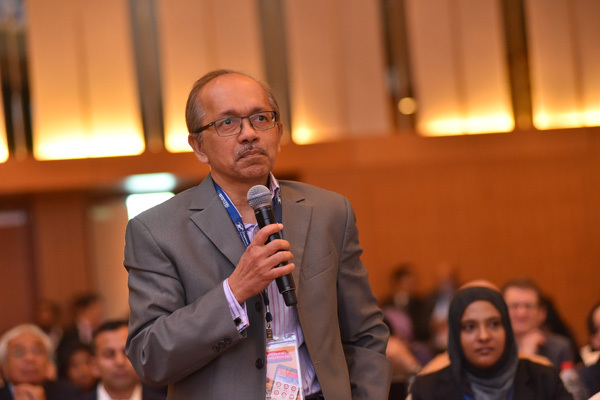 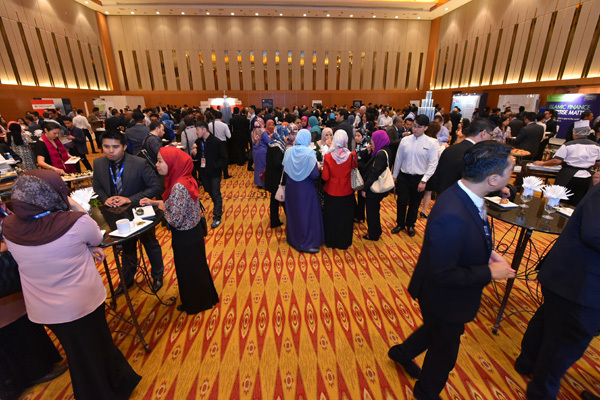 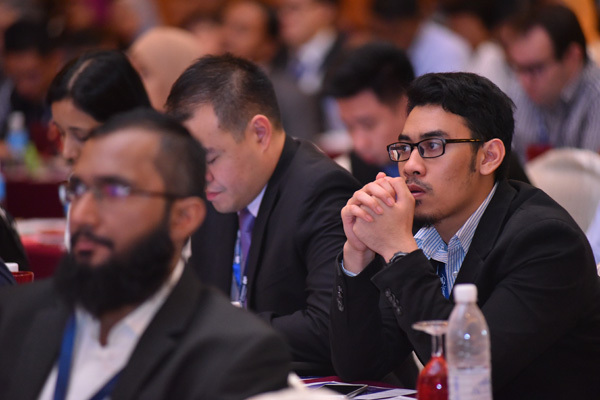 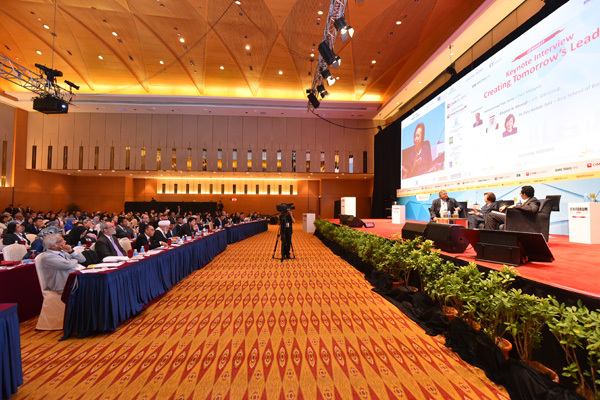 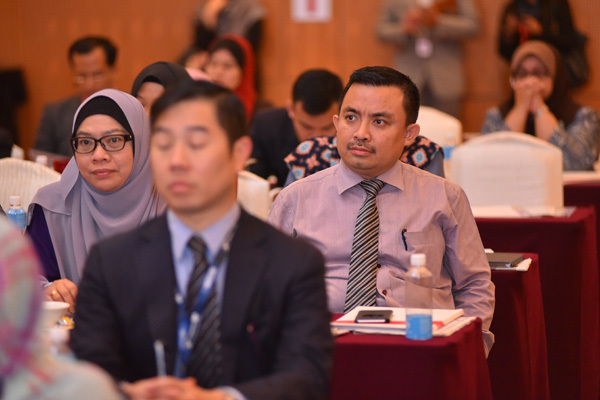 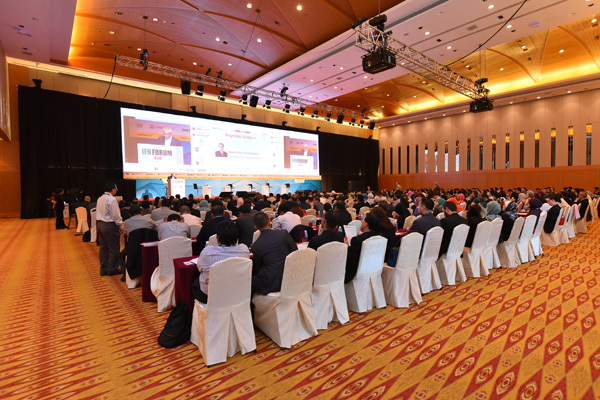 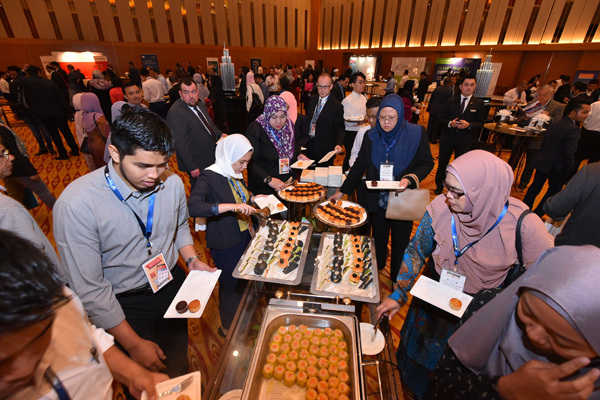 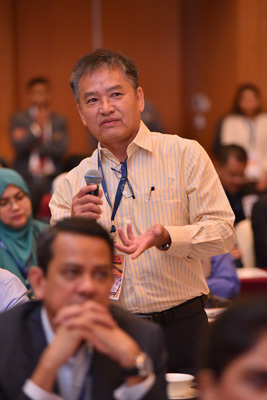 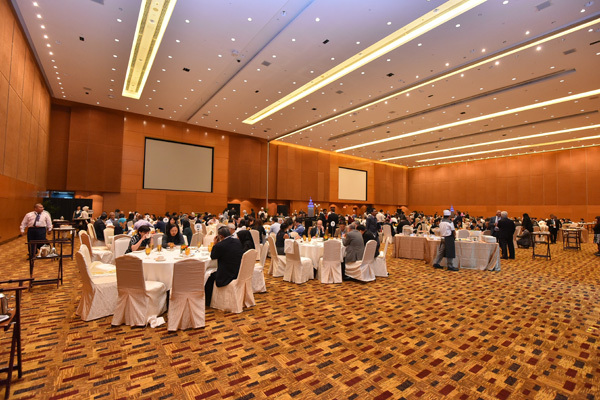 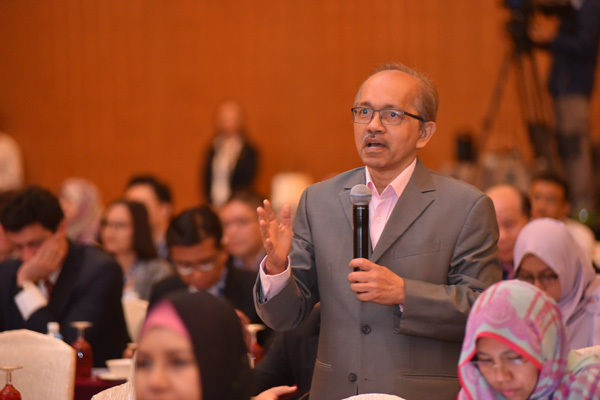 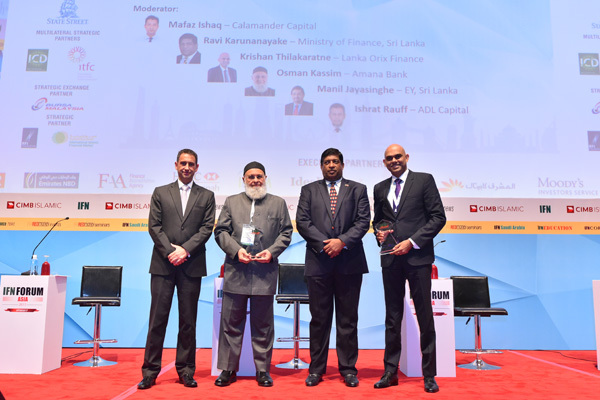 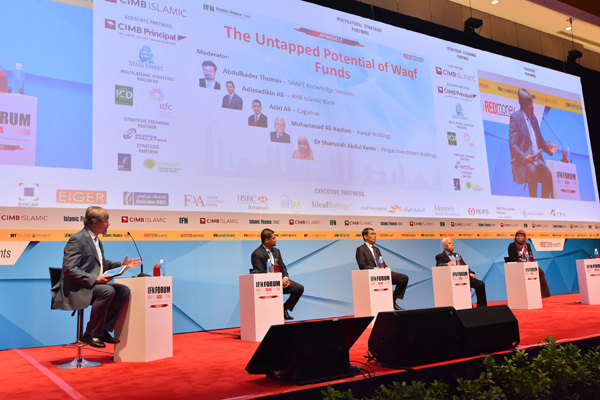 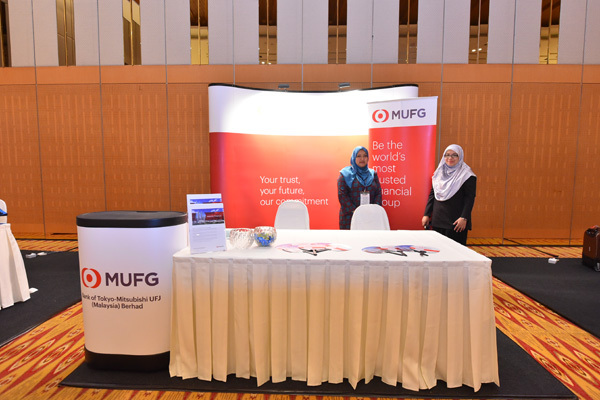 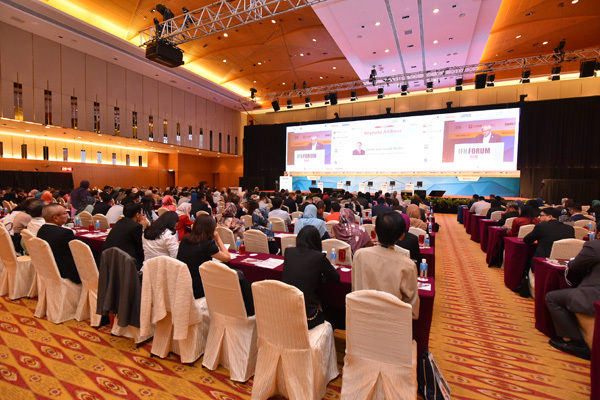 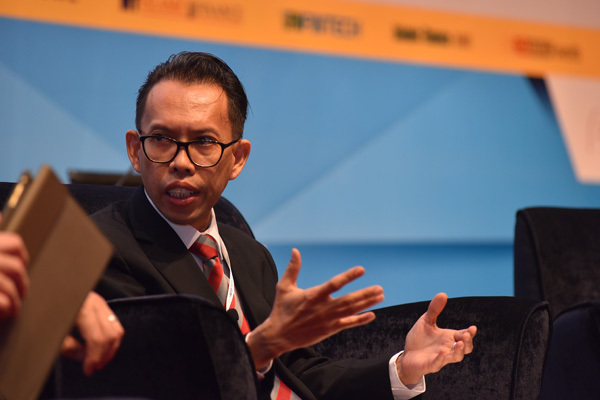 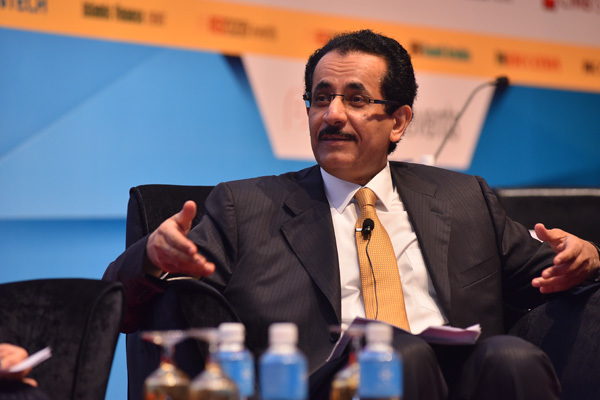 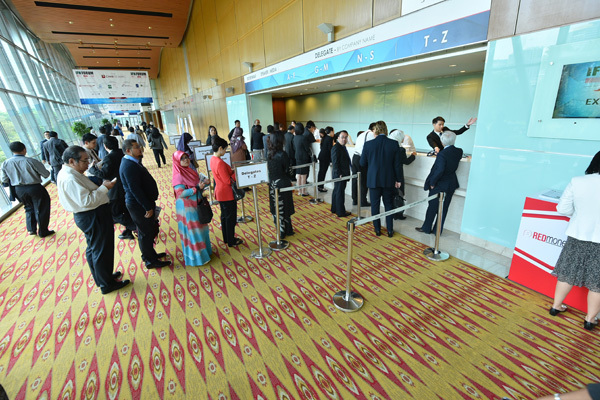 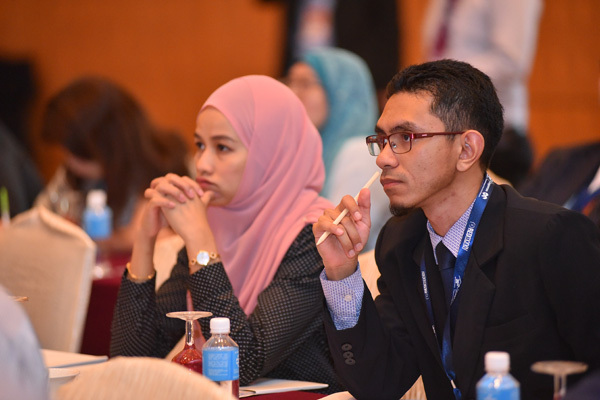 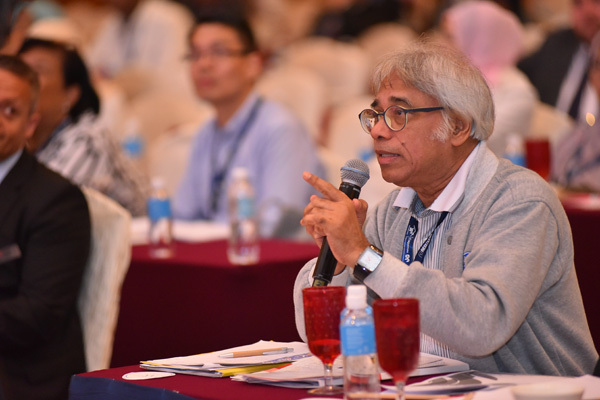 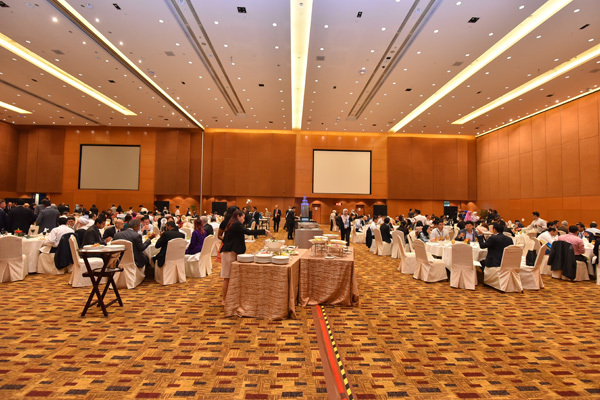 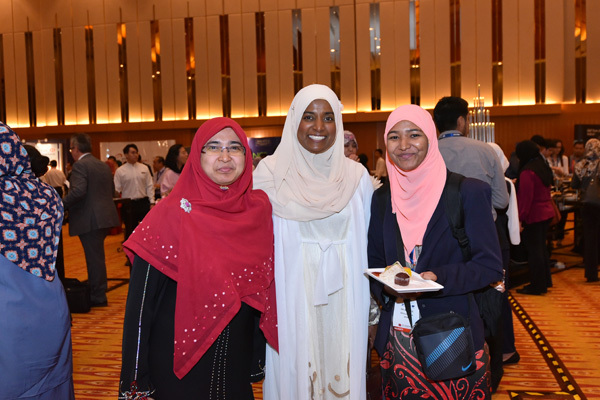 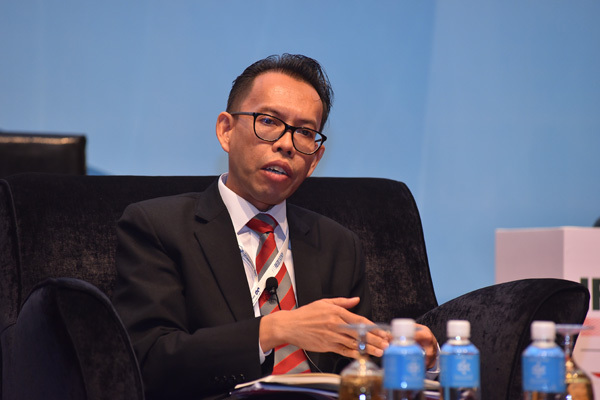 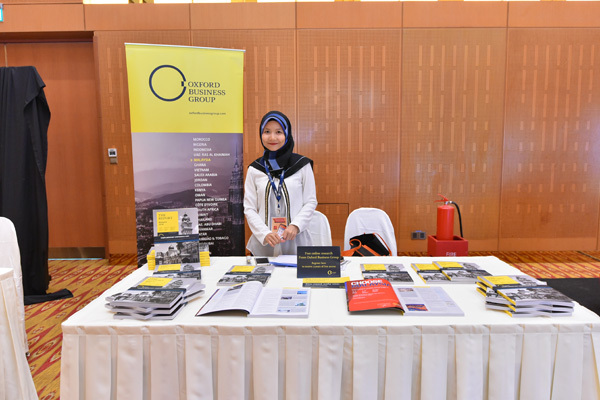 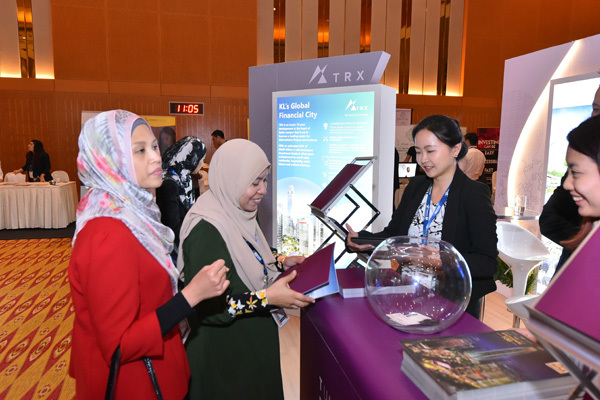 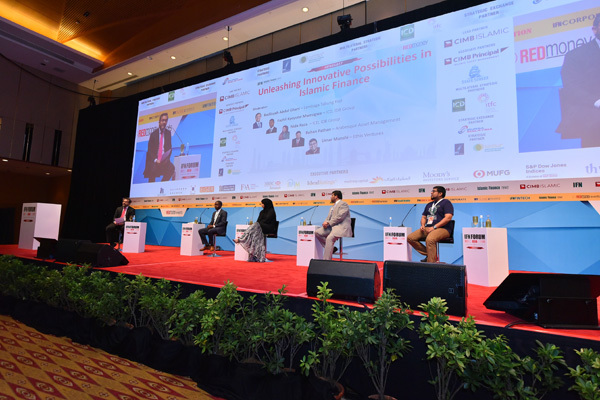 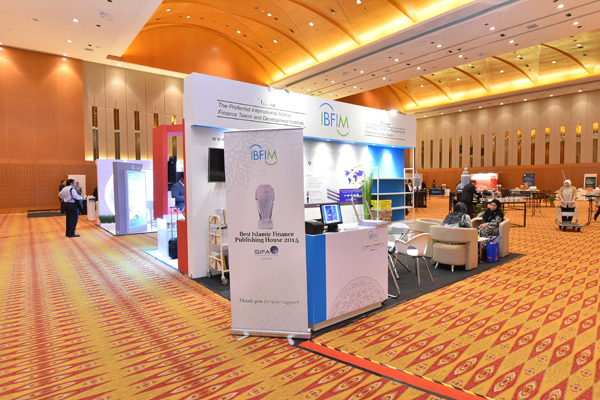 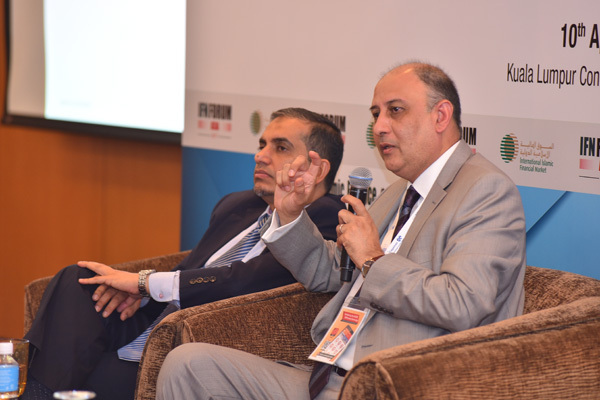 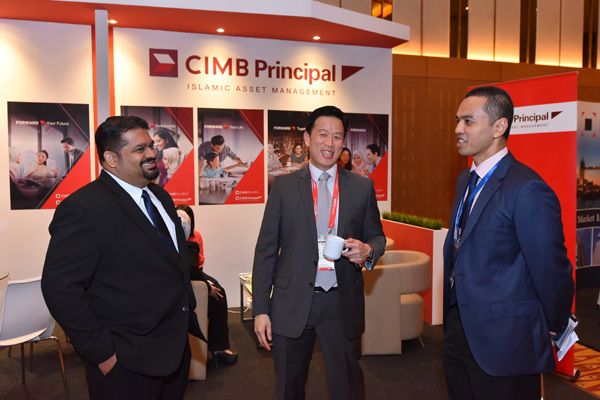 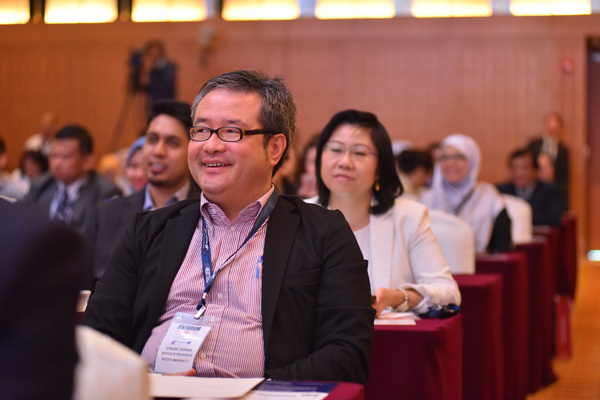 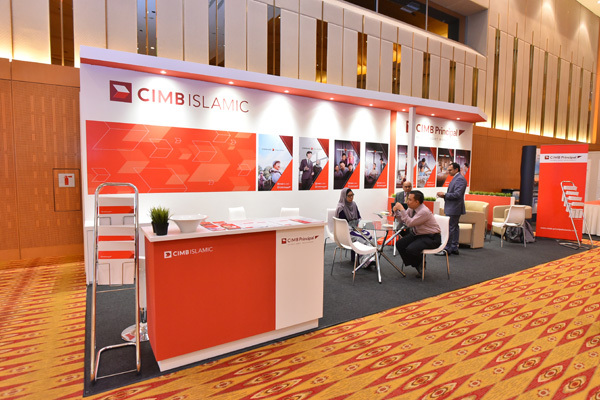 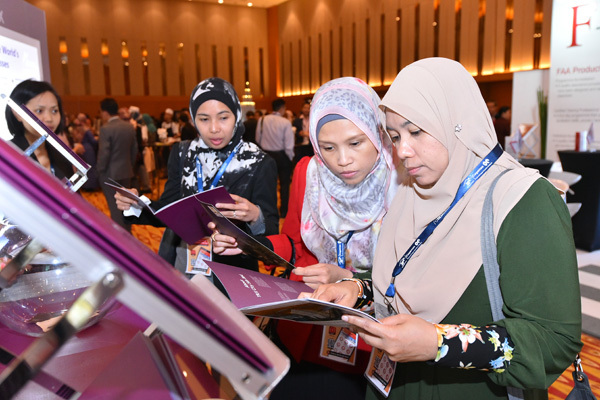 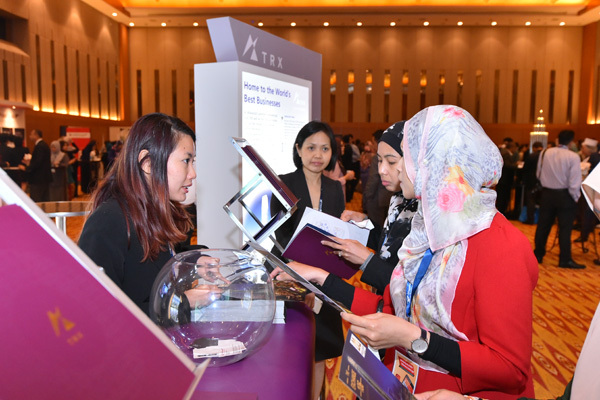 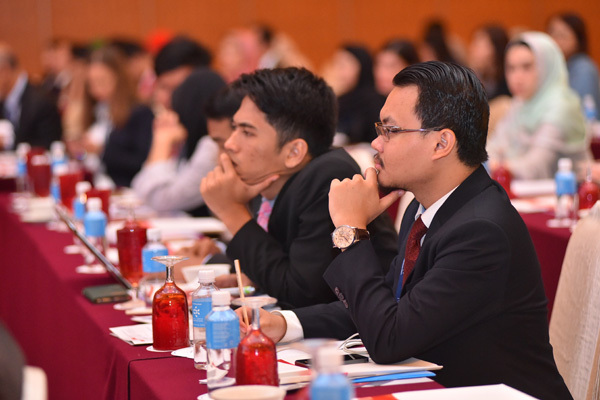 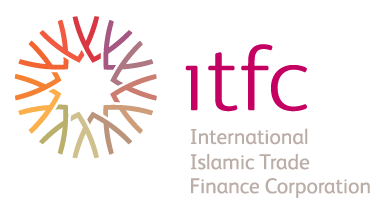 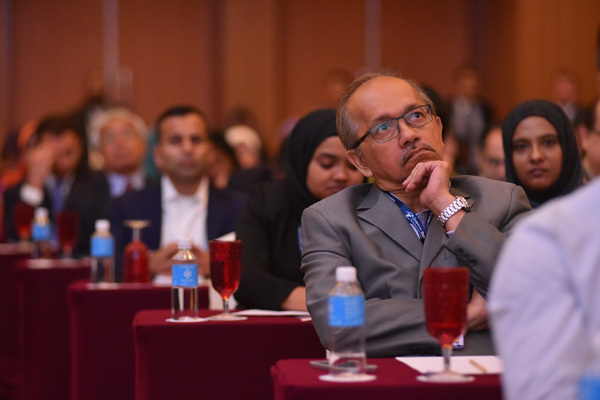 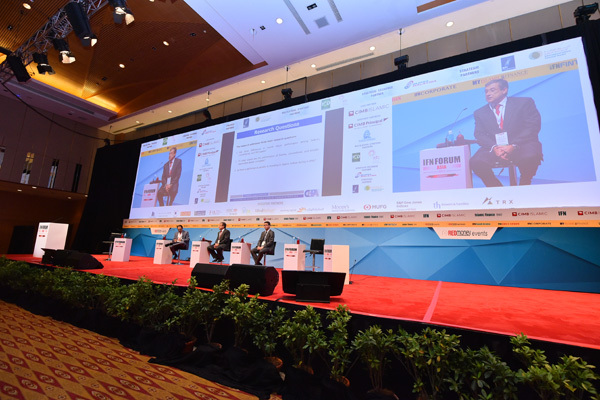 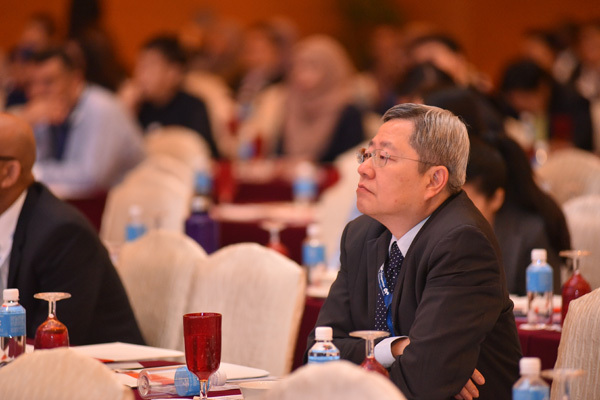 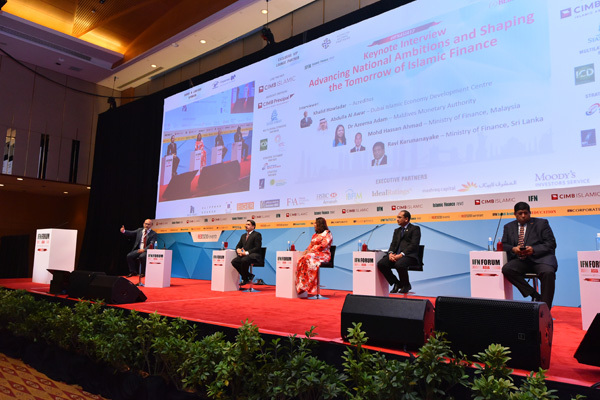 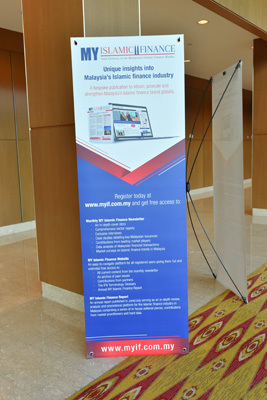 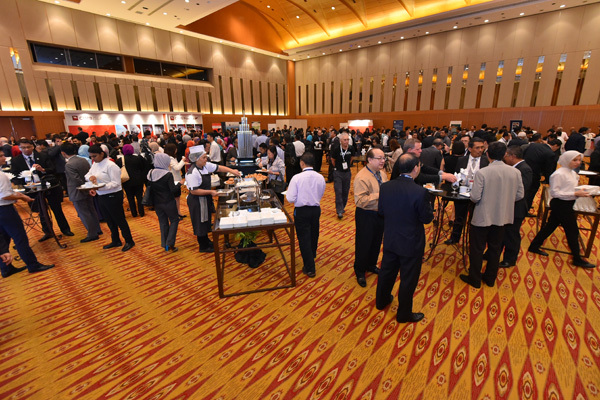 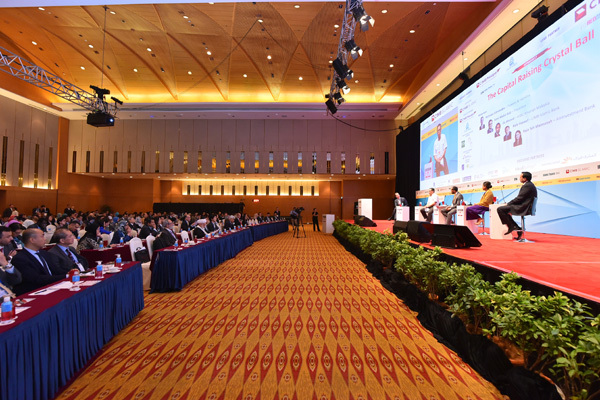 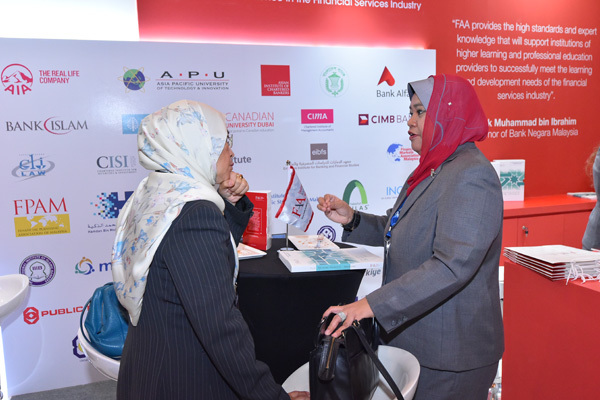 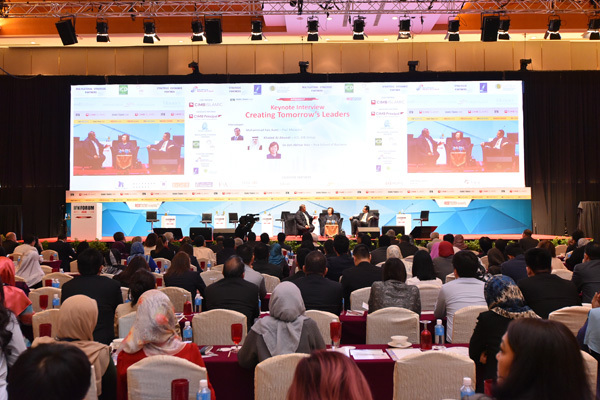 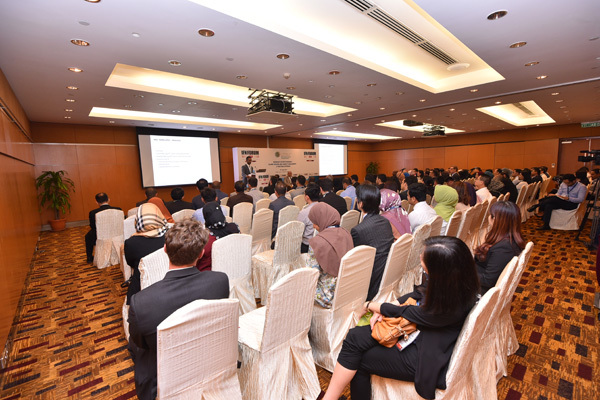 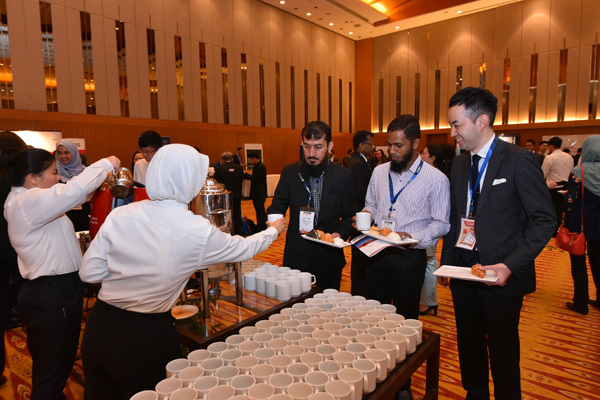 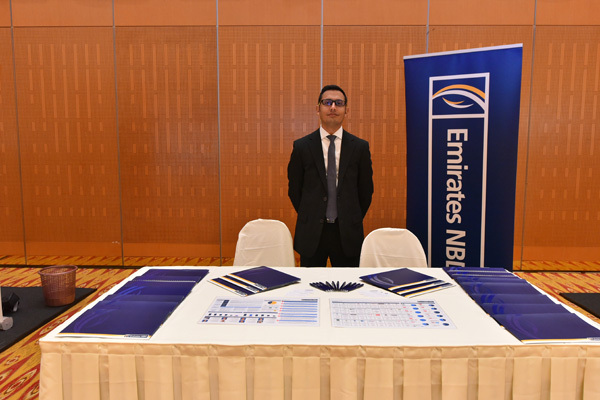 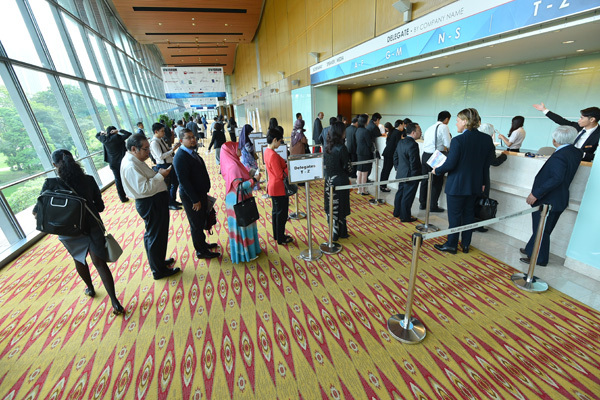 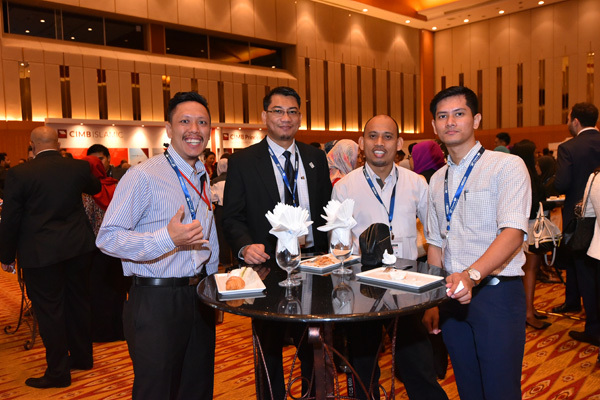 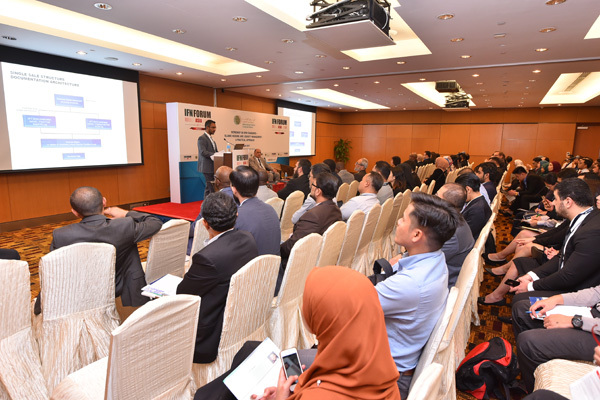 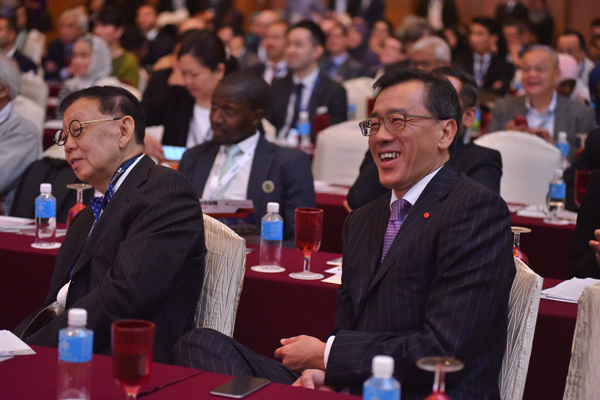 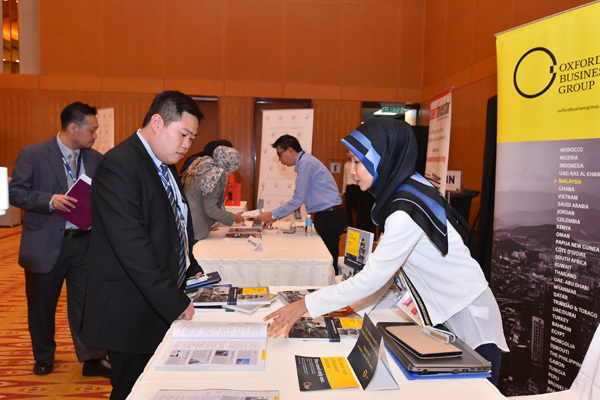 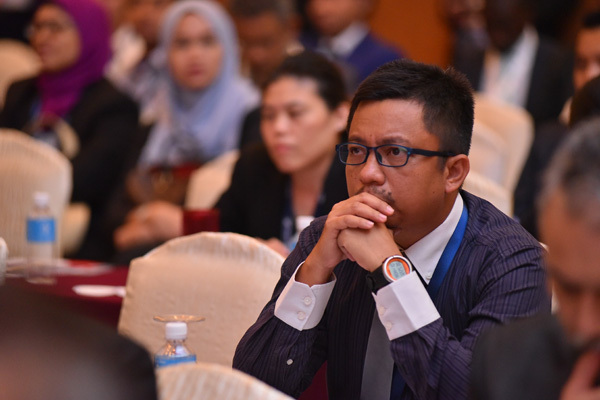 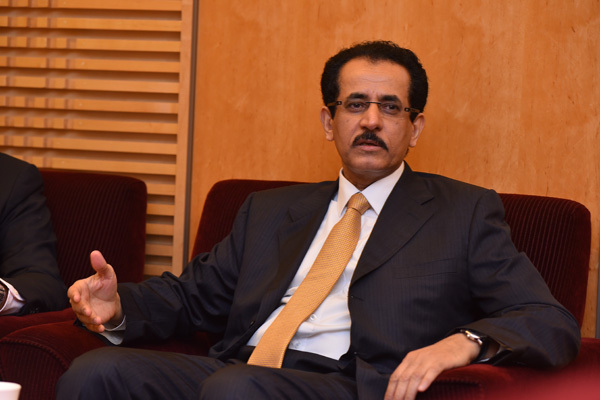 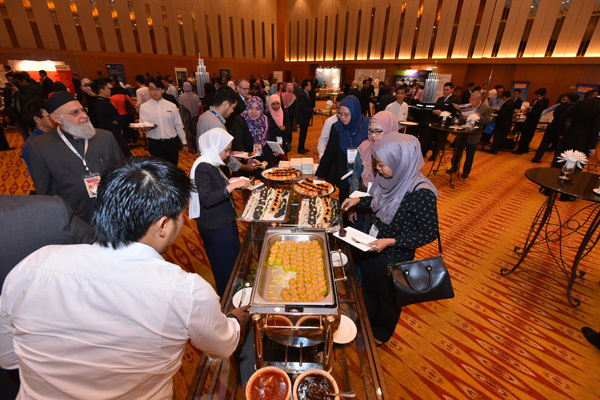 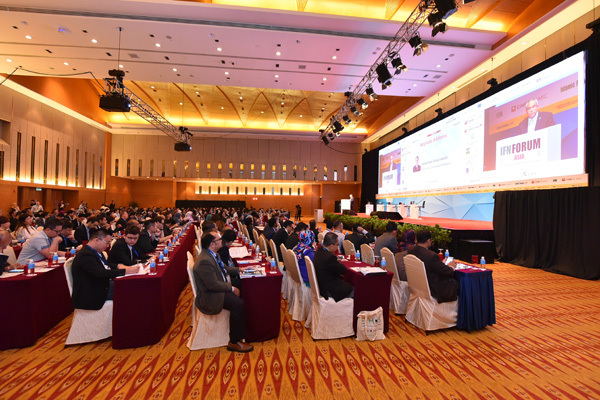 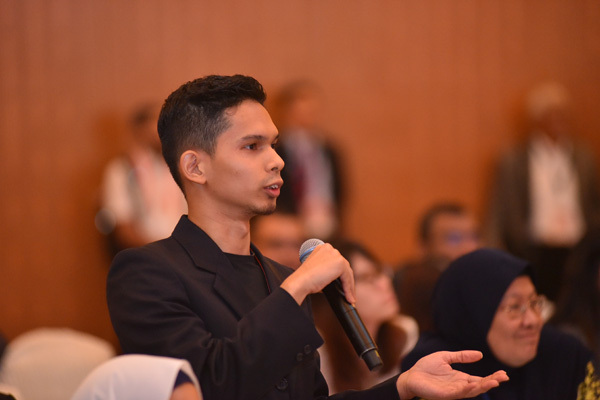 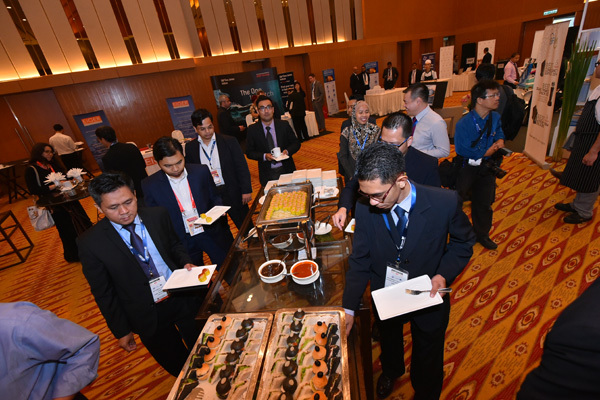 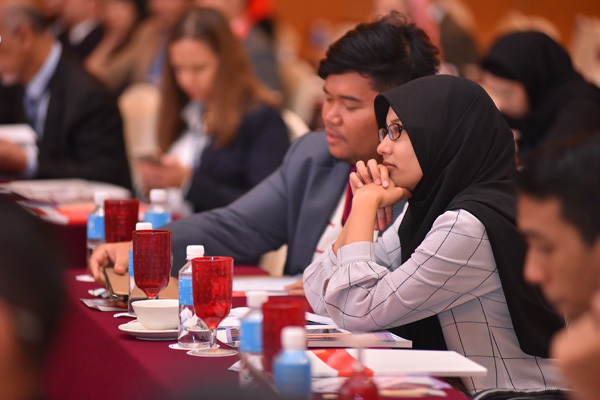 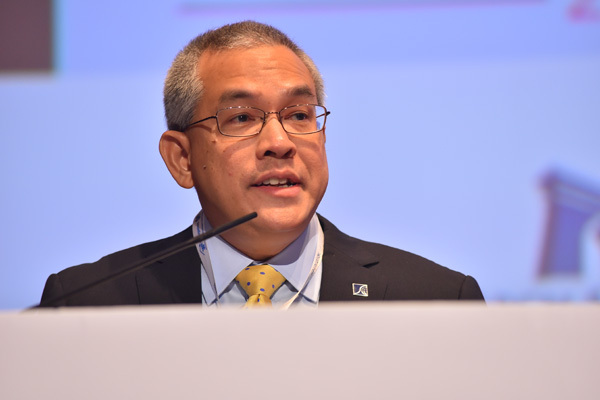 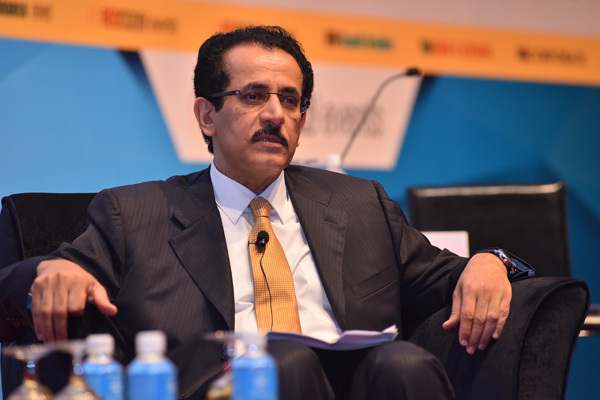 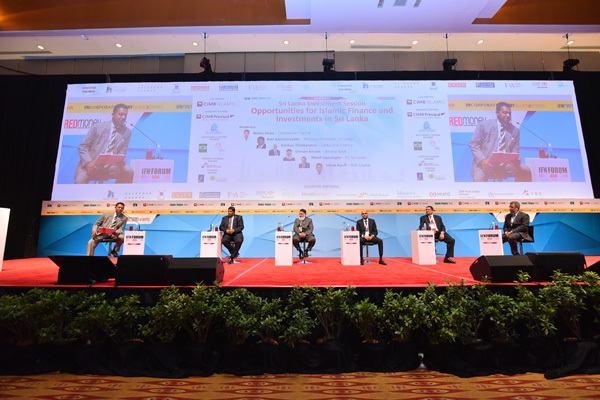 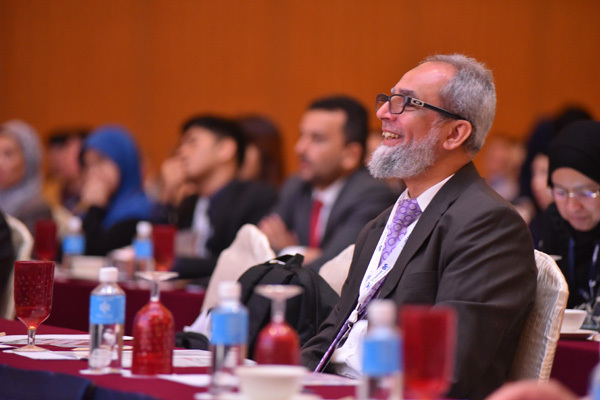 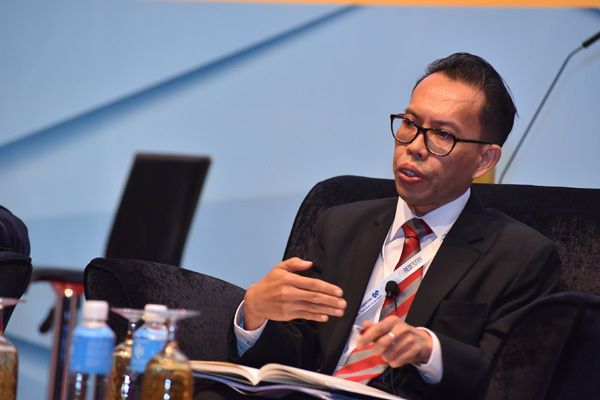 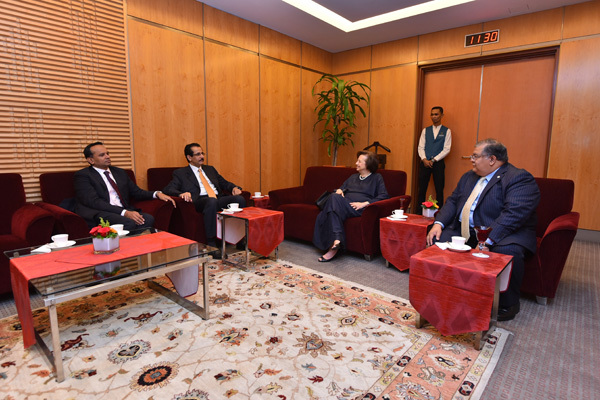 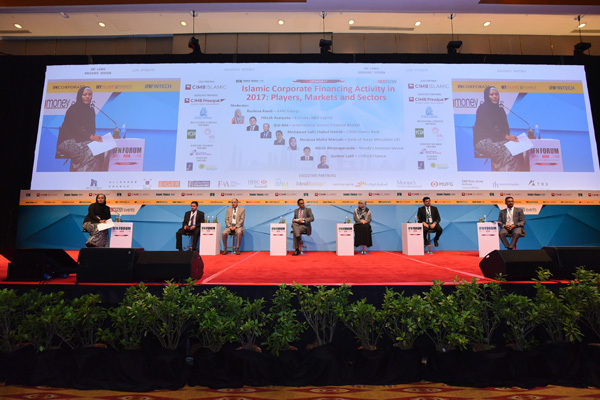 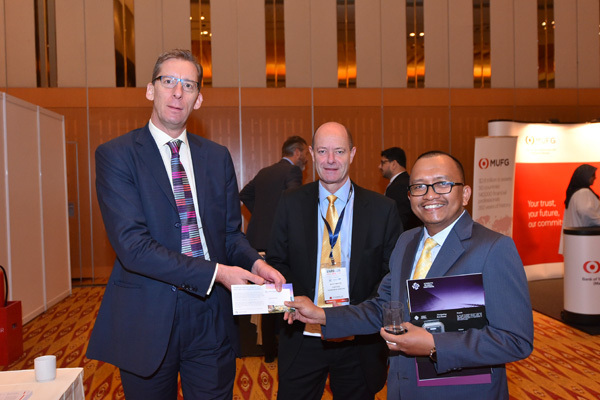 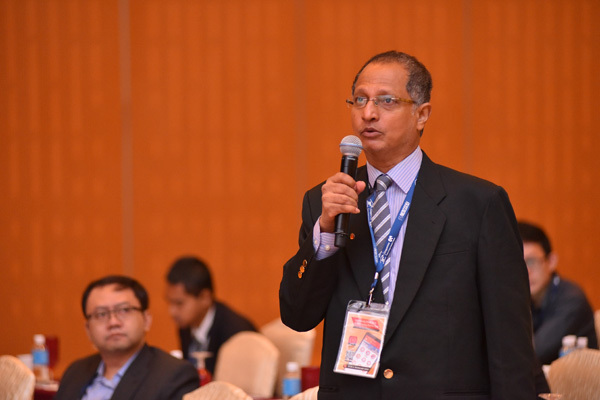 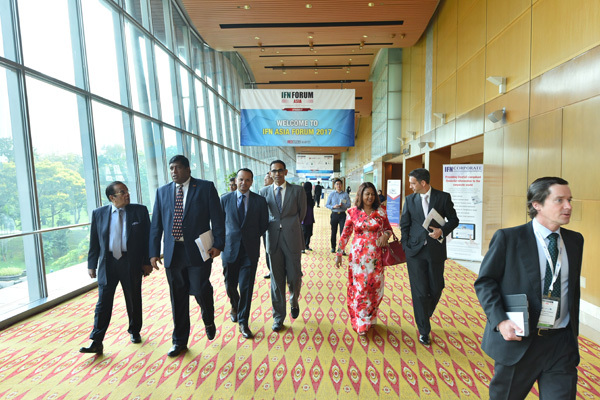 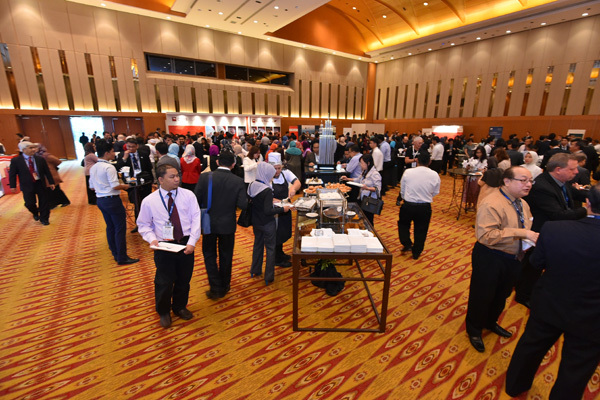 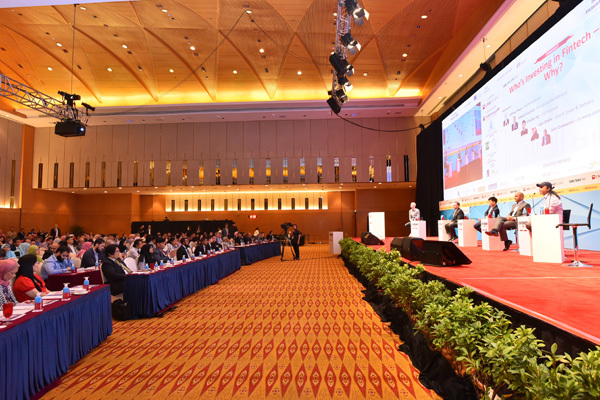 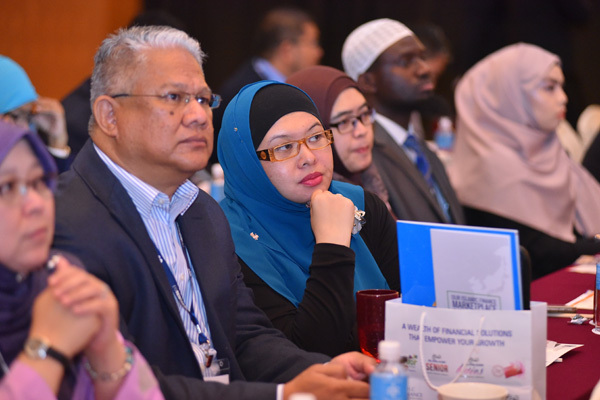 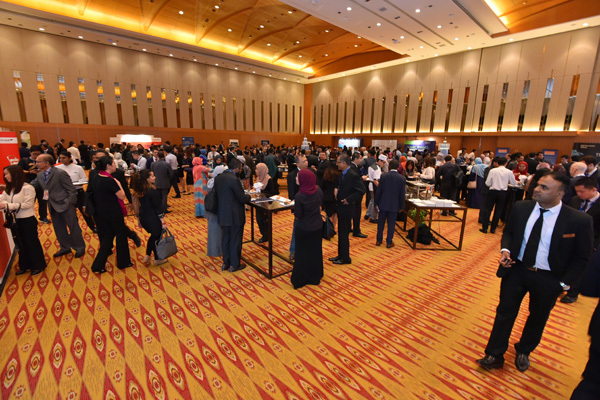 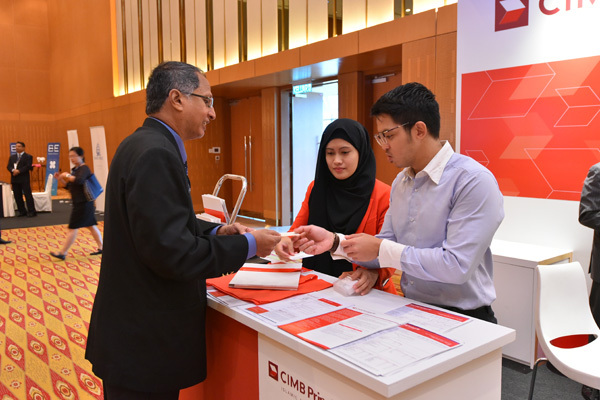 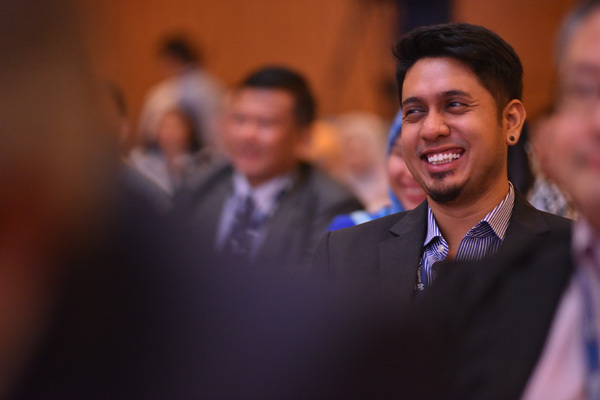 The two-day event will be a platform for industry professionals to discuss the latest issues surrounding the development of Islamic finance in the Asian region. 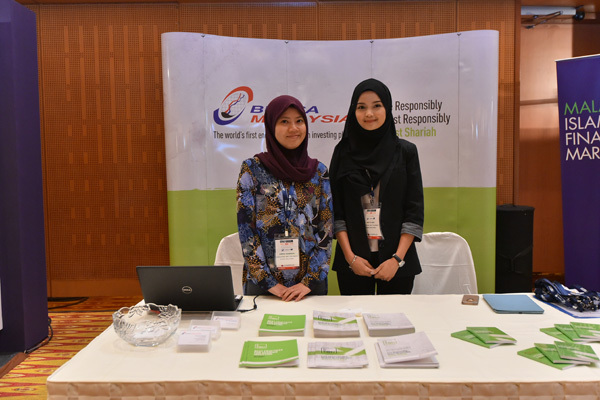 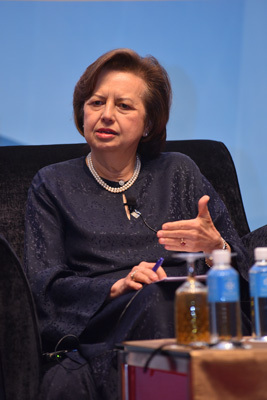 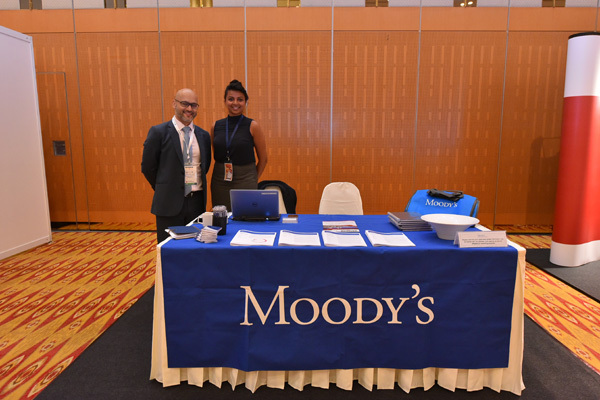 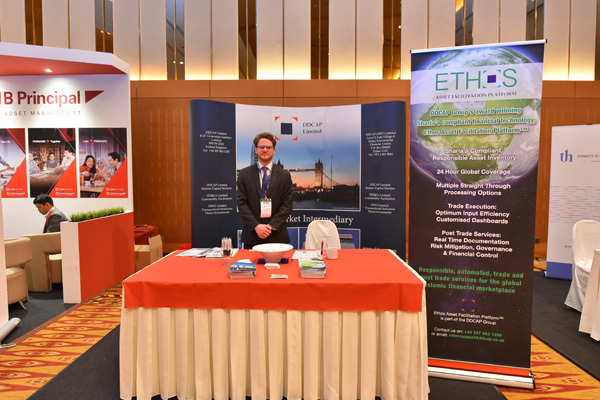 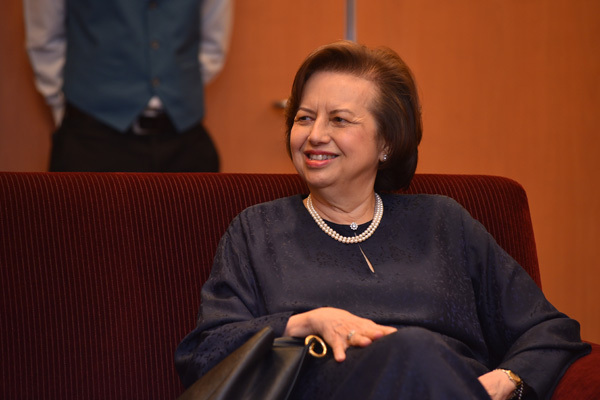 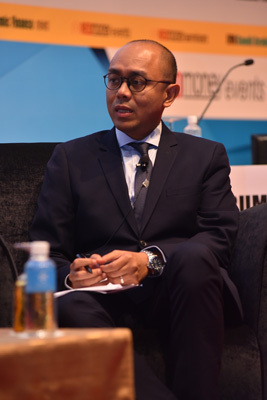 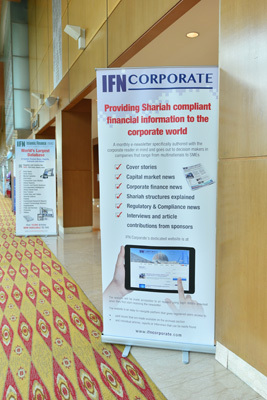 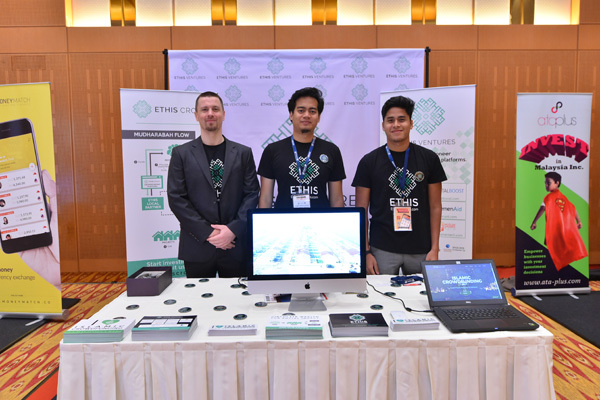 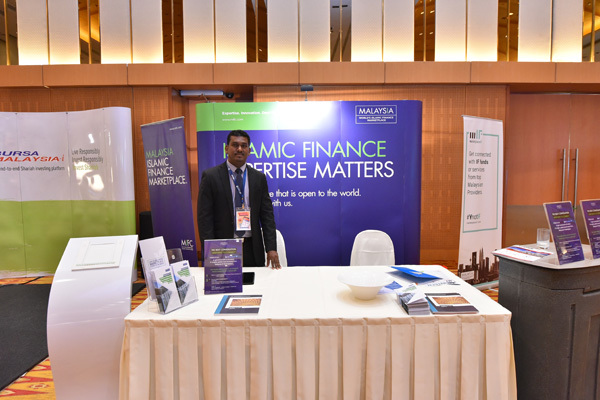 While Malaysia and Indonesia continue to lead the pack in terms of Islamic finance activities and Sukuk issuance, other major economies such as Pakistan, Singapore, Hong Kong and Australia are increasingly turning towards Shariah compliant financing activities to raise funds for projects, especially infrastructure- related ones. 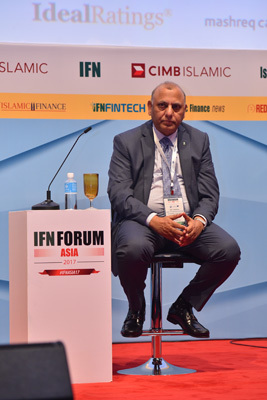 Turning to West Asia, Turkey has also emerged as a growing force in Shariah compliant finance with its participation banks, and the government's increasing encouragement for the industry to take flight has seen more banks launching Shariah compliant banking windows. 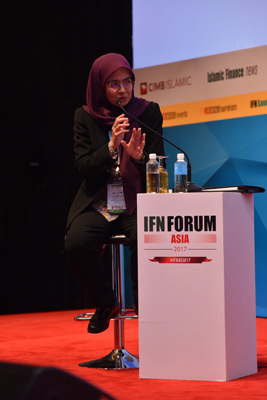 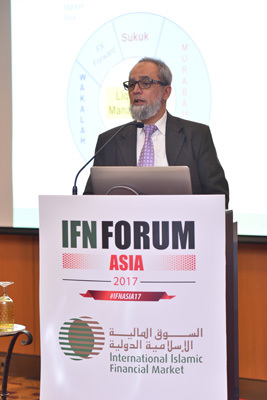 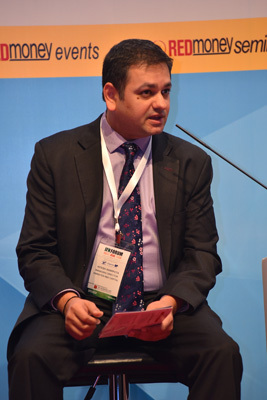 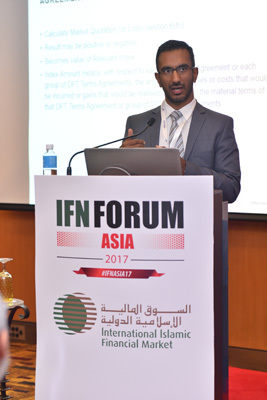 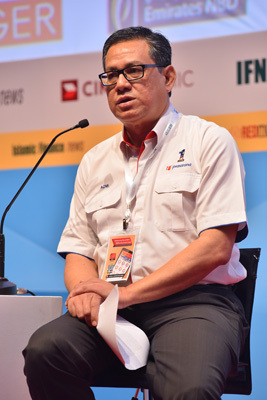 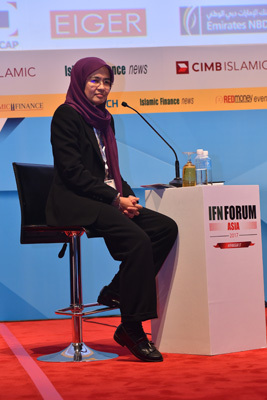 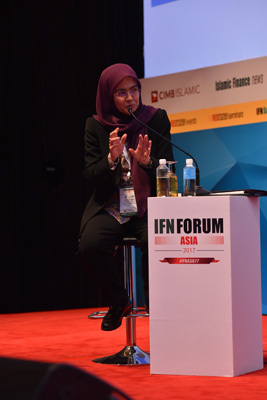 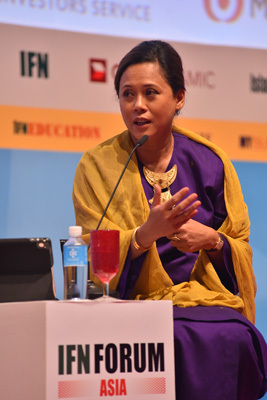 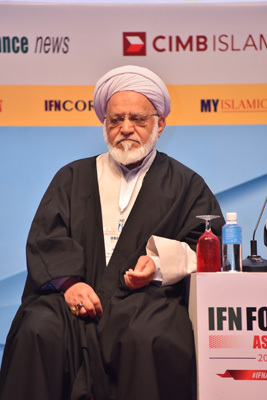 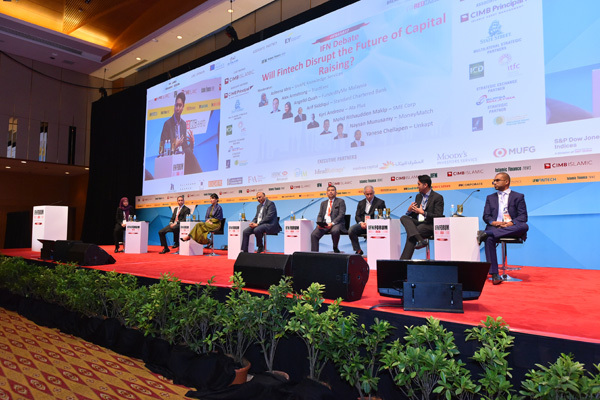 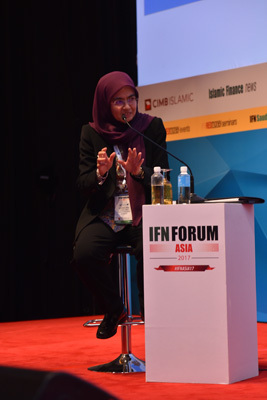 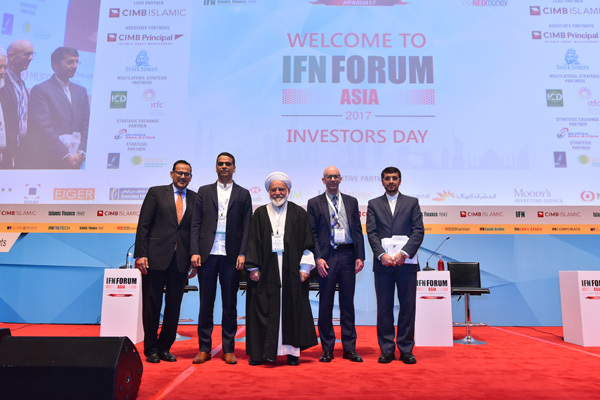 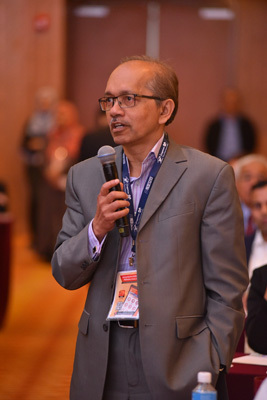 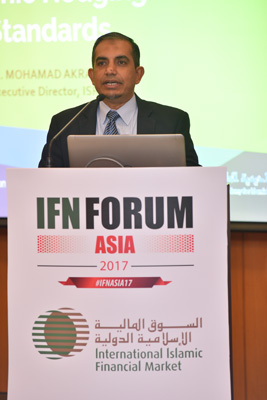 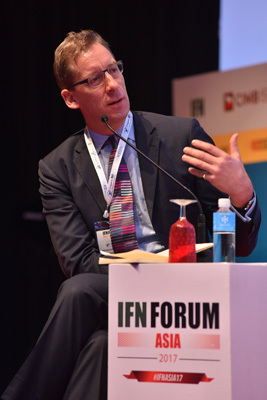 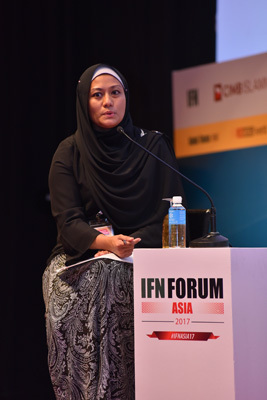 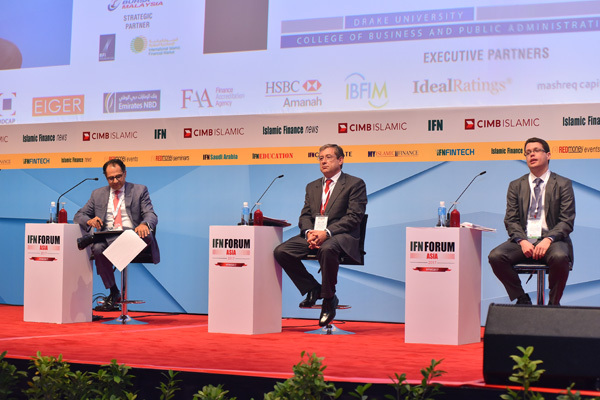 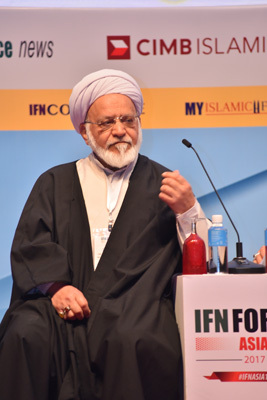 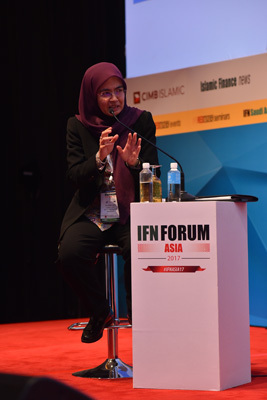 Asia's fast- growing Islamic capital markets will no doubt be a space that investors will keep their eyes on, as opportunities abound in this exciting market, and IFN Asia Forum will provide a chance for the audience to gain a clearer picture on the ongoing trends in the region, with invaluable insights from market and industry experts. 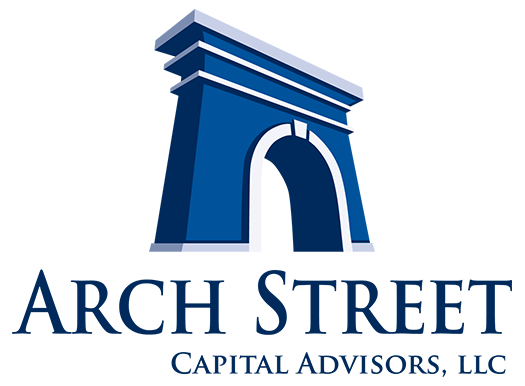 If 2016 has taught us anything it is to expect the unexpected. 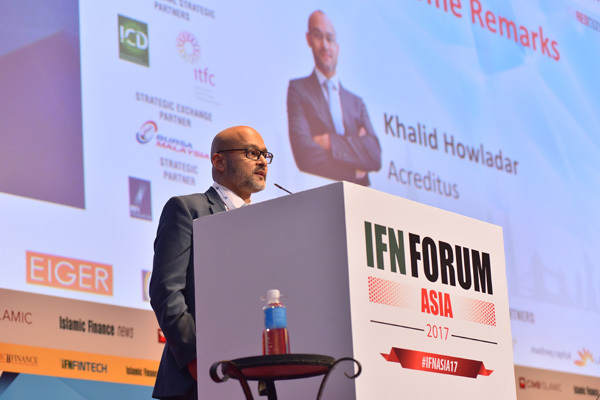 In an age of unpredictability we ask our industry’s elite for insight into industry growth and trajectory for 2017. 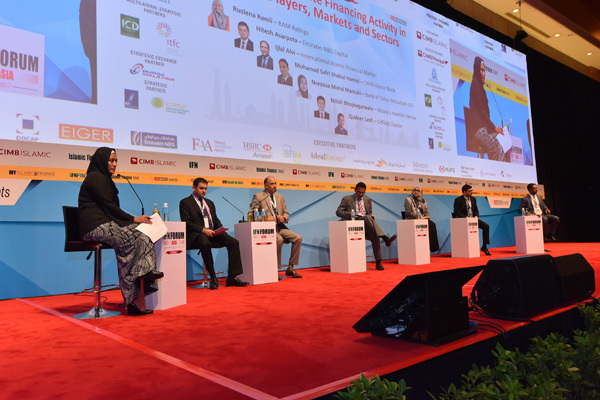 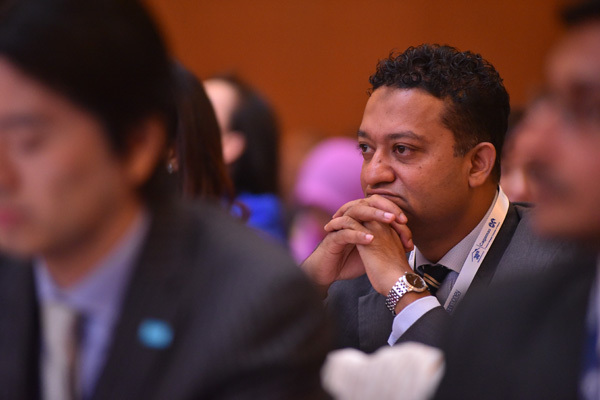 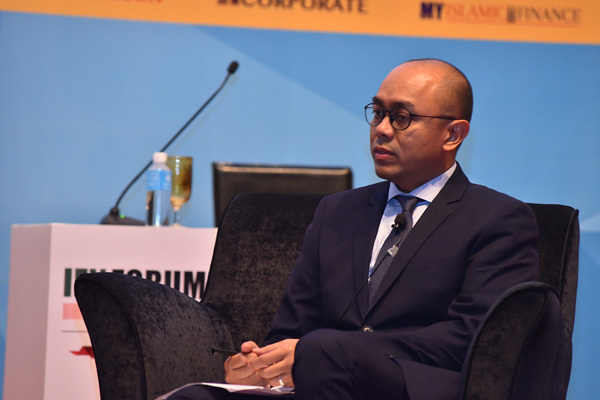 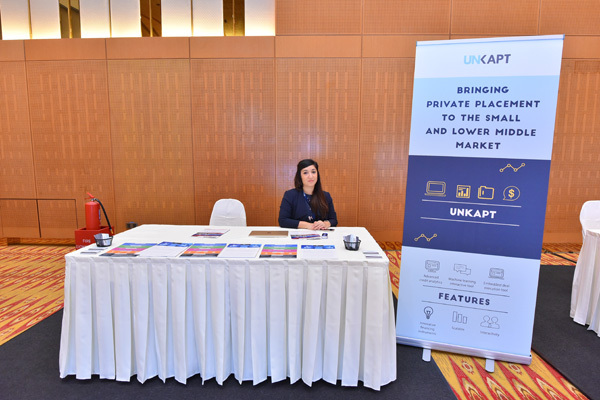 From syndicated financing to corporate Sukuk, what key markets and sectors should we focus on, where will activity center itself and who are the prospective corporate Sukuk buyers? 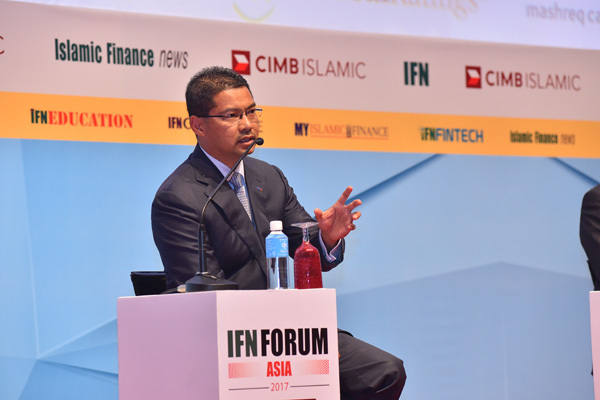 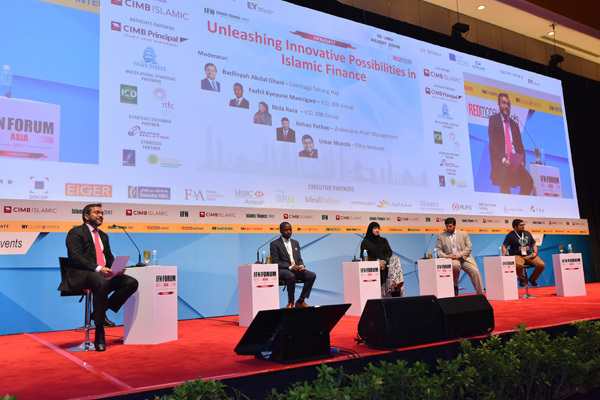 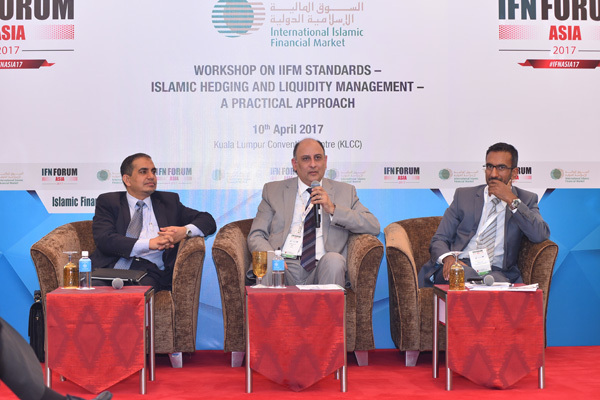 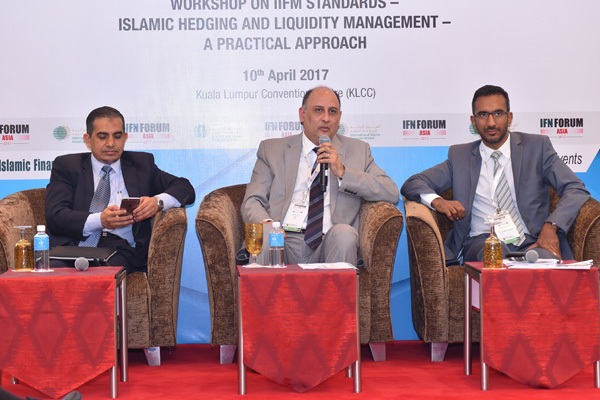 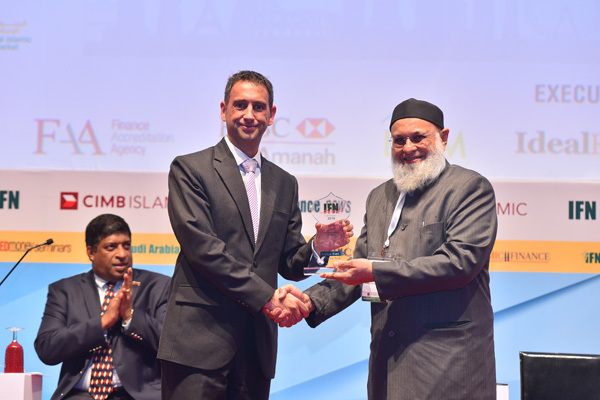 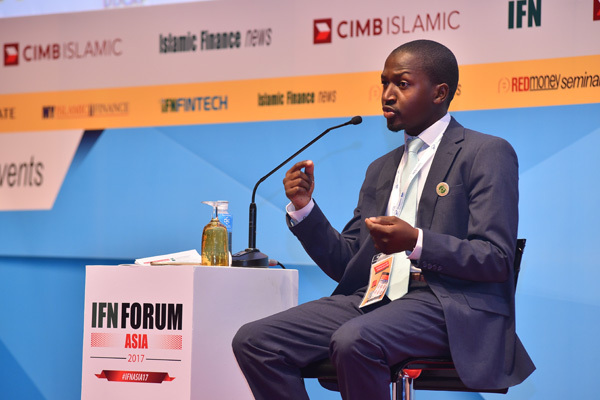 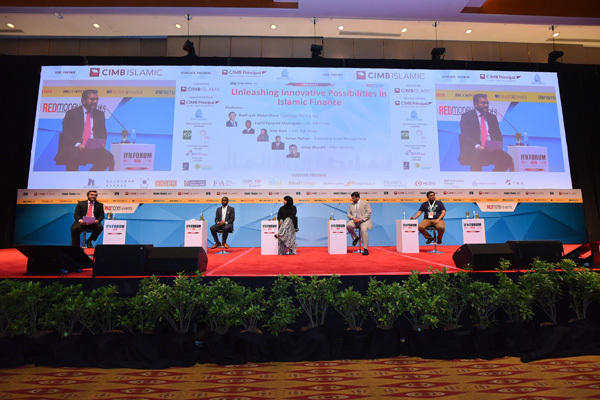 At its core, Islamic finance has both the mandate and capability to spur innovation to generate real value for all participants. 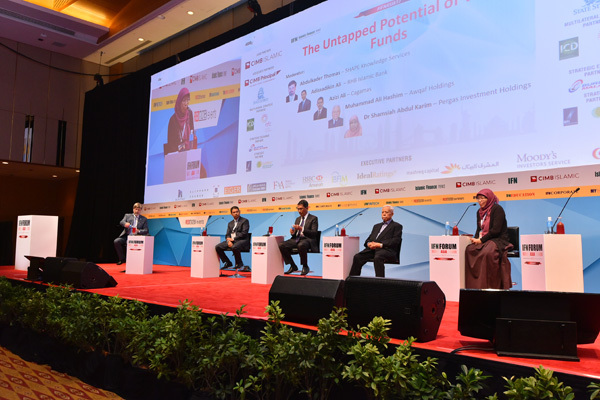 Leveraging off the leading final innovation project of ICD's Miras Islamic Finance Talent Development Program, an esteemed industry group of panellists will discuss the importance of engendering a culture of innovation and discuss ways to unleash the innovative potential of Islamic finance institutions to drive further growth and real-world positive impact. 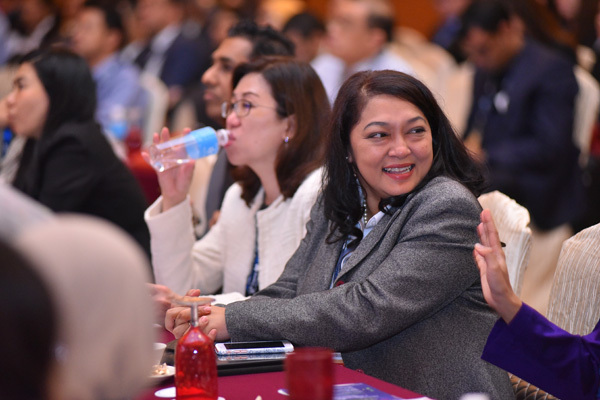 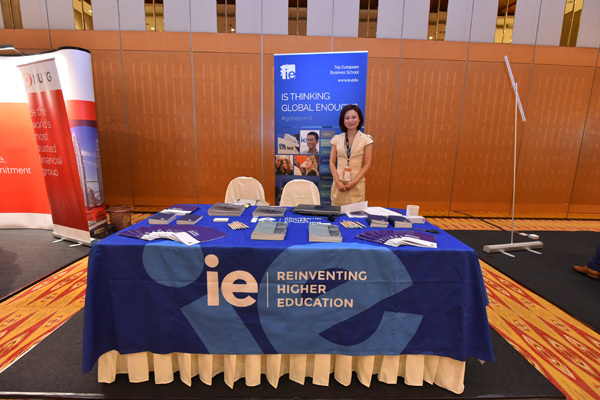 Get prepared for the Asian decade! 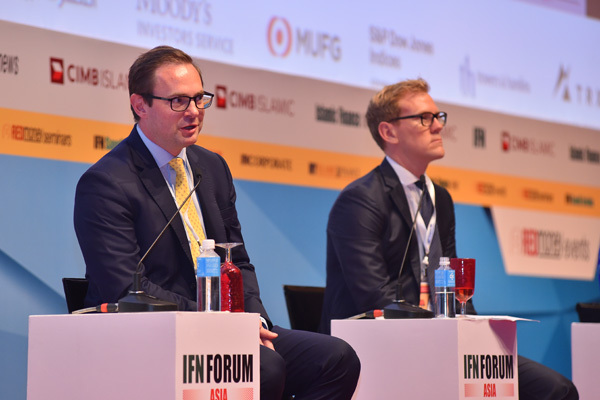 In Asset Management 2020 (featured at the IFN Investor Forum 2016), we predicted and analysed the impact of the global megatrends reshaping our economies today. 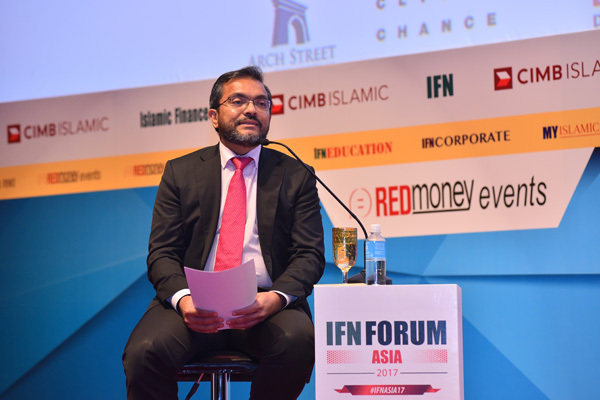 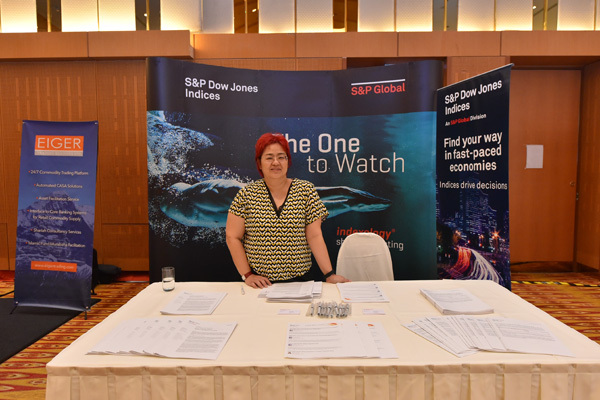 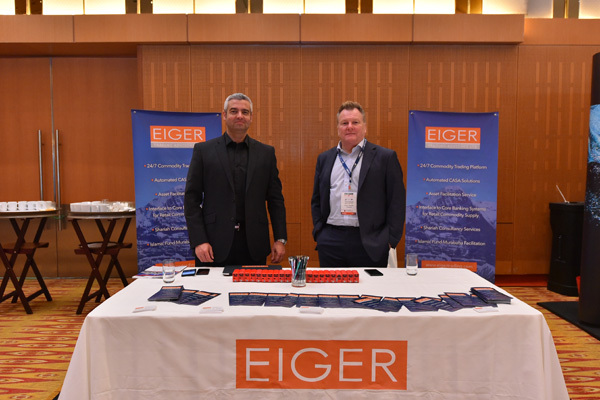 As an extension of those mega trends, the focus is now on the next wave of game changers that will lead to opportunities for asset and wealth management in Asia Pacific. 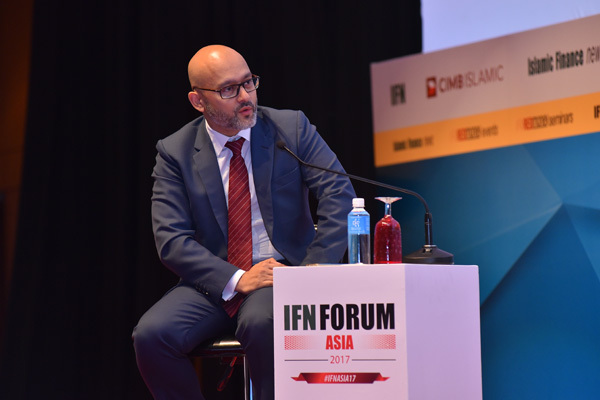 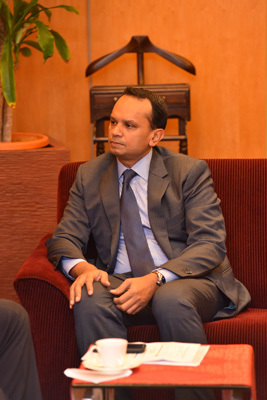 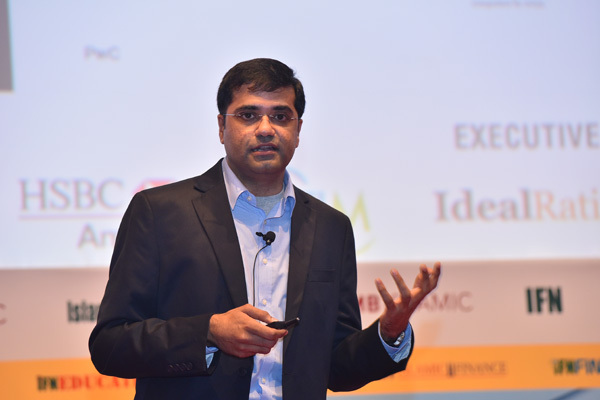 Armin Choksey — Director, PwC Singapore. 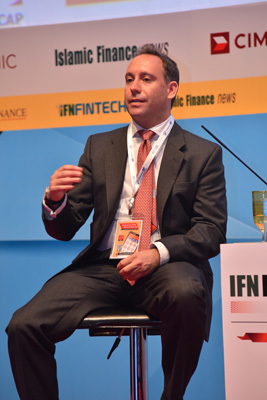 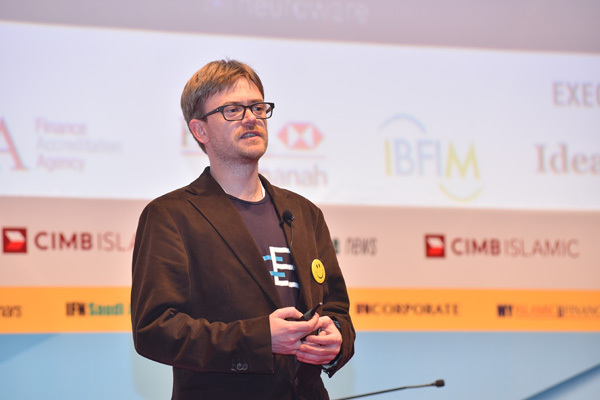 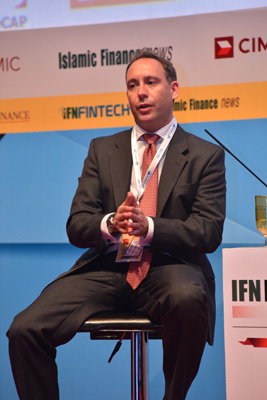 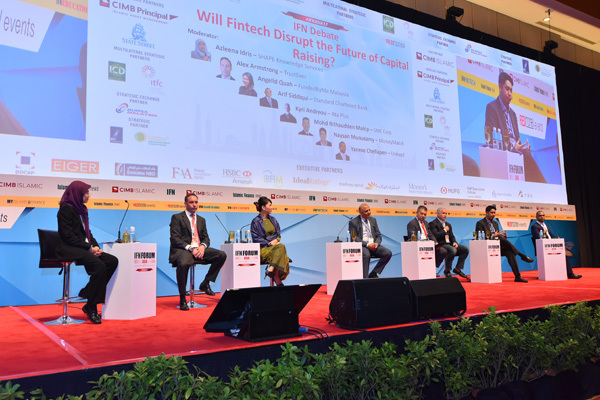 15:30 – 16:30 IFN Debate: Will Fintech Disrupt the Future of Capital Raising? 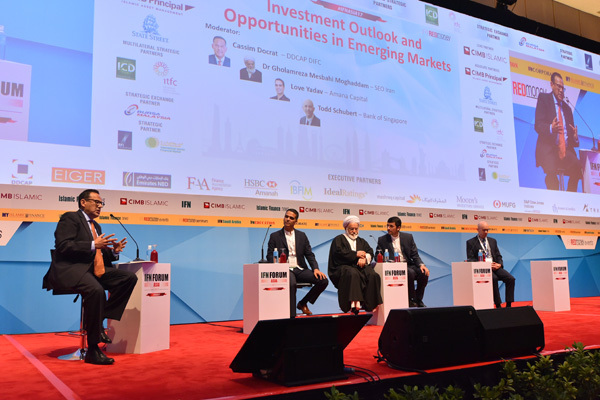 We ask our distinguished panel to provide insight into their strategic initiatives for attracting Islamic investments into their respective markets. 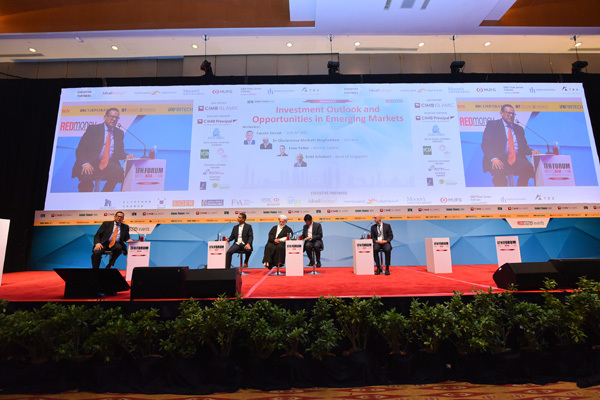 What is the investment landscape and what are the opportunities for investors? 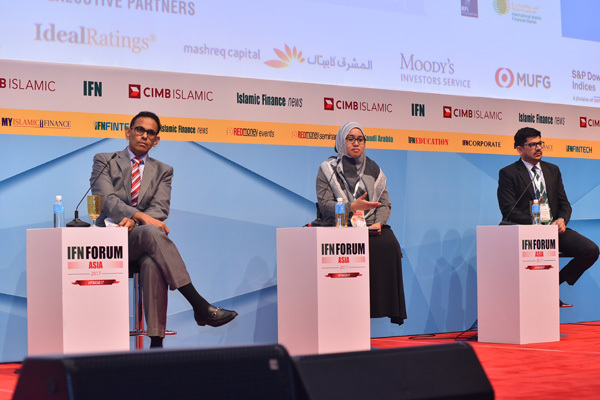 Beyond supporting their policy goals for Islamic finance what is driving the surge in the issuance of sovereign Sukuk vs bonds in these countries? 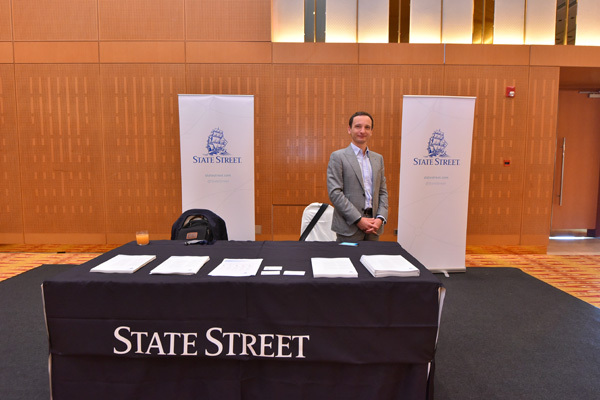 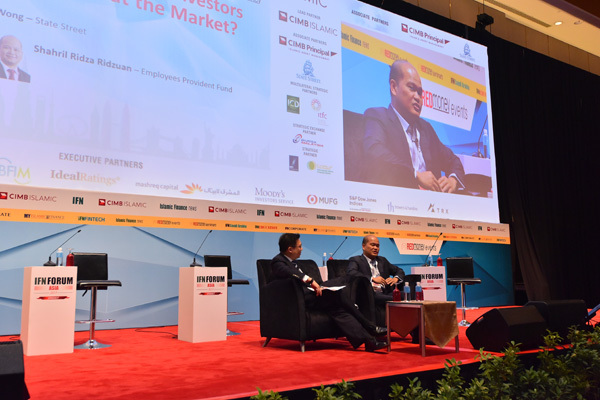 10:30 – 10:50 Onstage Interview: How do Institutional Investors Continually Beat the Market? 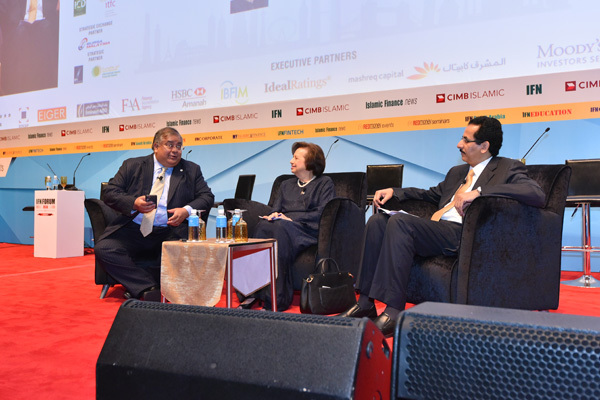 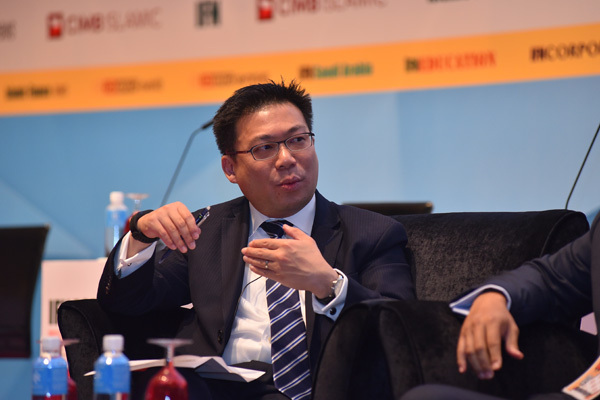 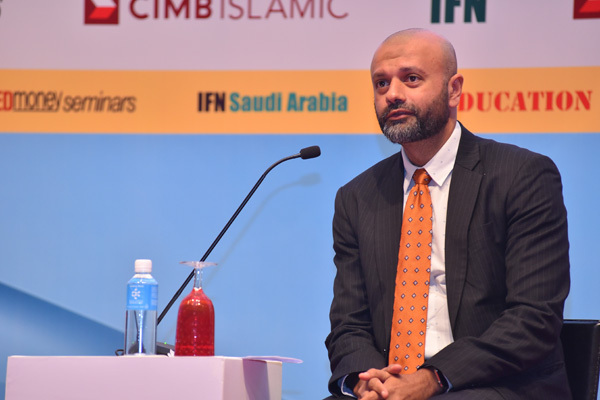 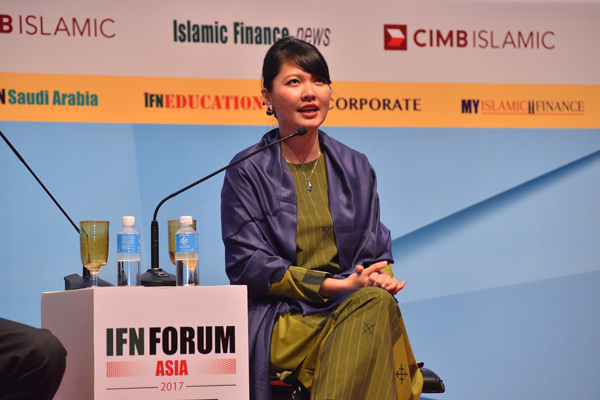 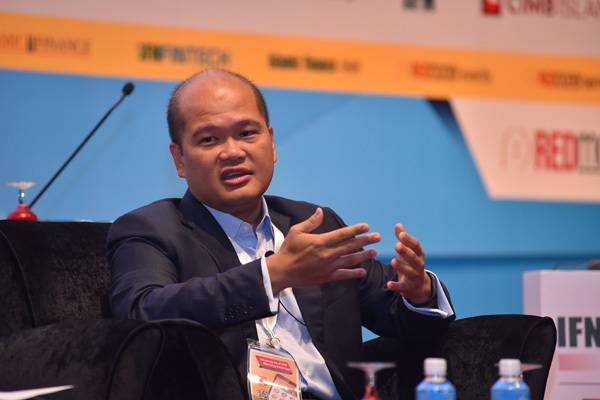 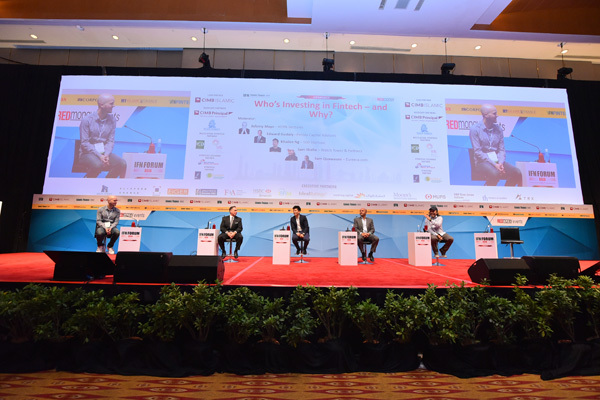 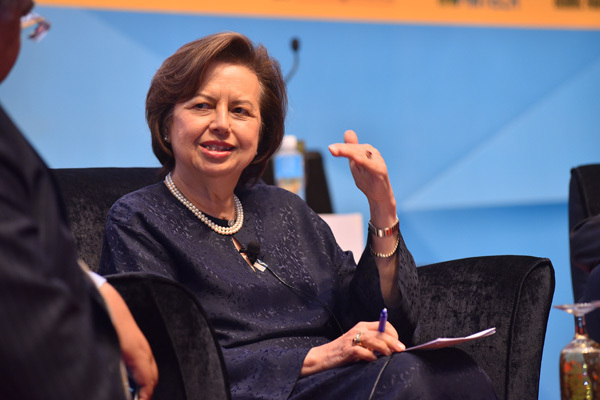 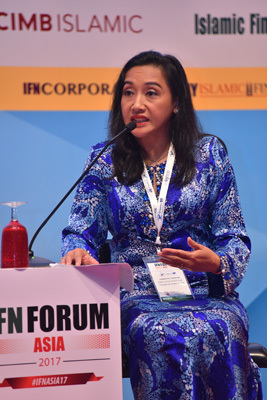 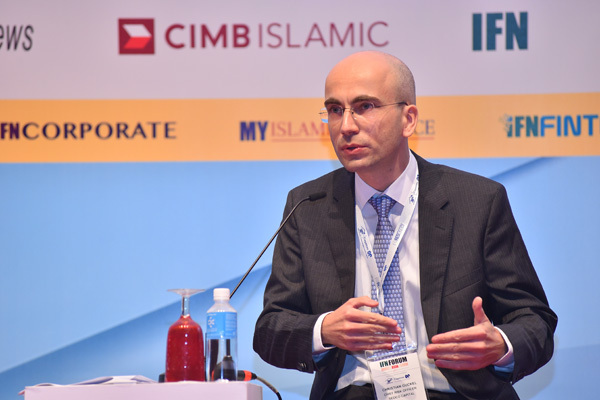 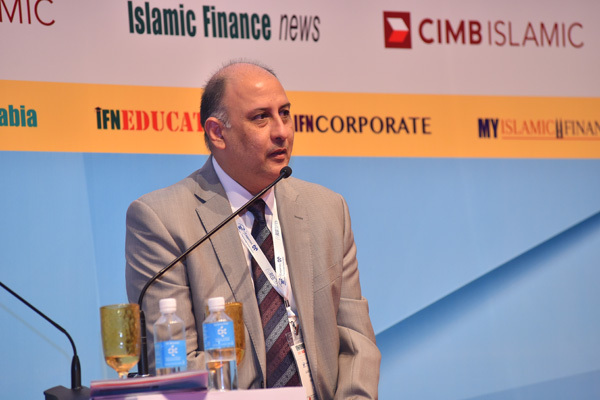 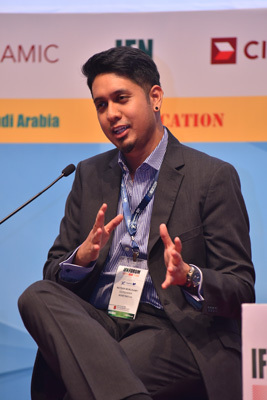 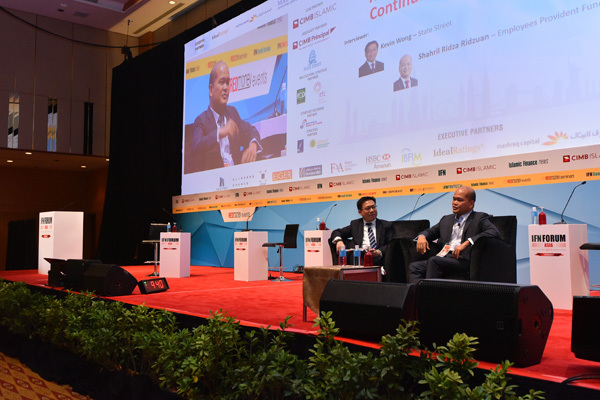 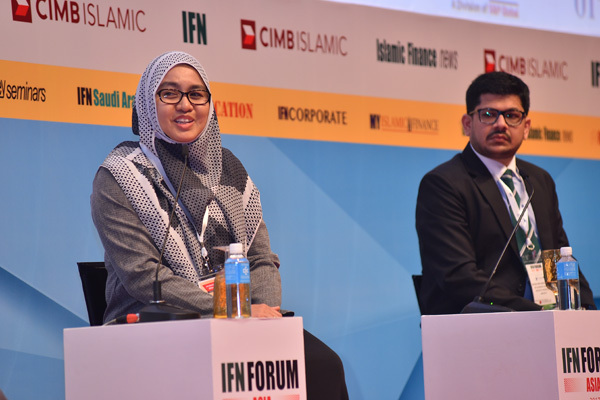 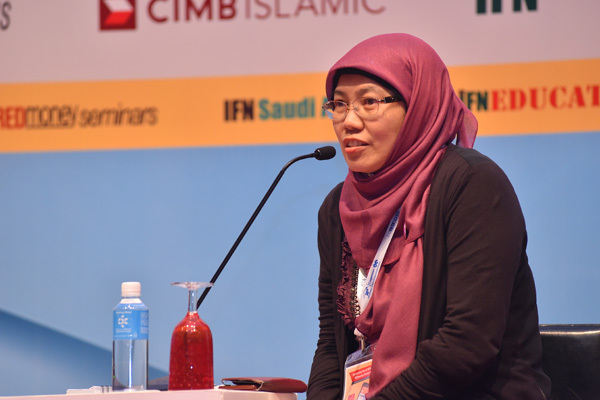 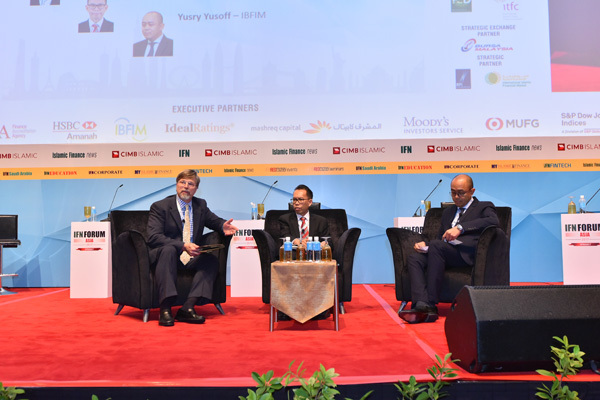 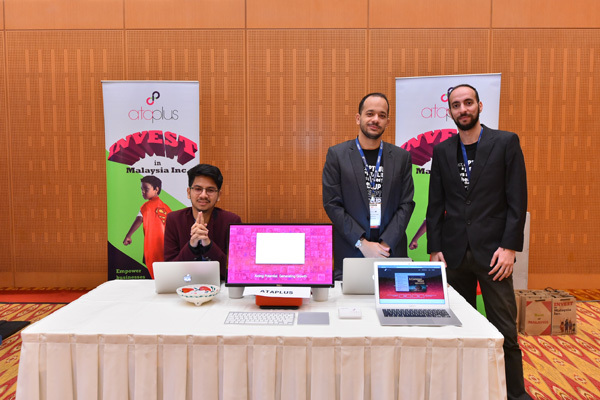 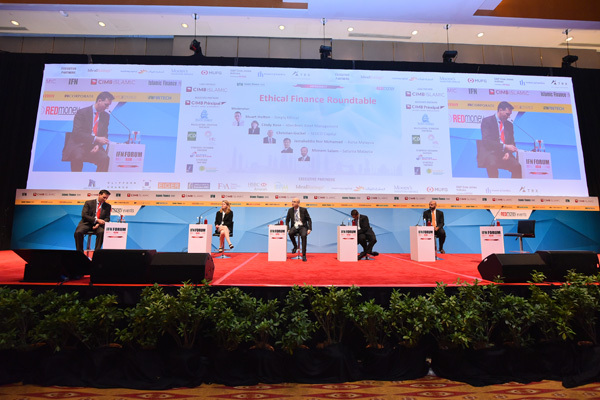 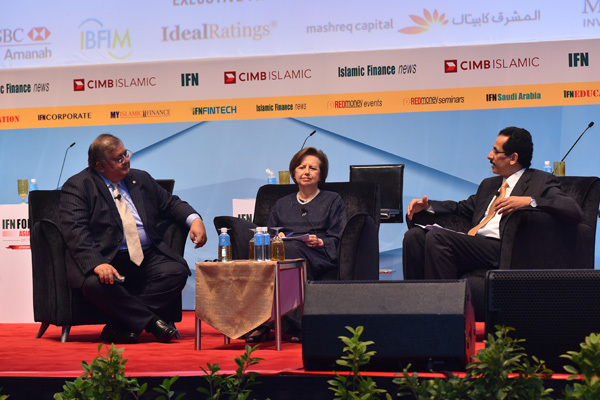 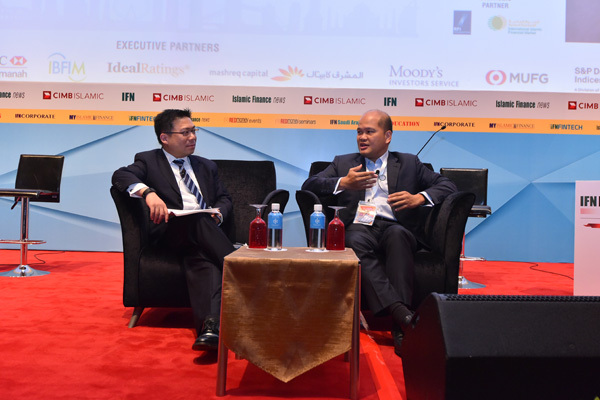 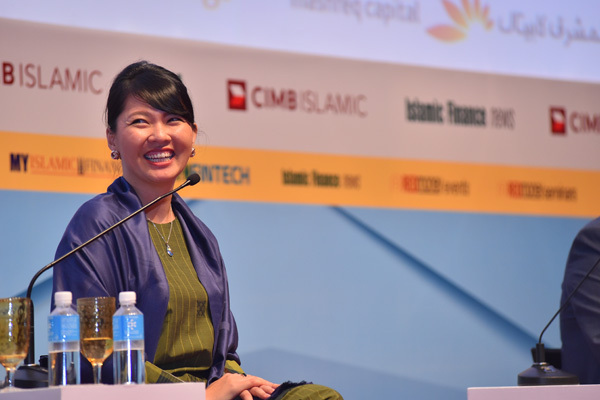 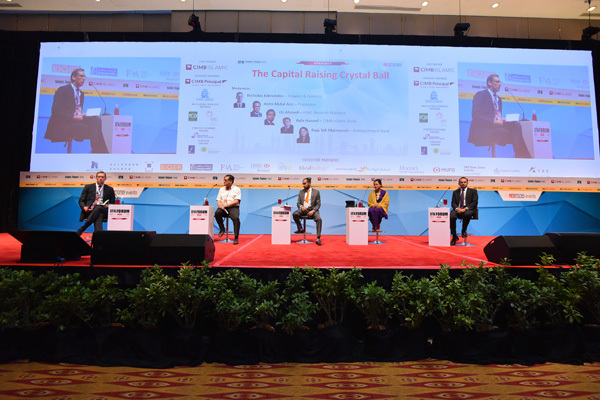 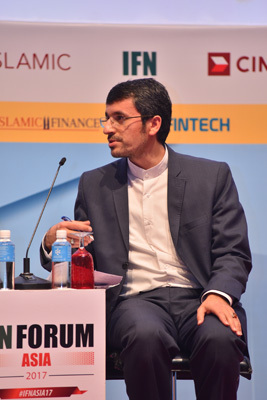 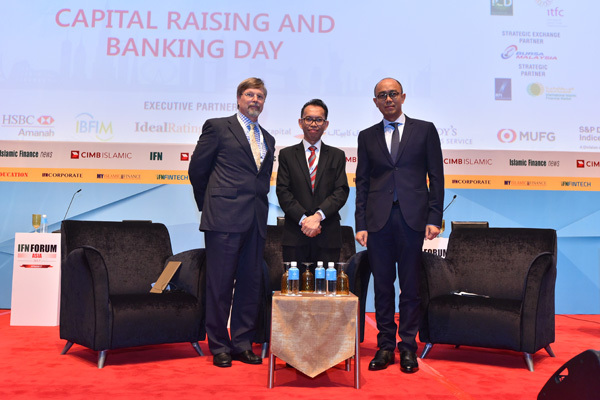 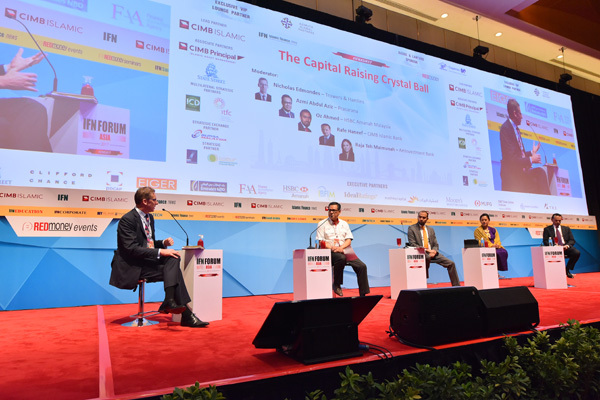 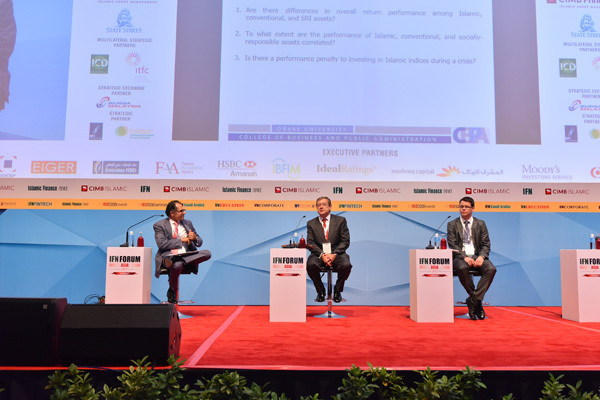 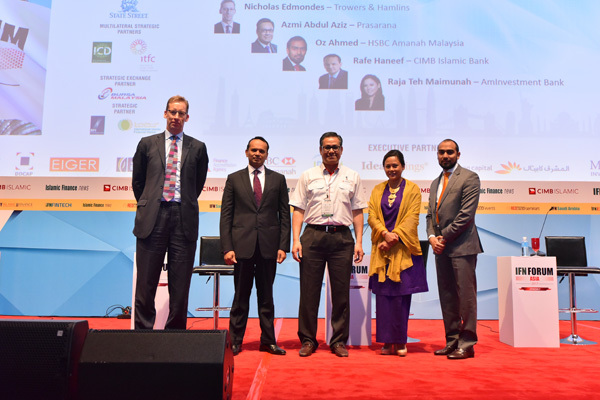 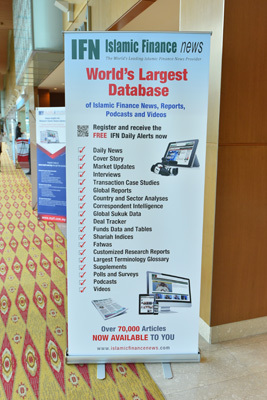 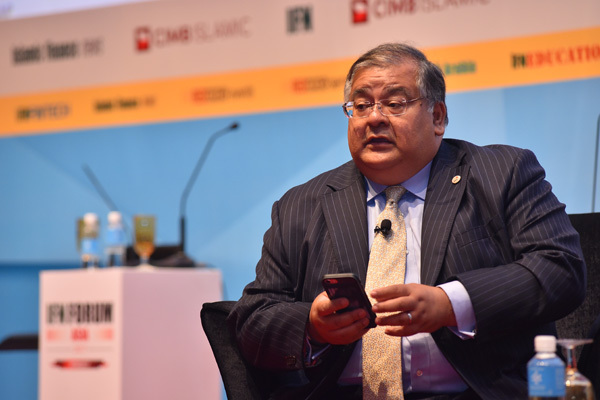 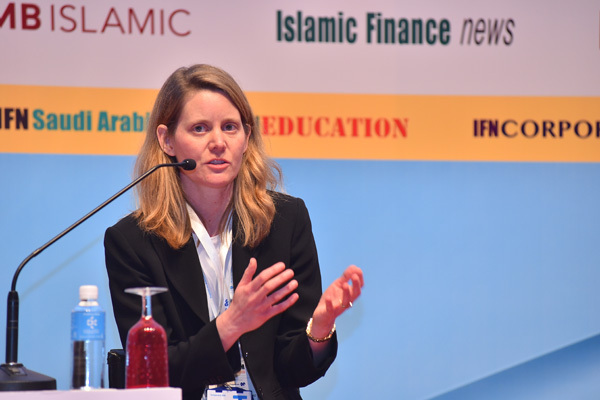 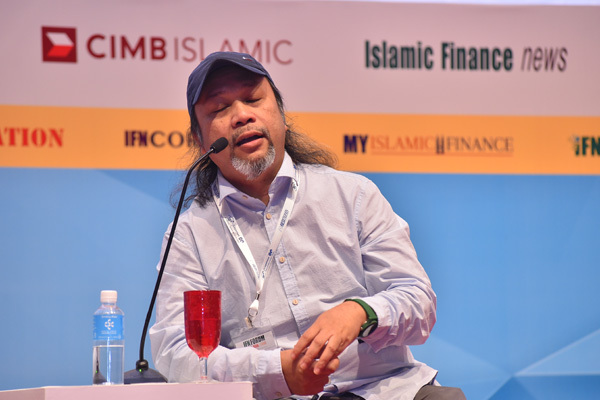 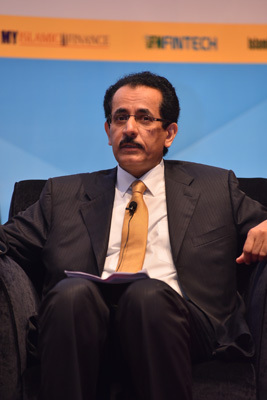 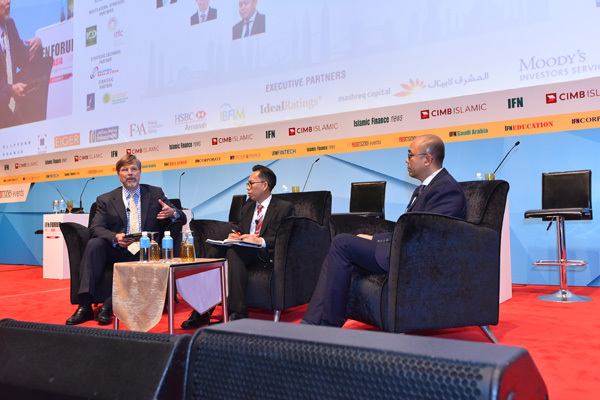 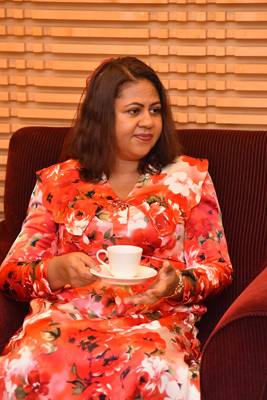 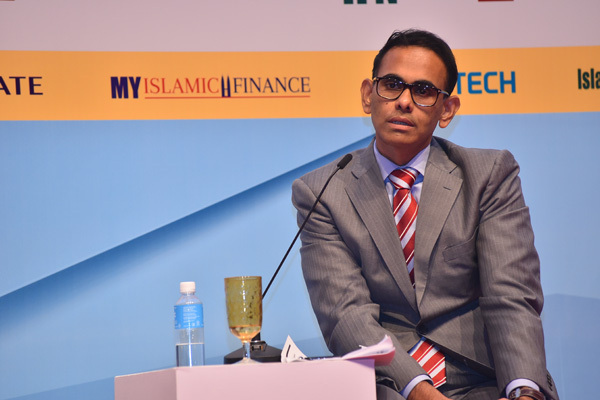 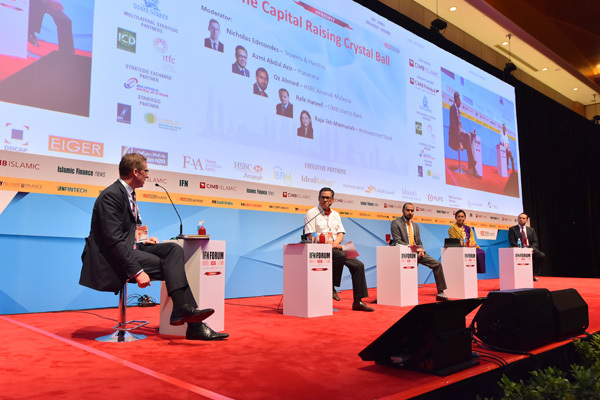 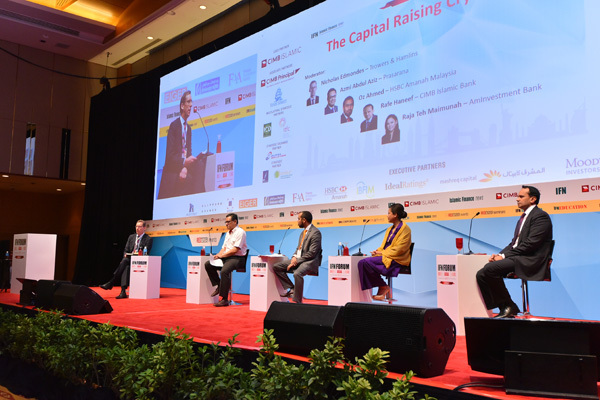 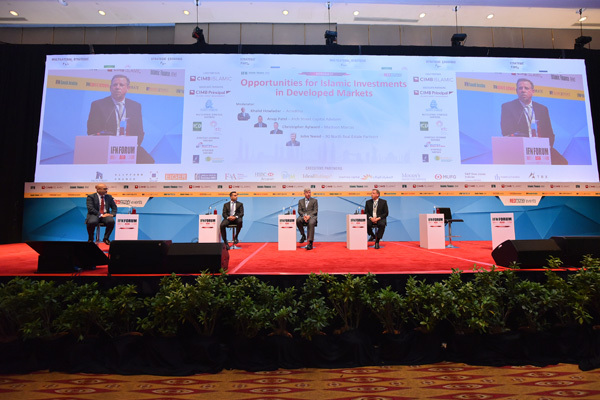 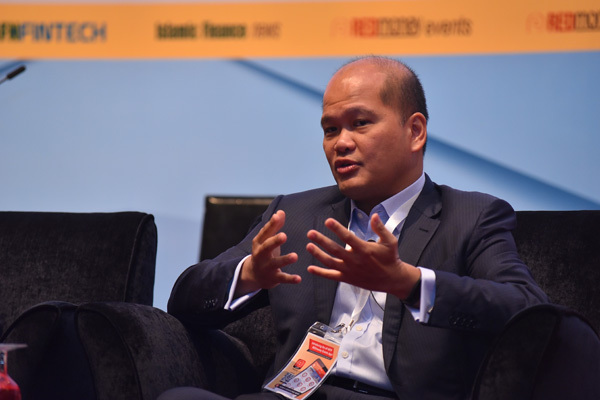 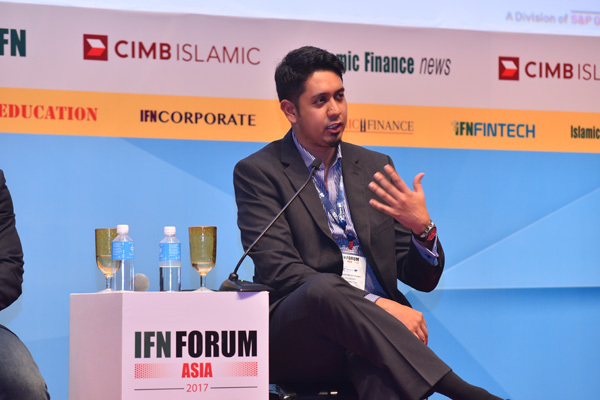 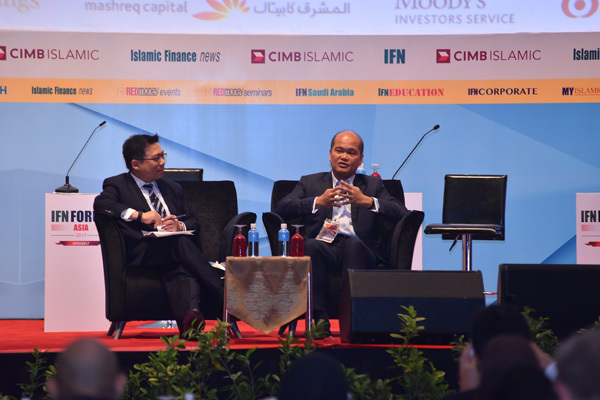 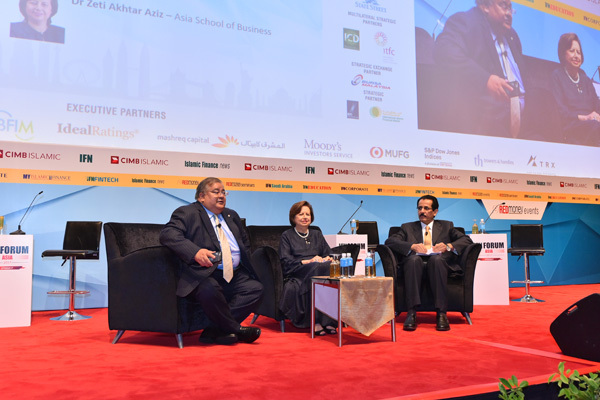 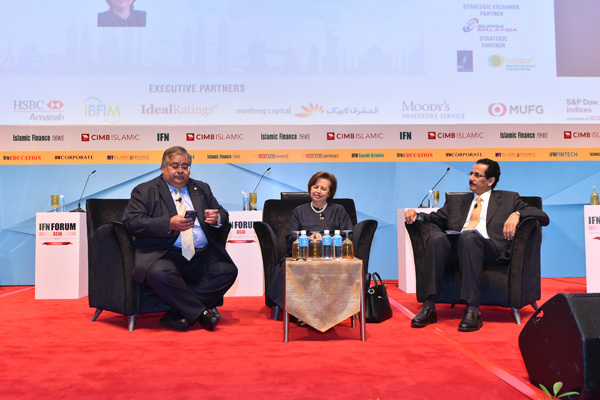 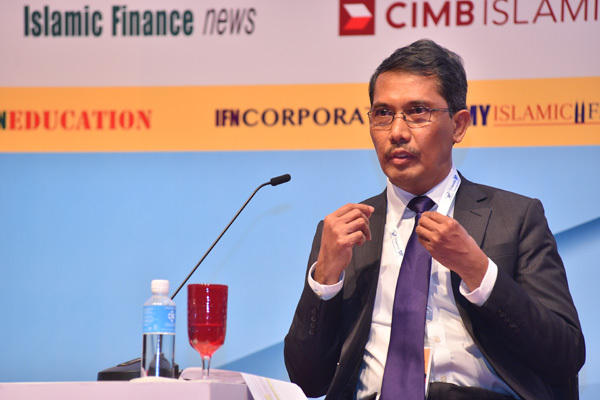 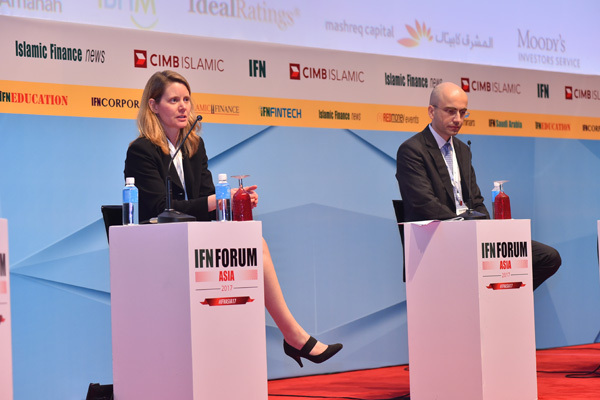 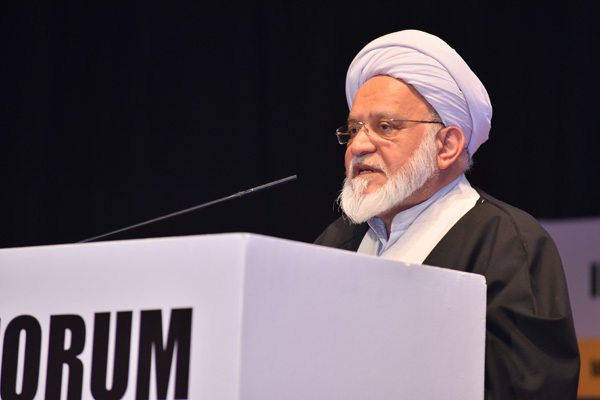 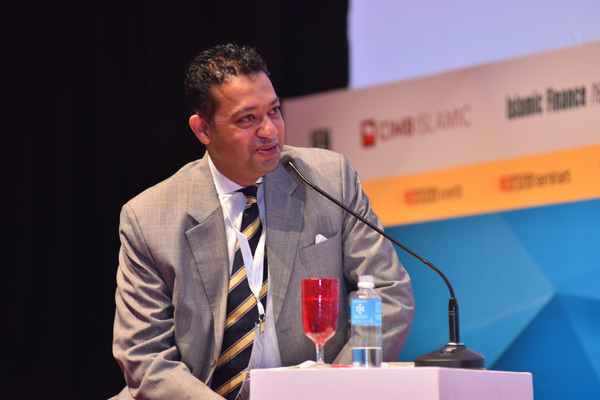 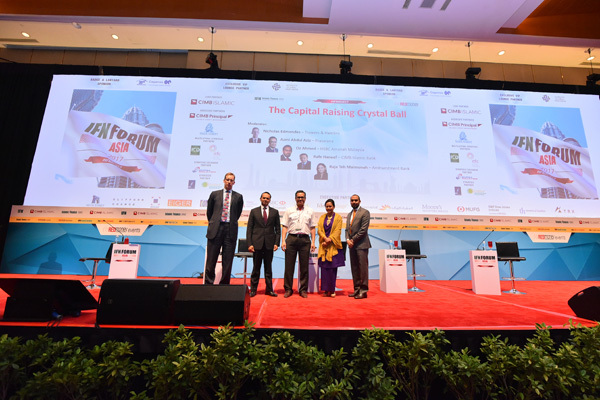 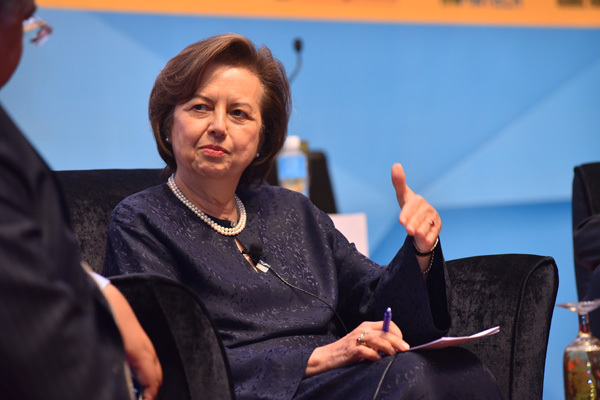 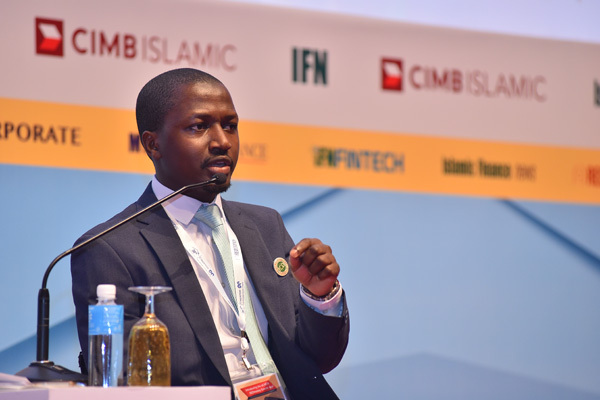 12:25 – 12:45 Onstage Interview: Does Islamic Investing Cost? 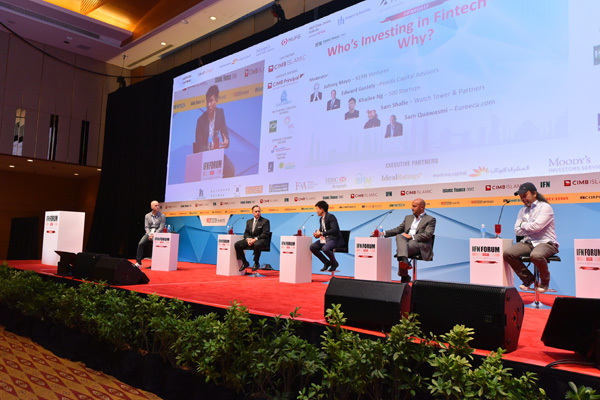 14:00 – 14:45 Who’s Investing in Fintech – and Why?